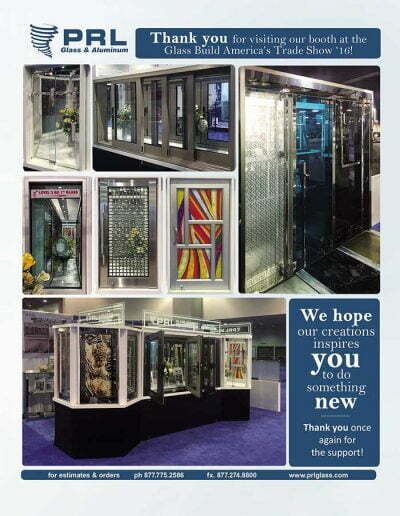 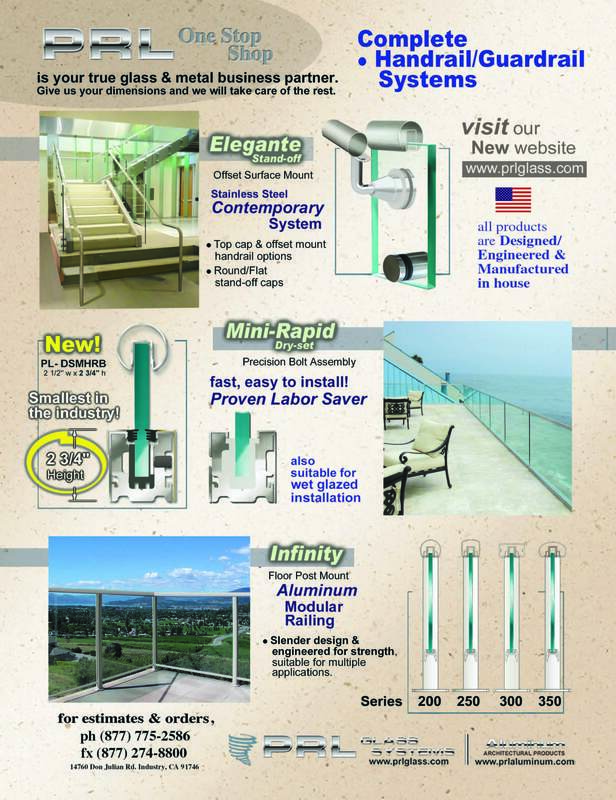 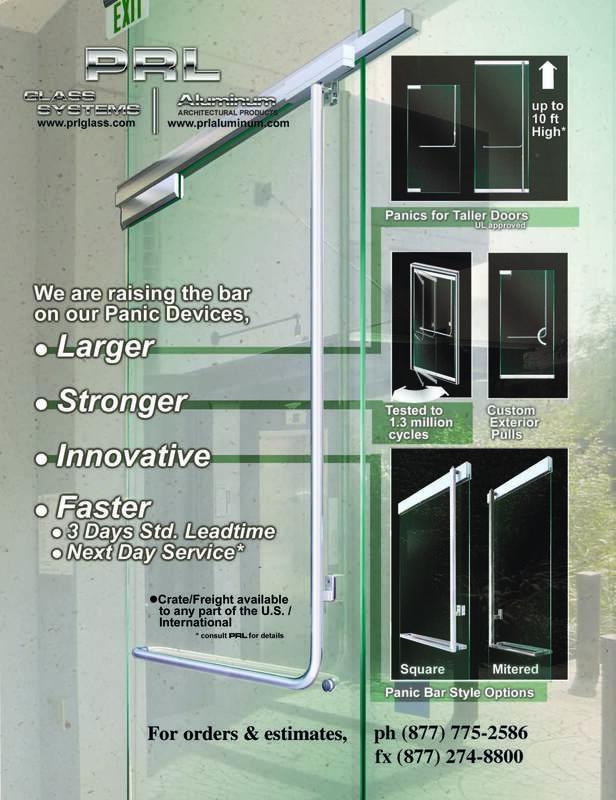 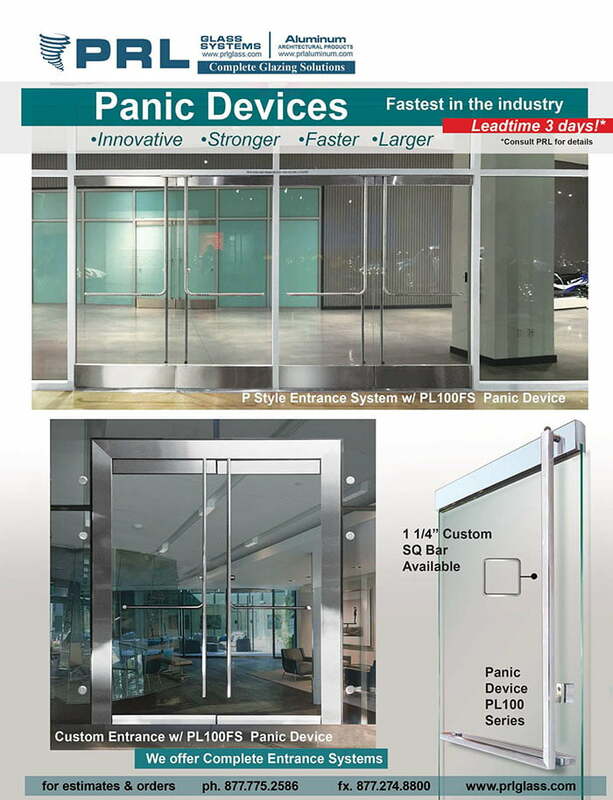 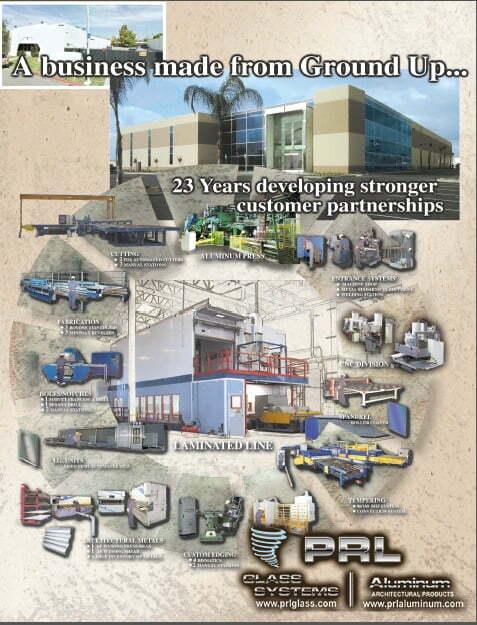 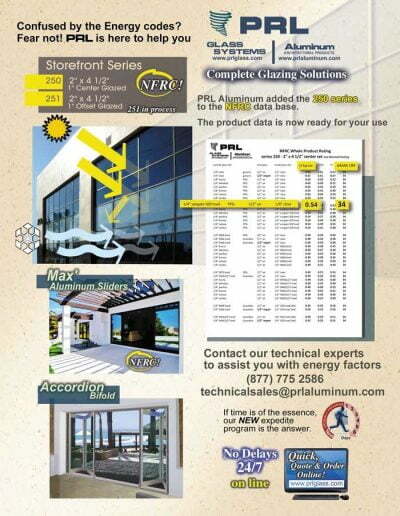 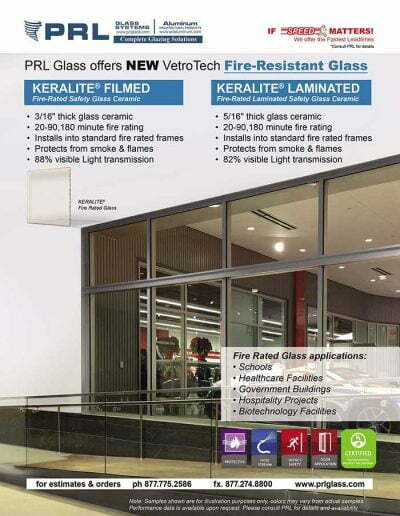 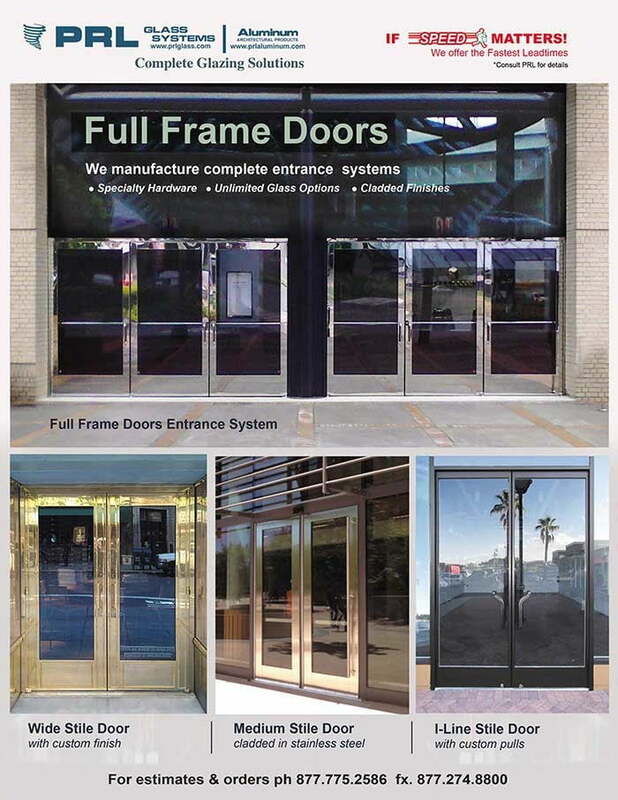 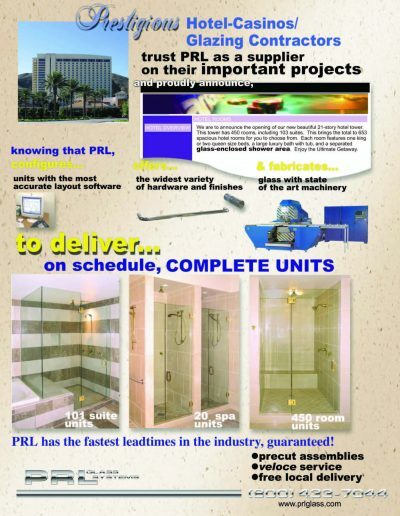 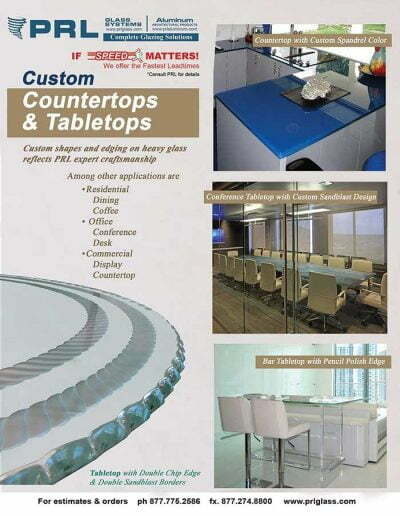 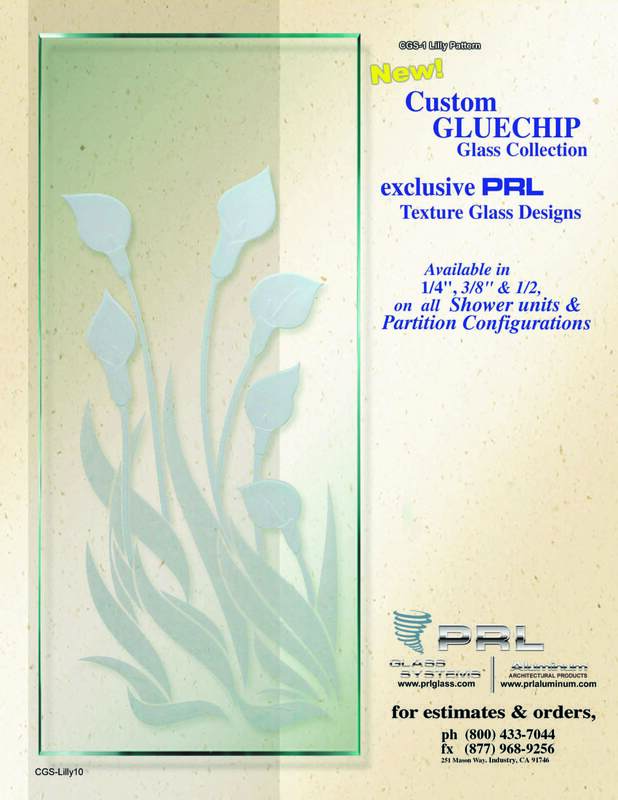 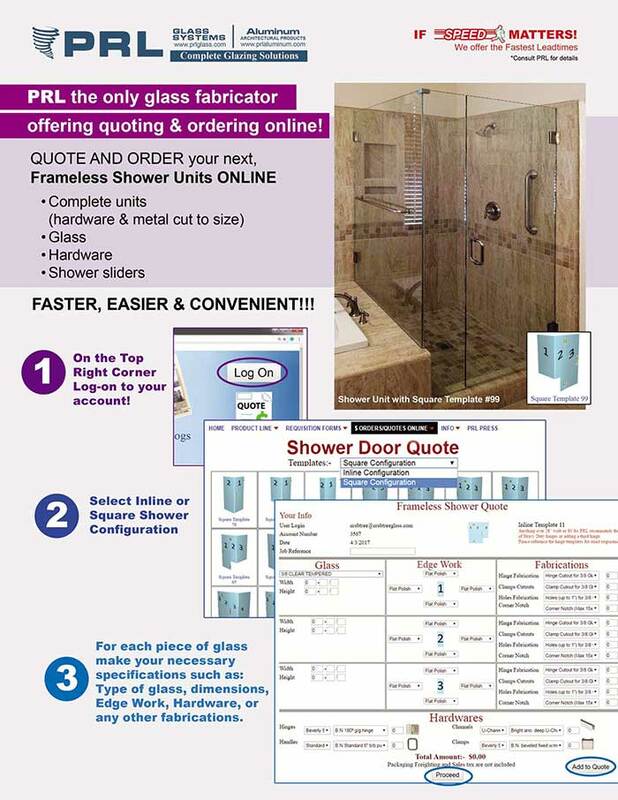 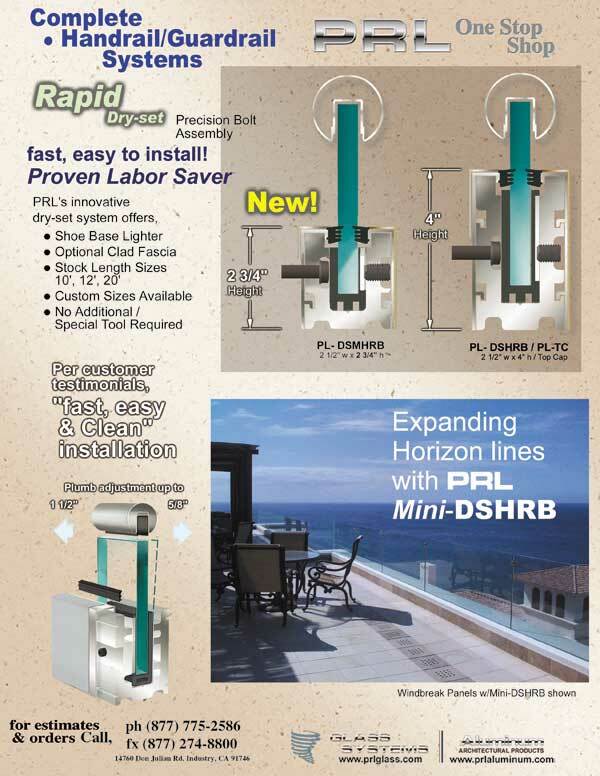 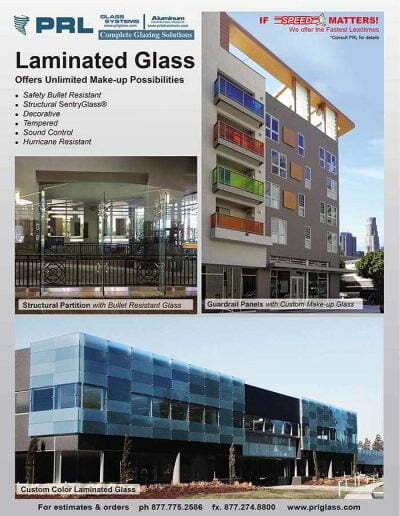 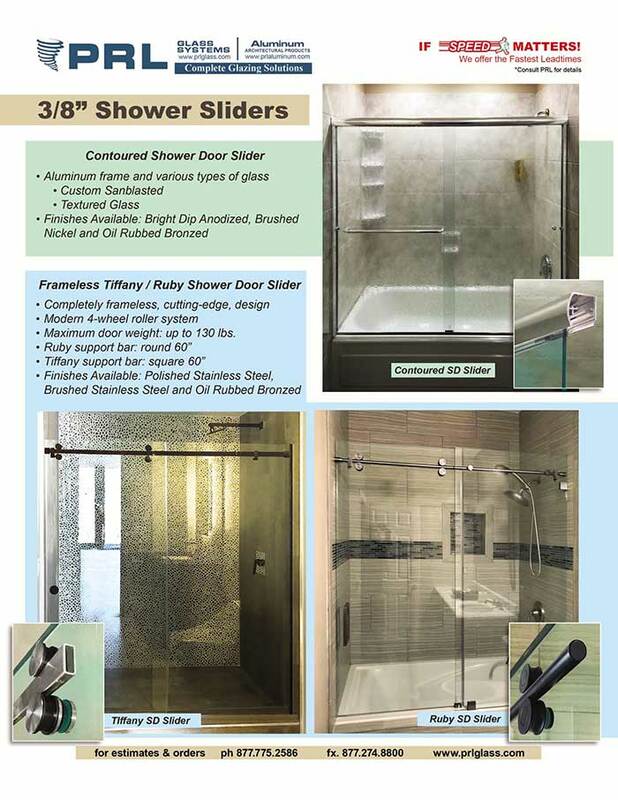 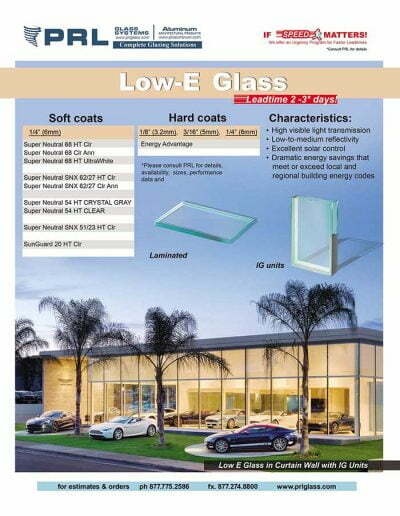 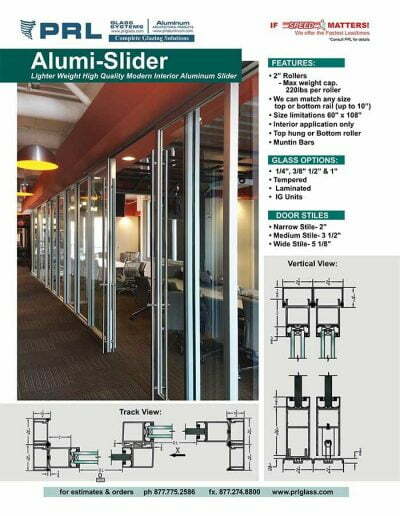 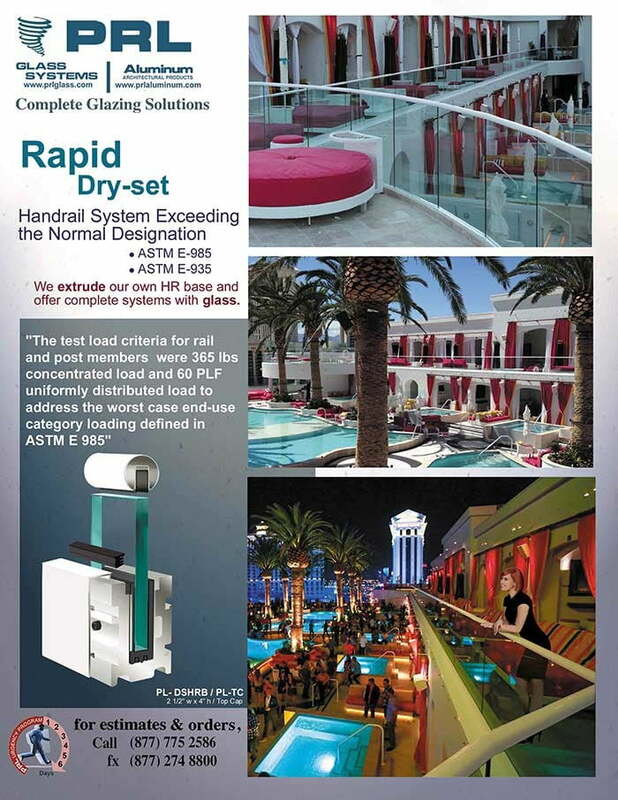 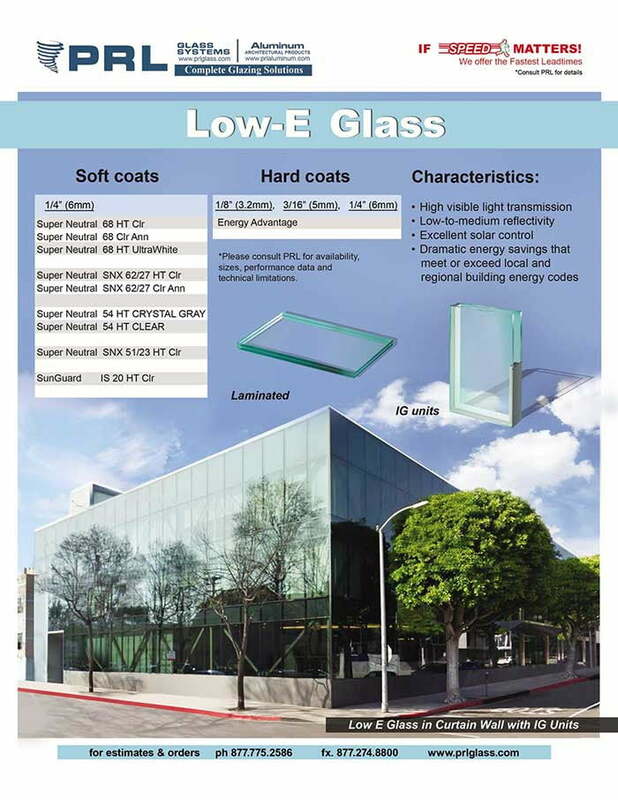 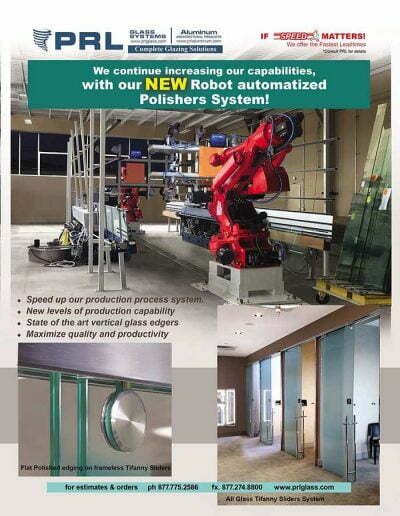 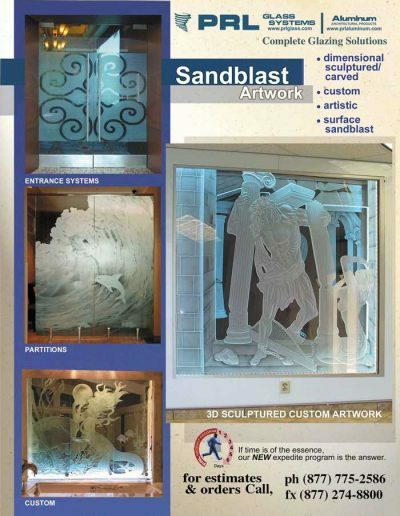 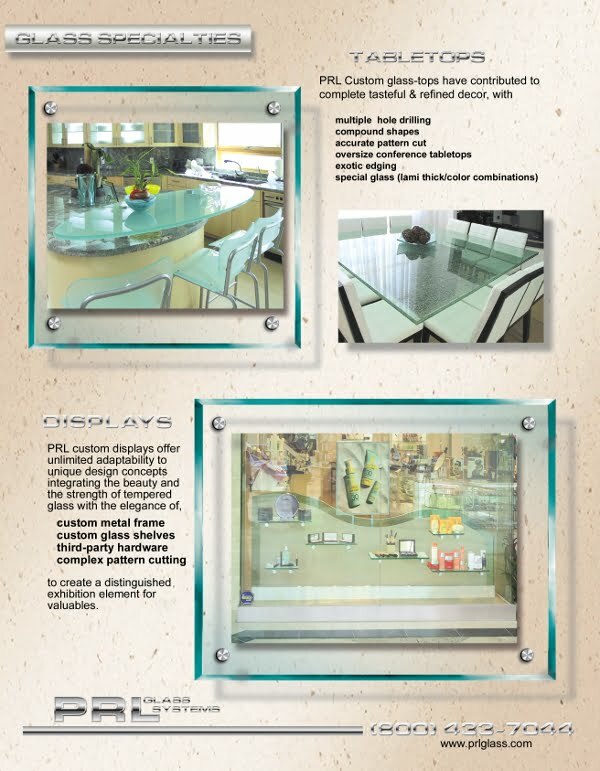 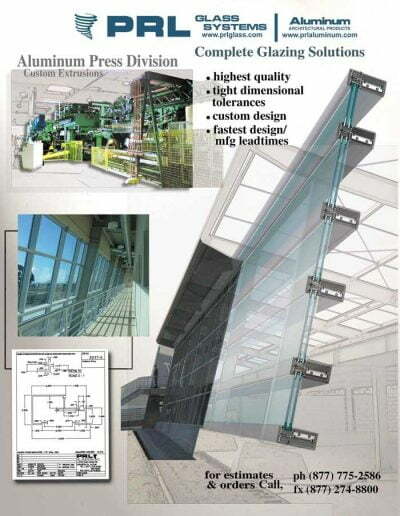 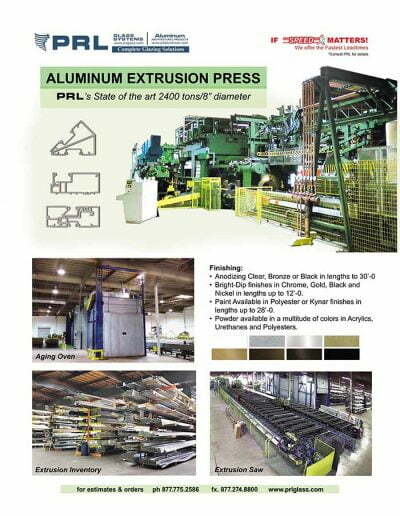 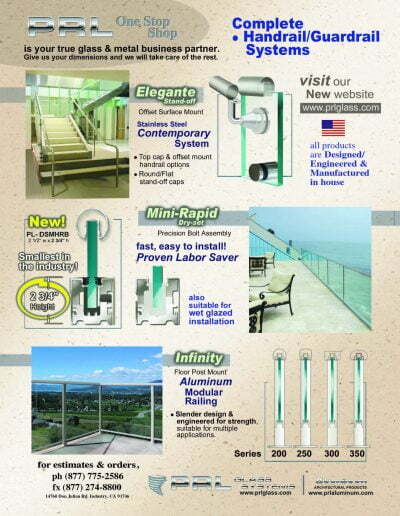 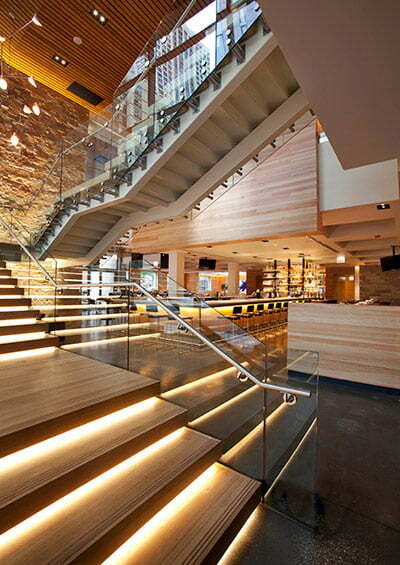 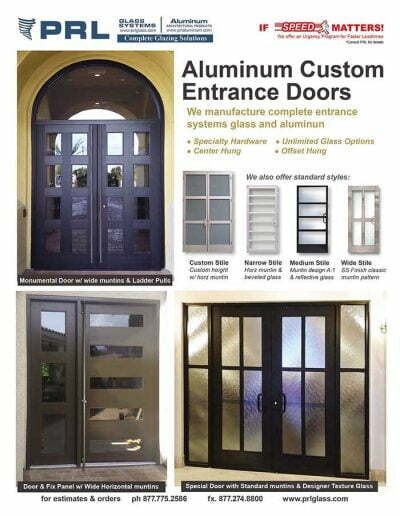 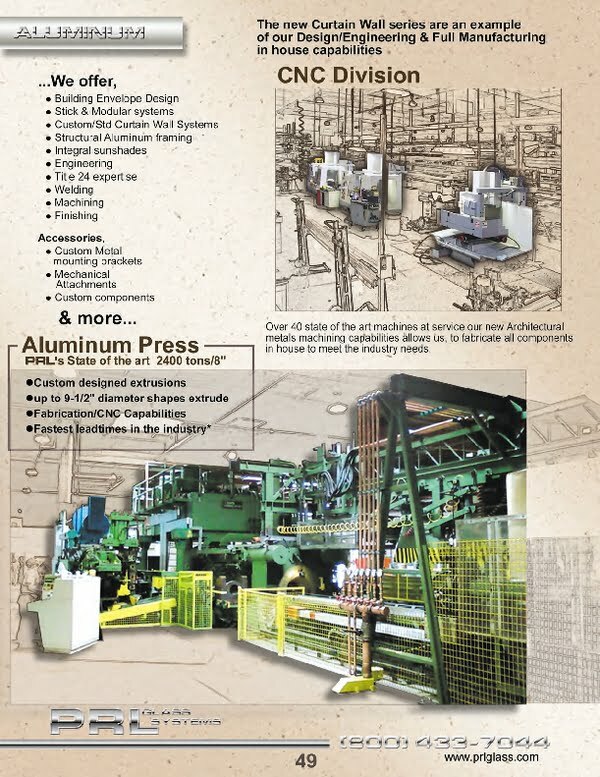 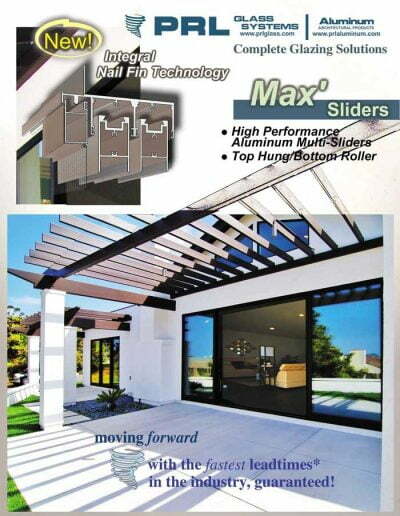 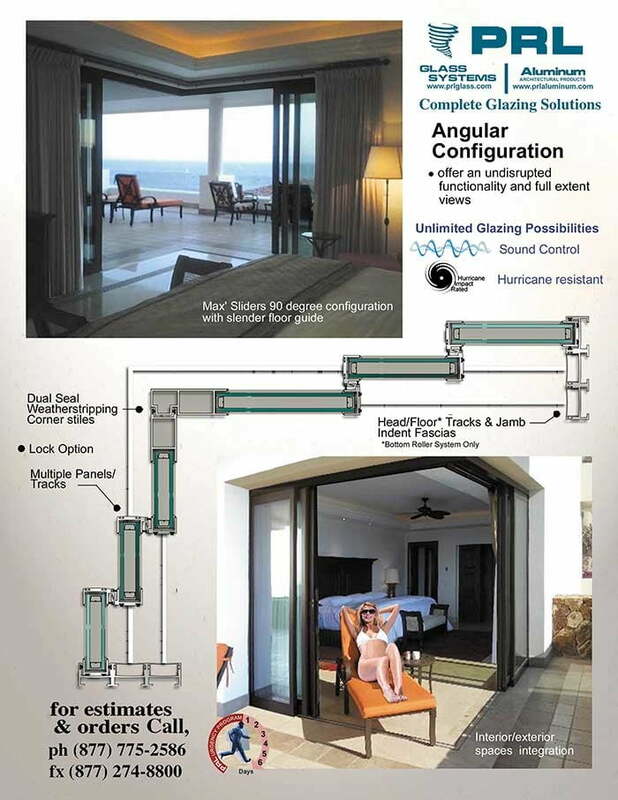 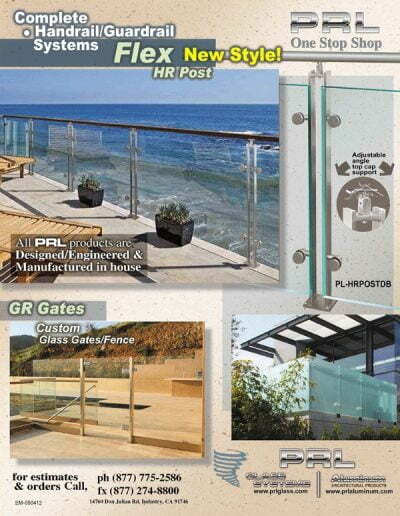 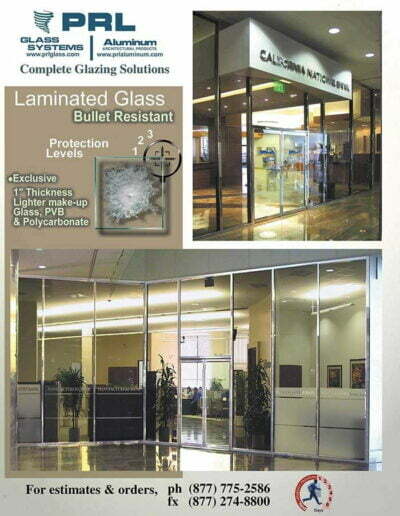 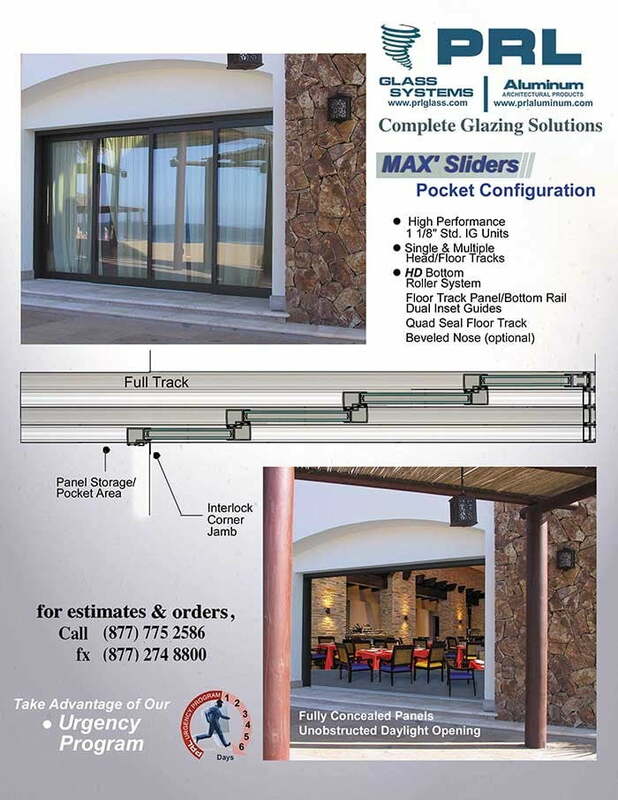 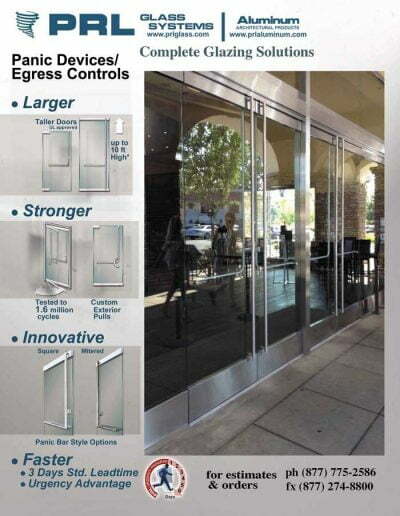 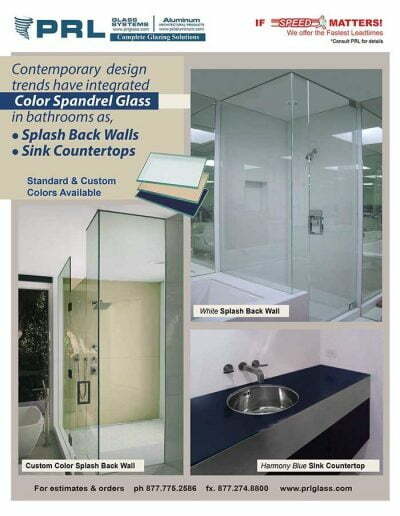 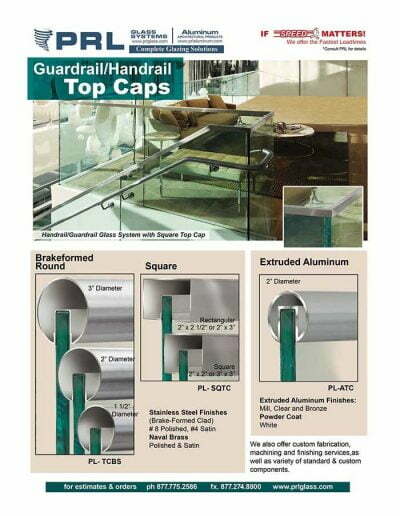 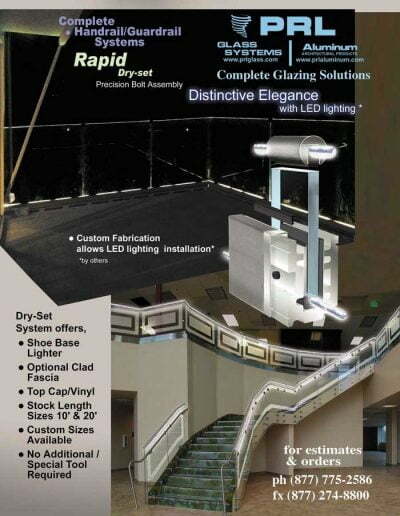 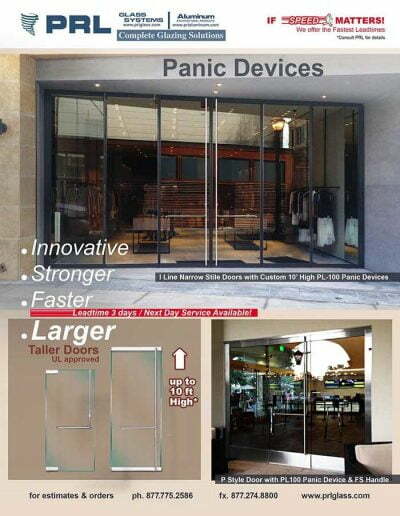 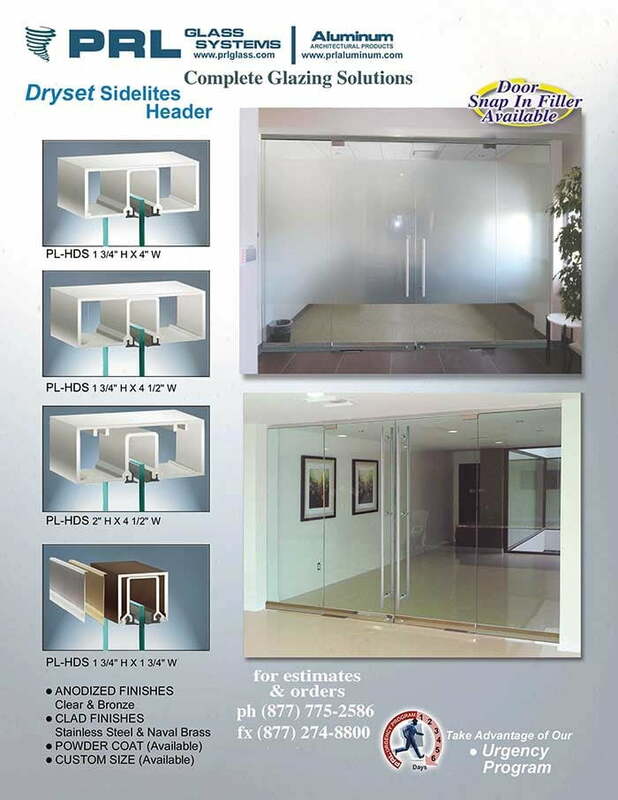 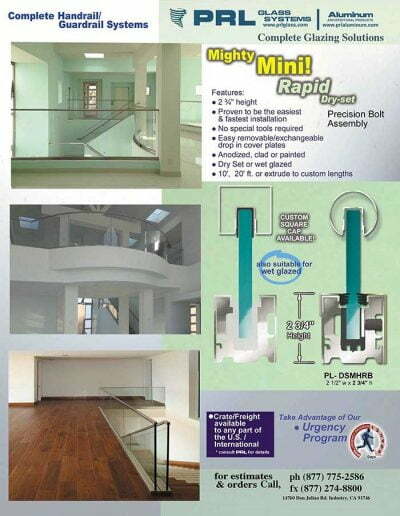 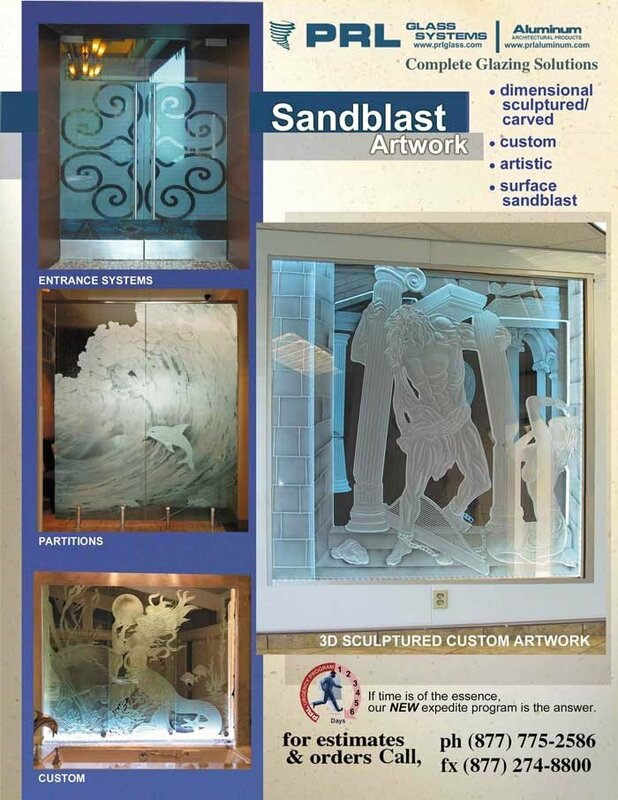 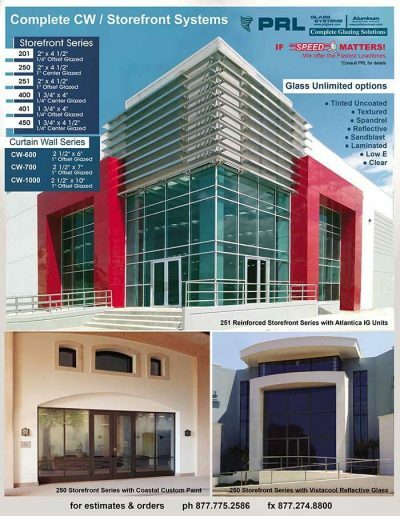 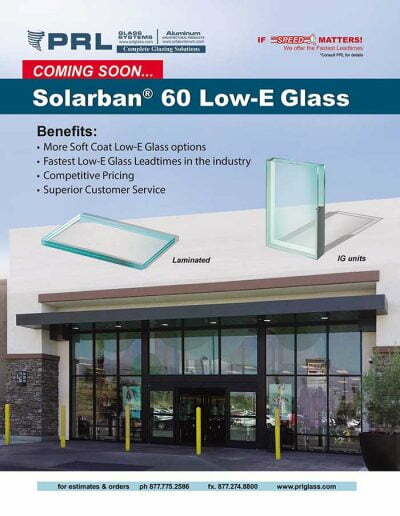 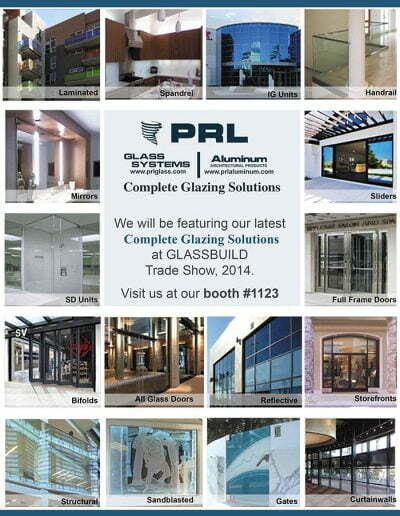 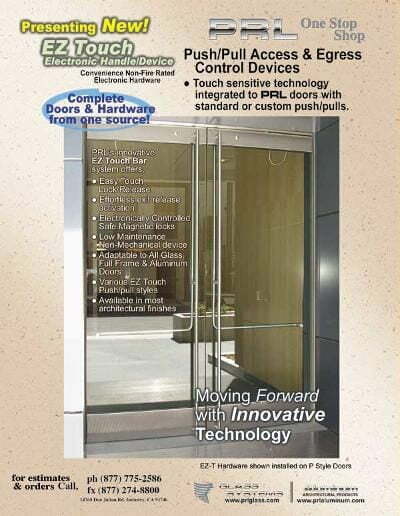 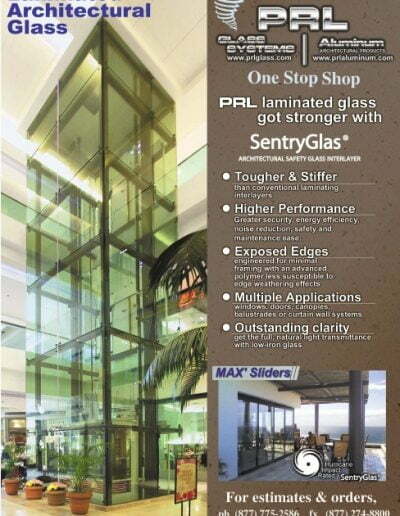 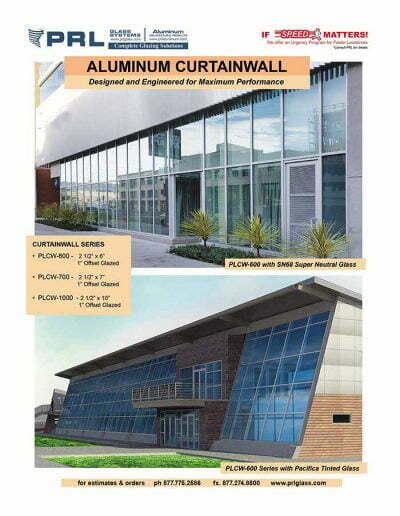 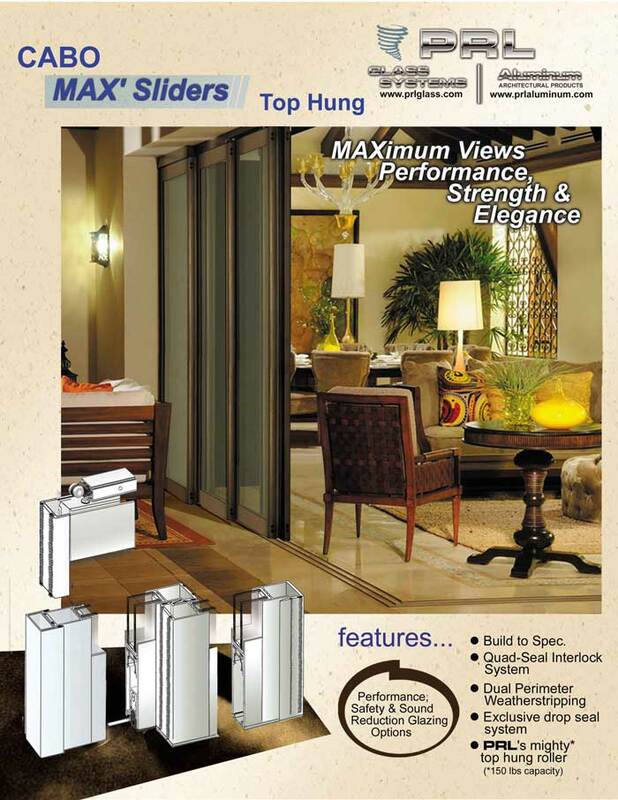 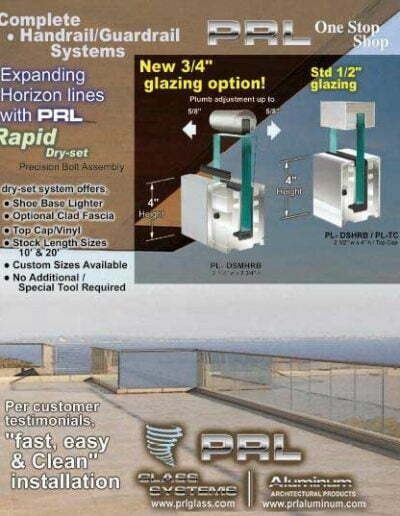 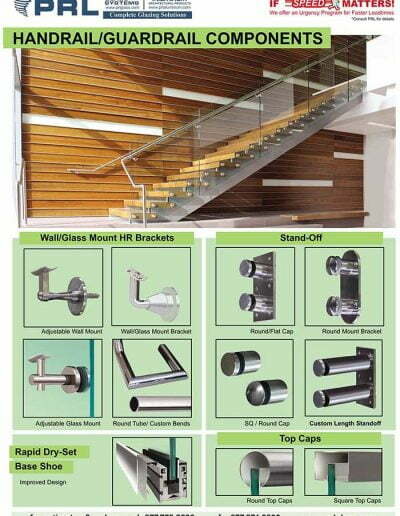 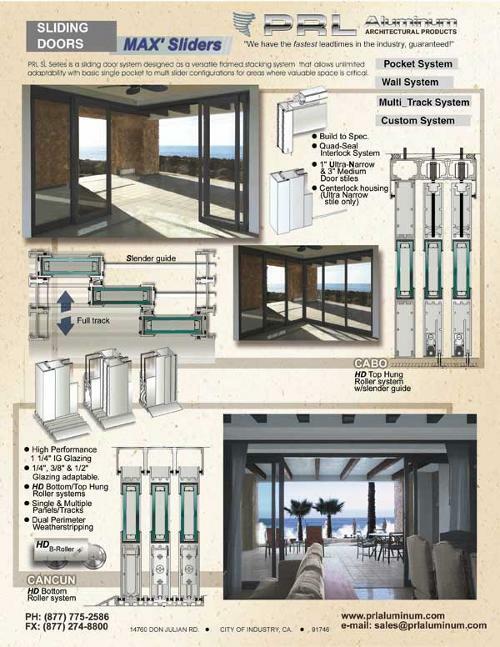 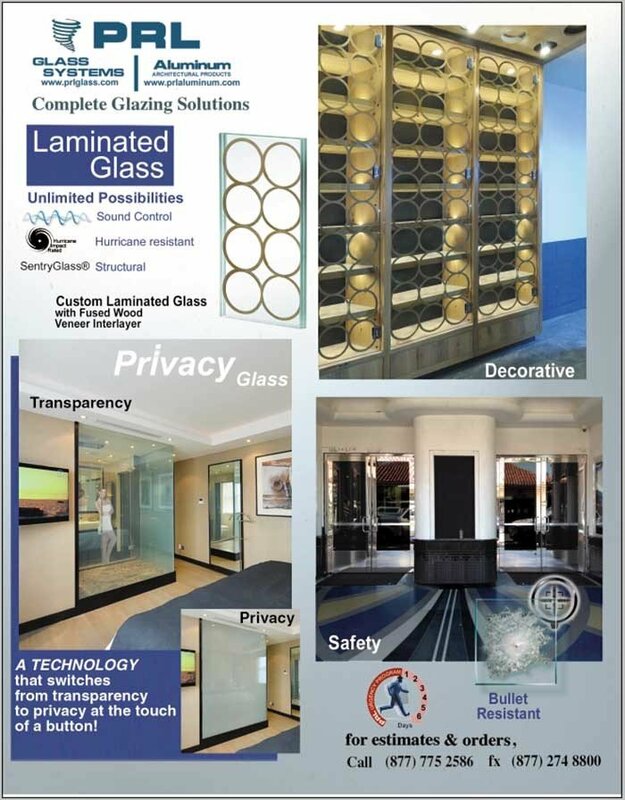 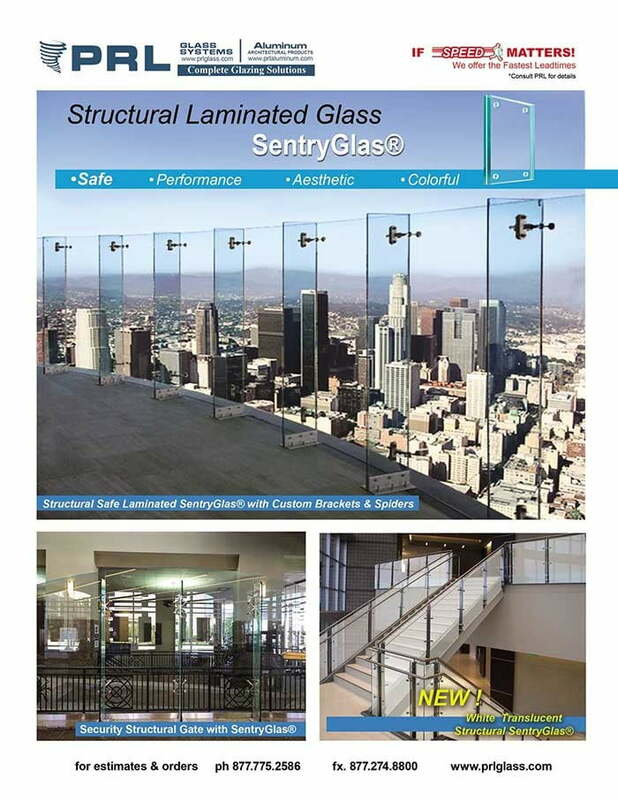 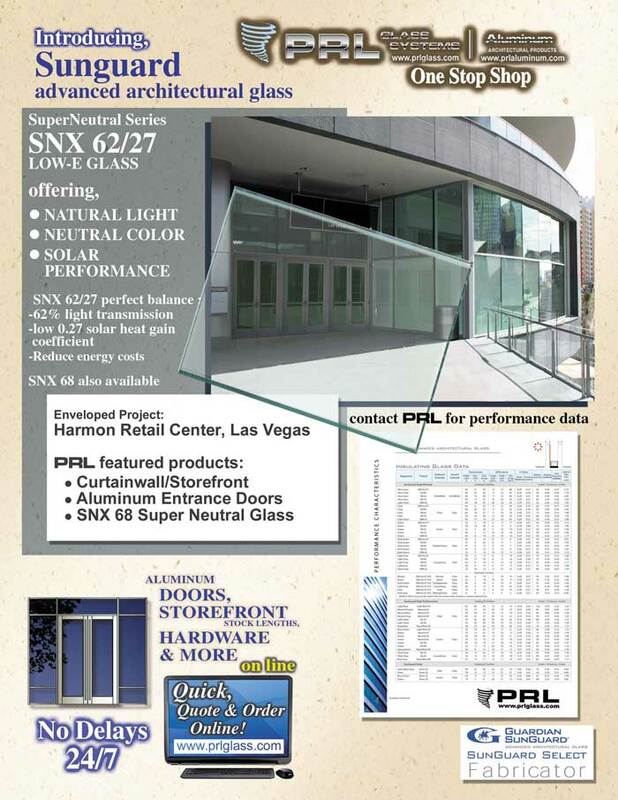 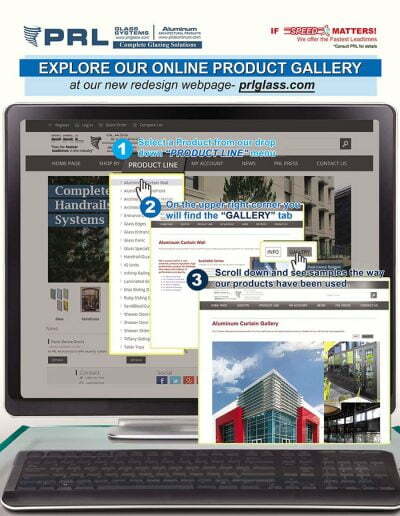 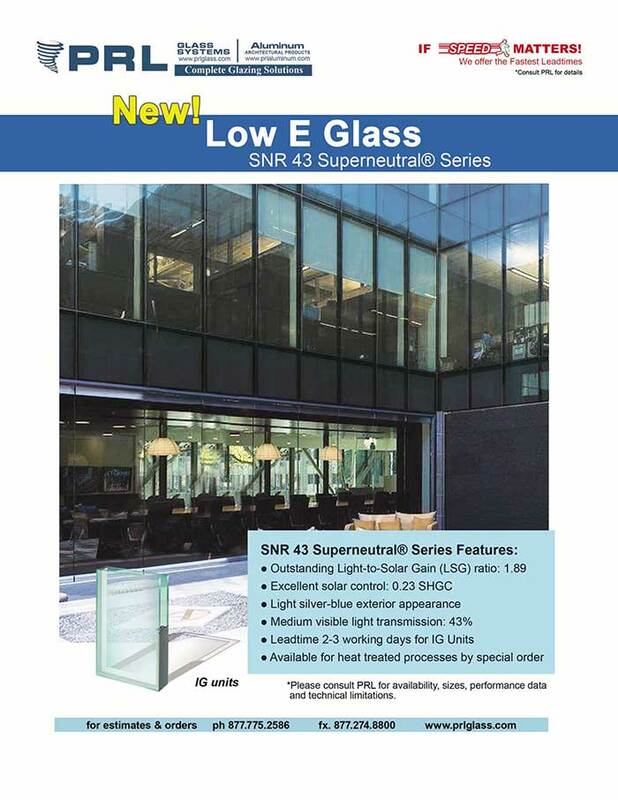 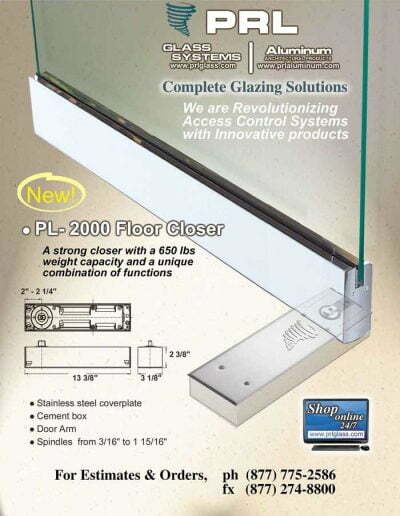 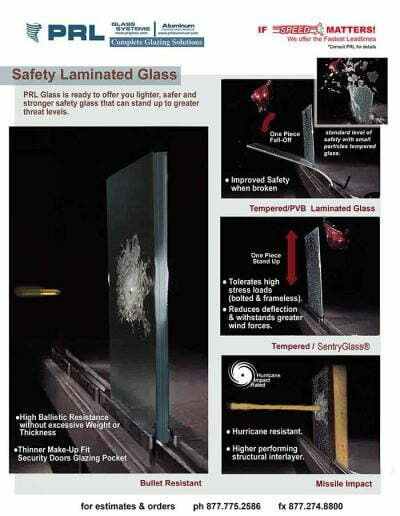 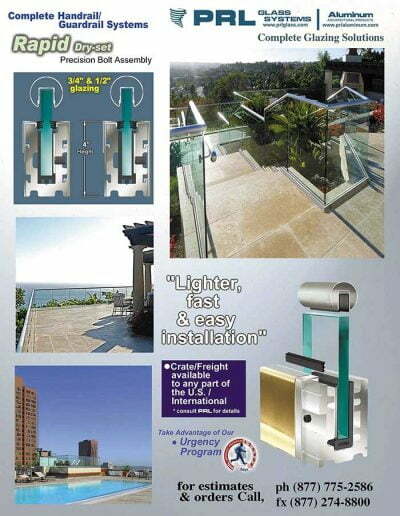 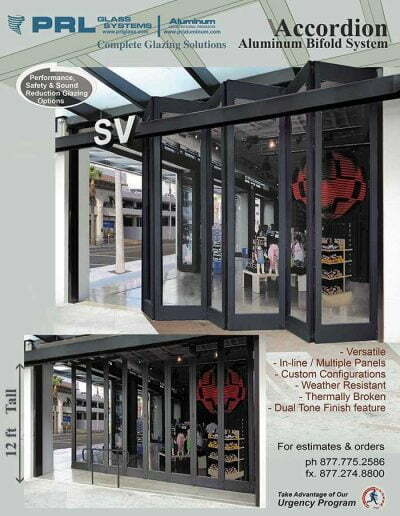 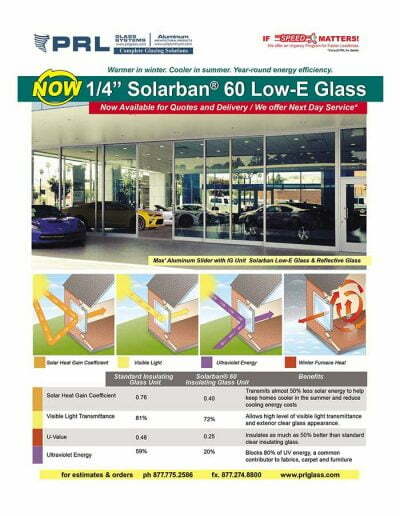 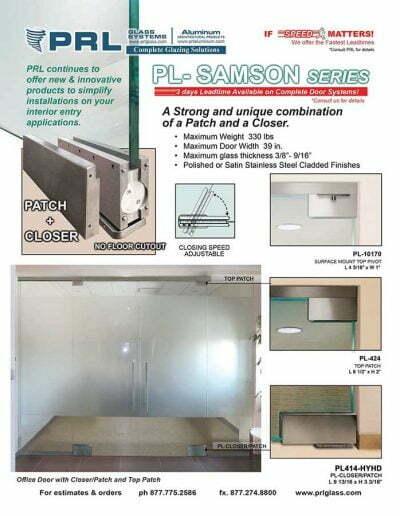 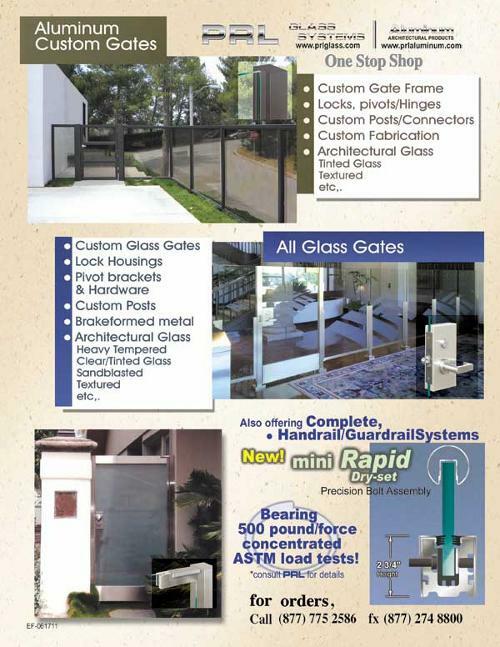 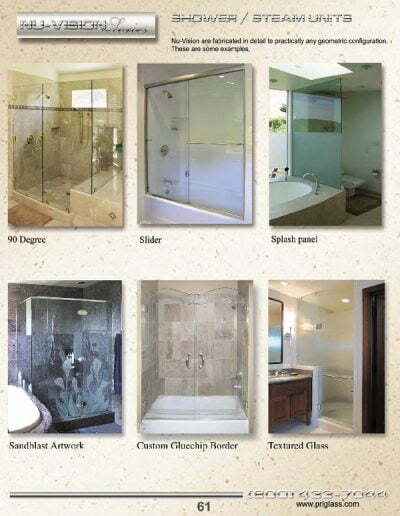 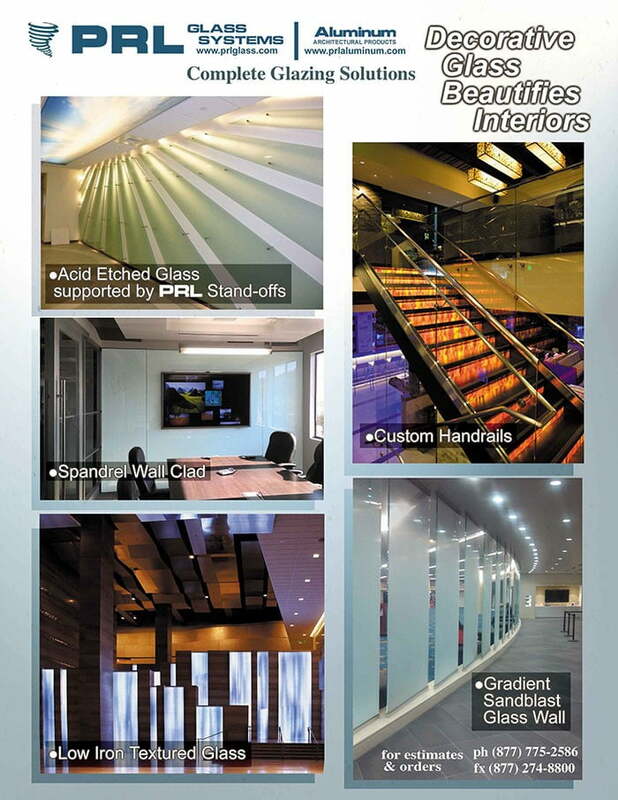 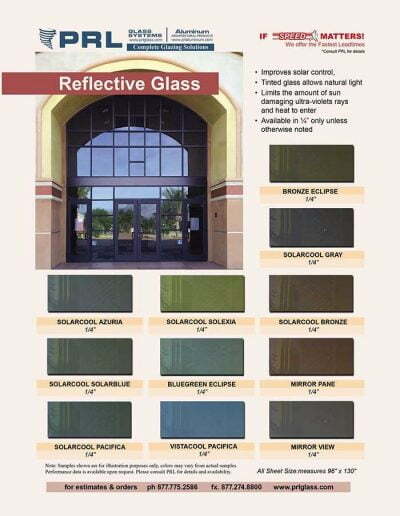 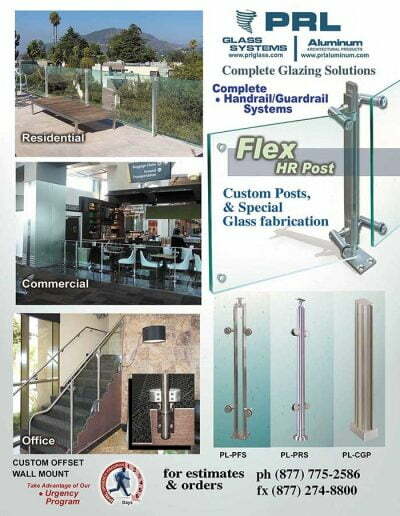 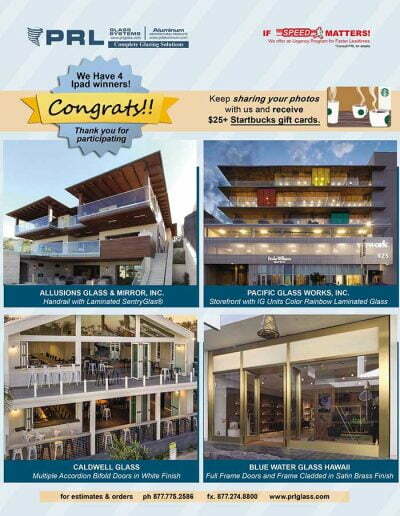 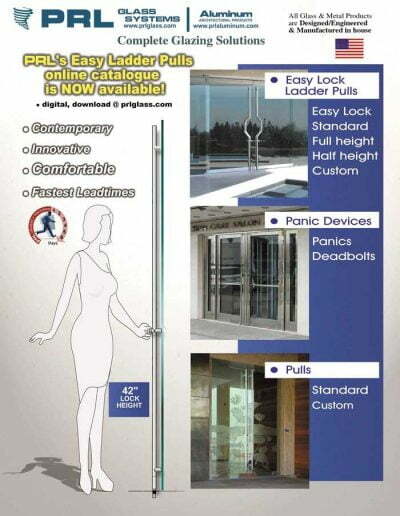 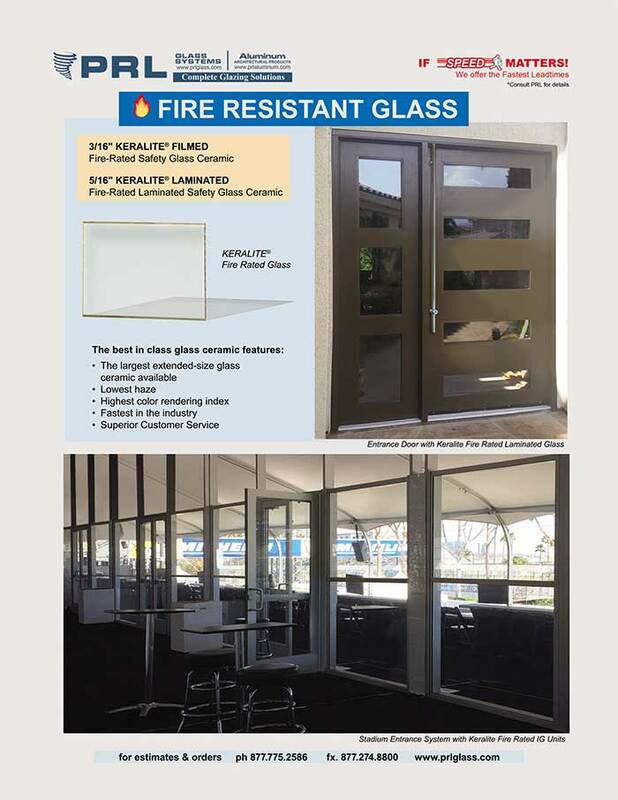 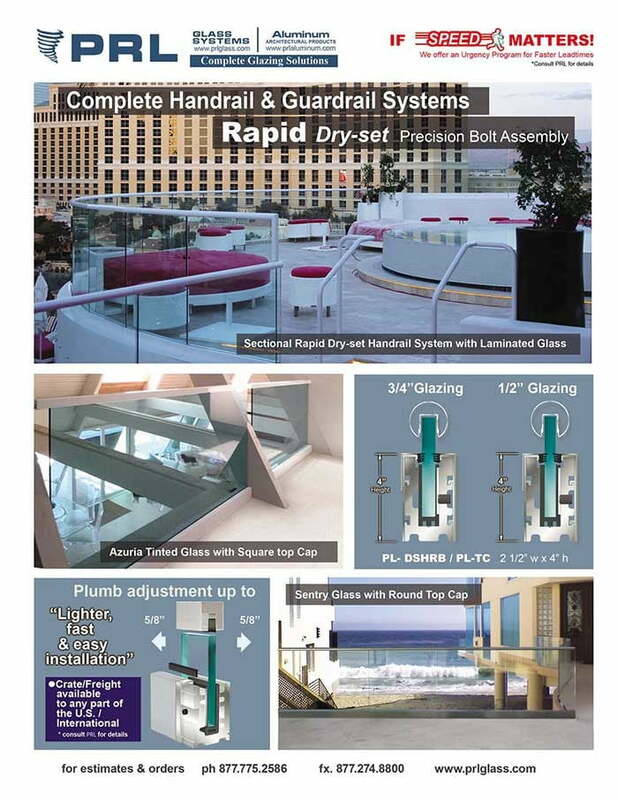 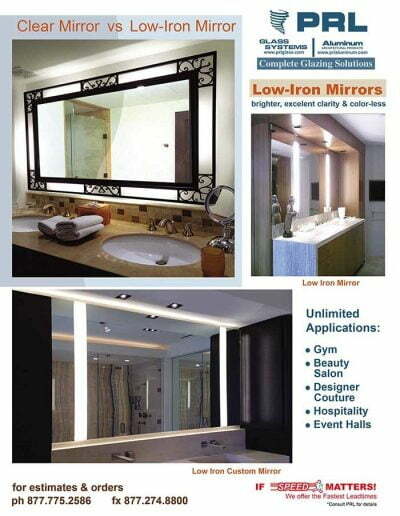 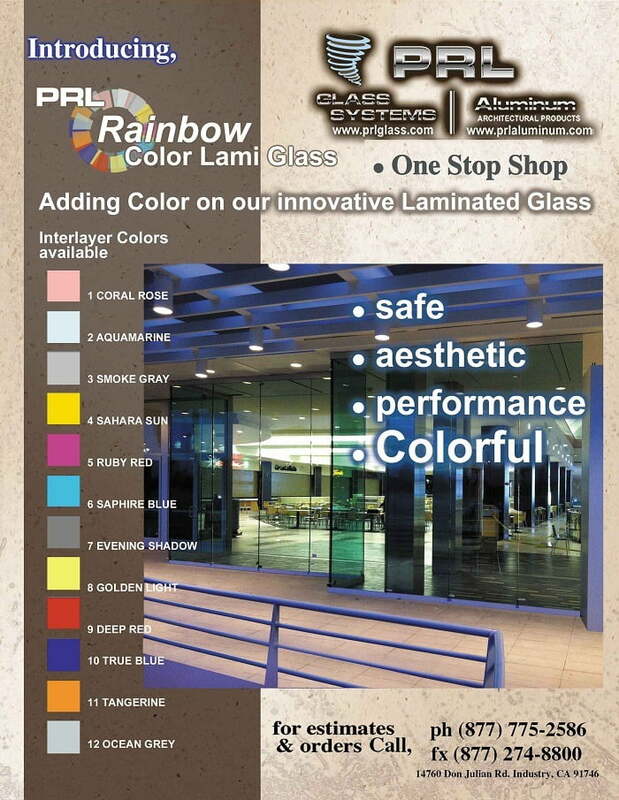 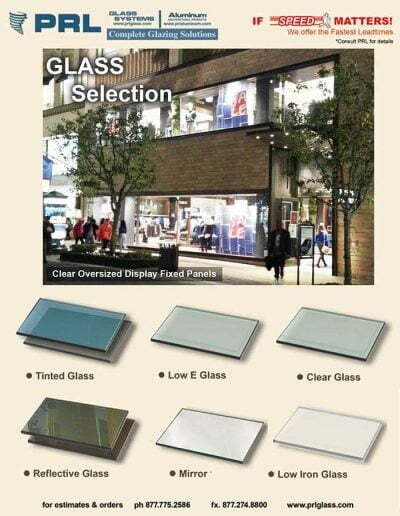 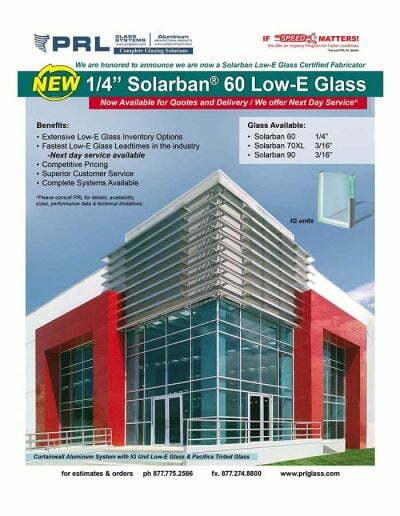 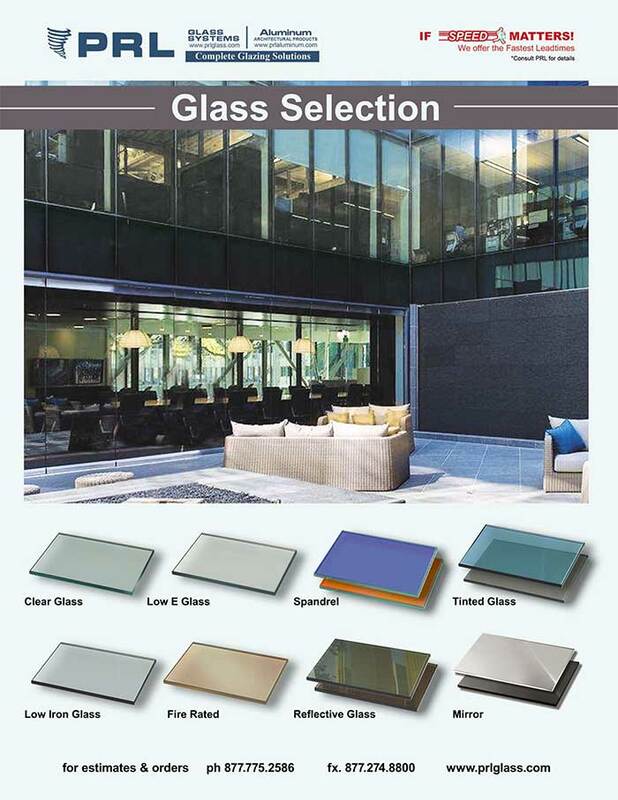 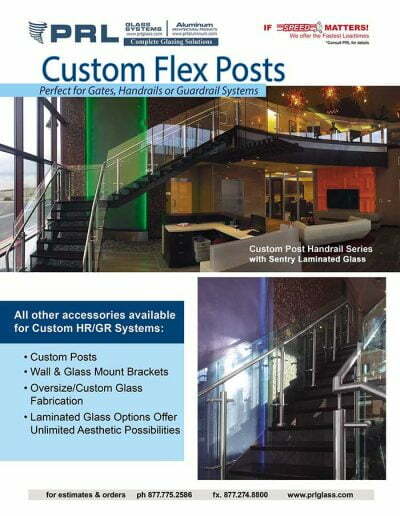 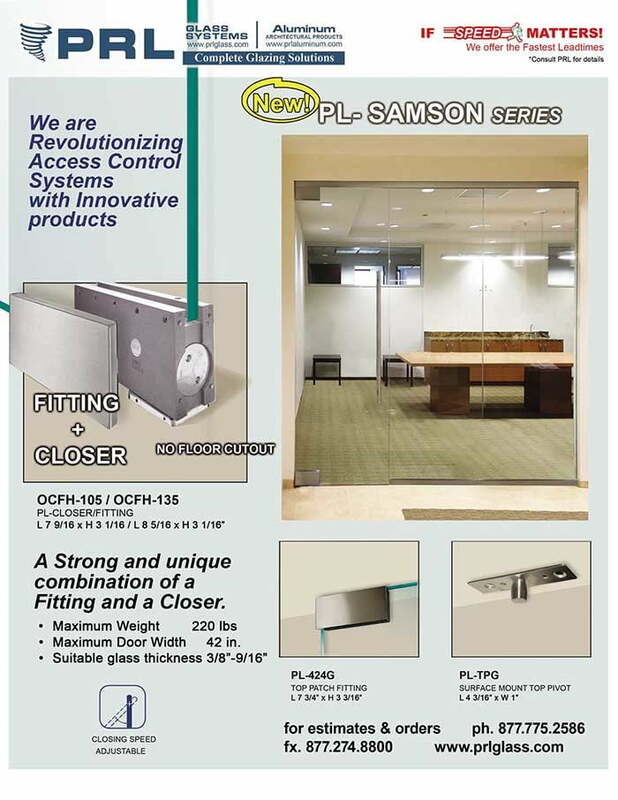 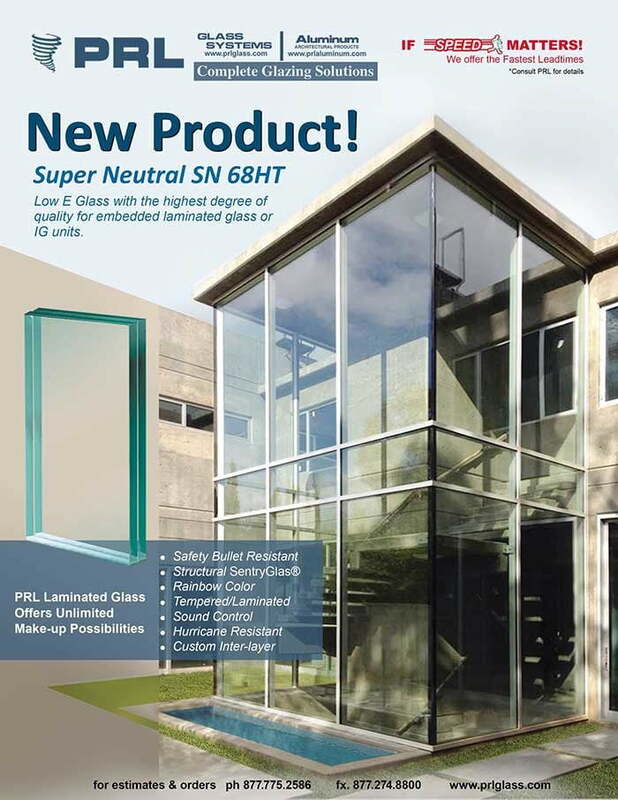 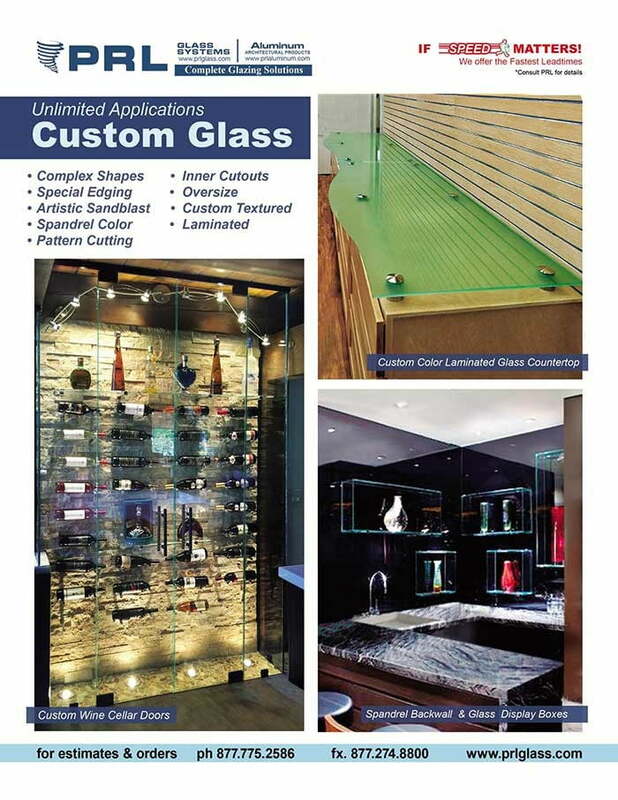 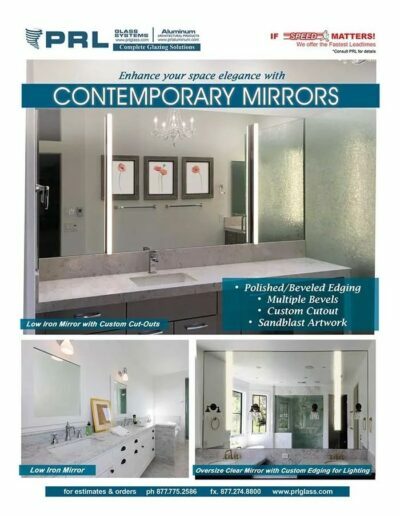 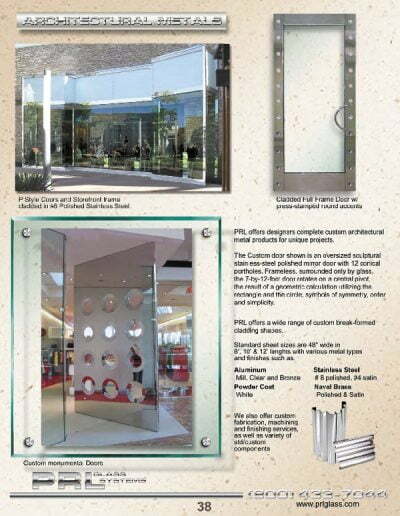 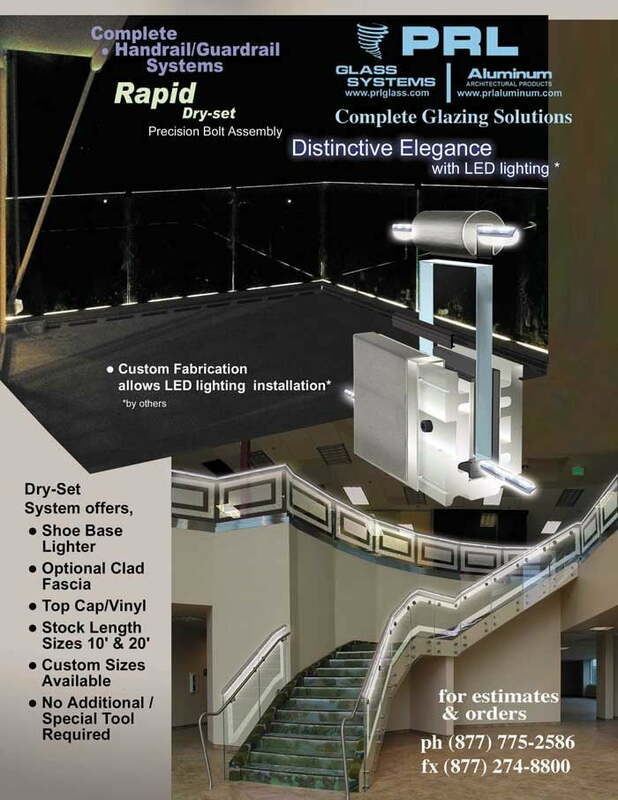 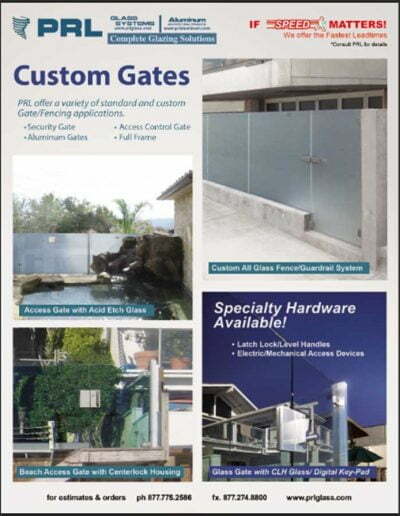 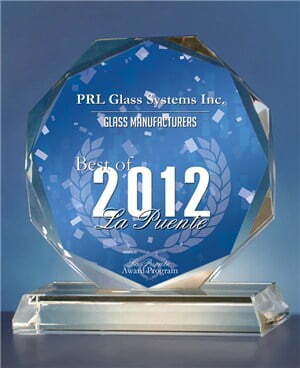 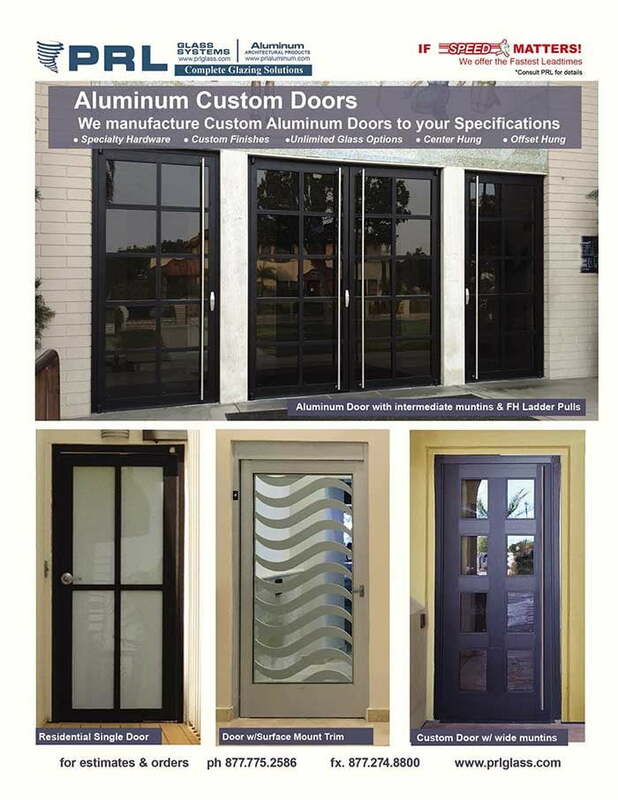 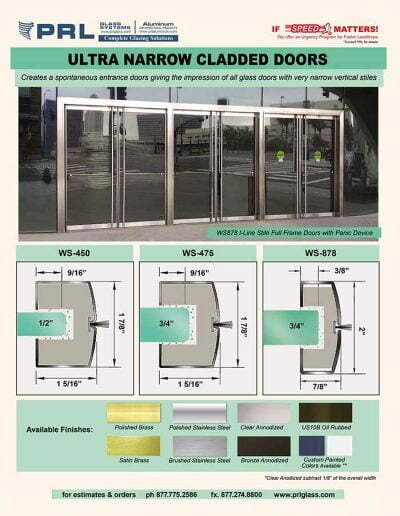 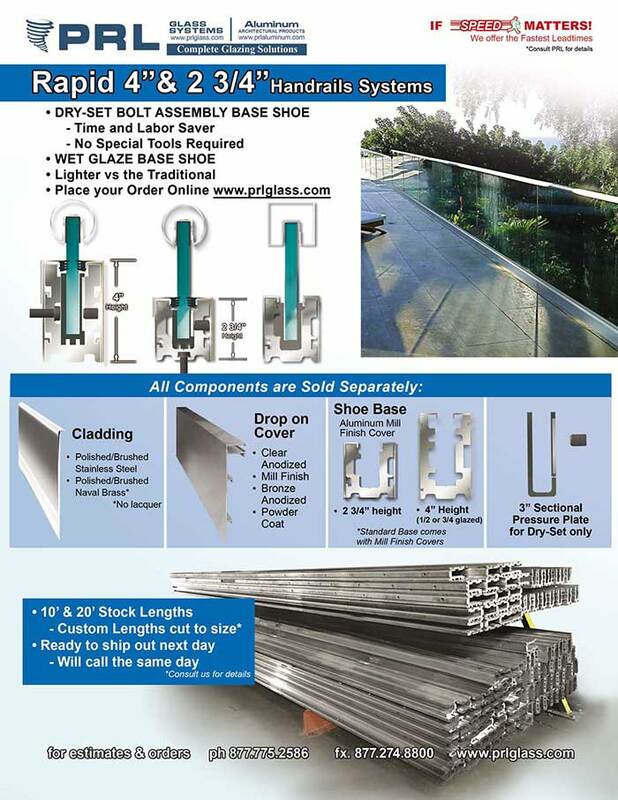 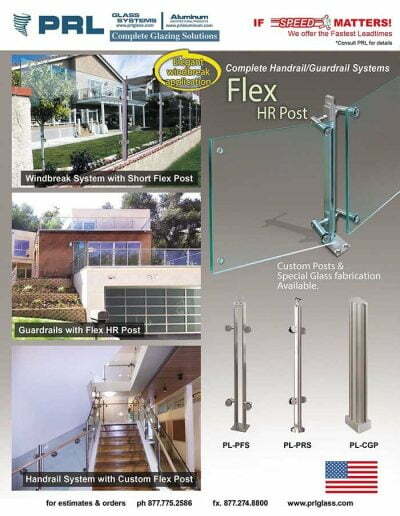 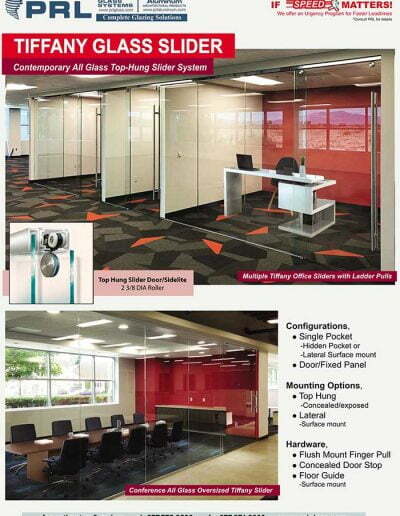 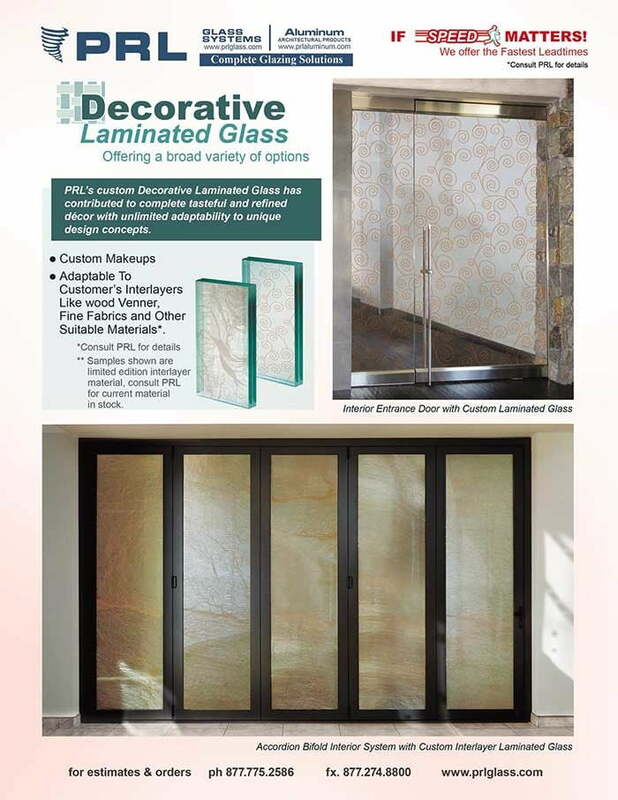 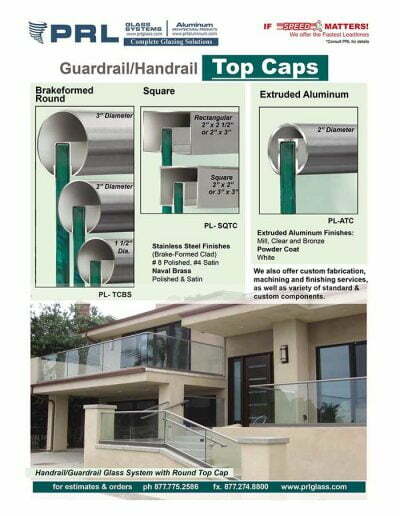 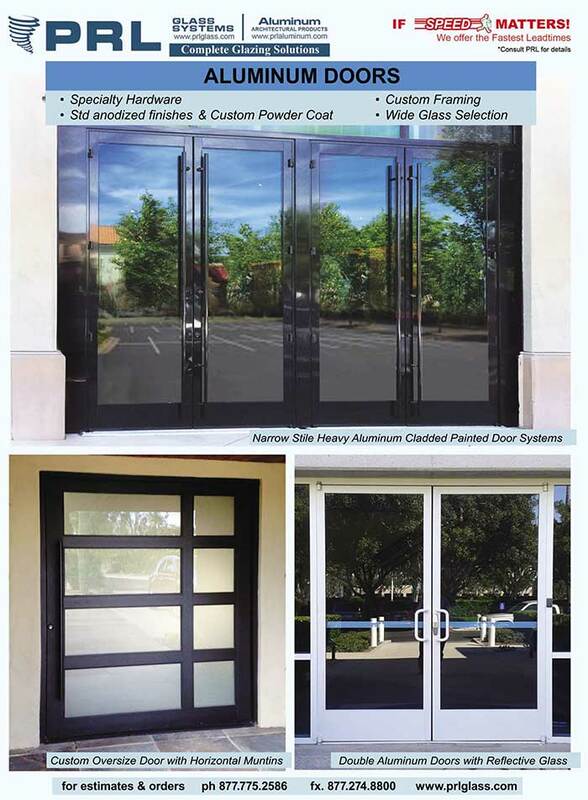 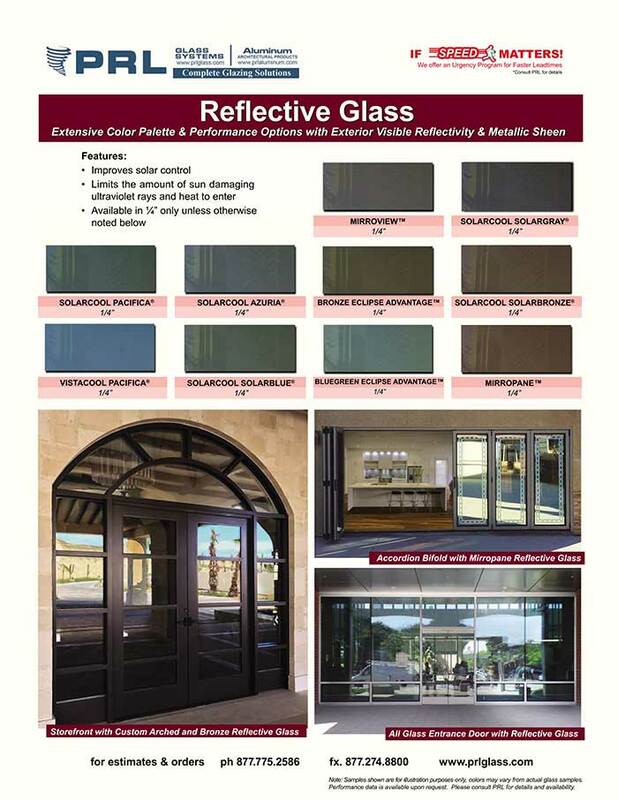 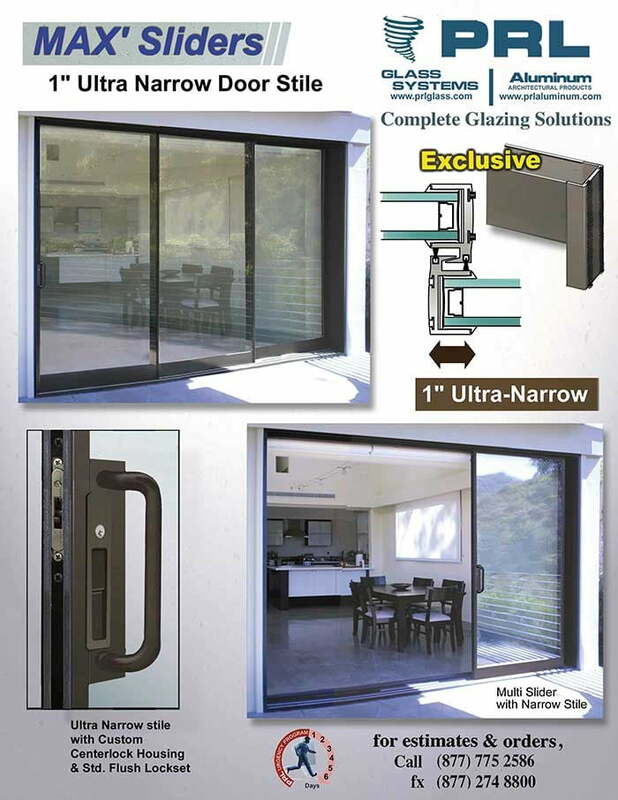 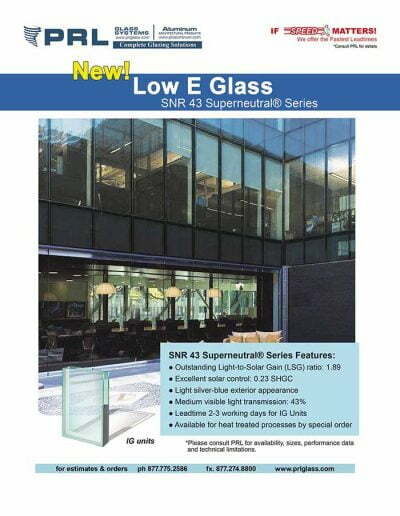 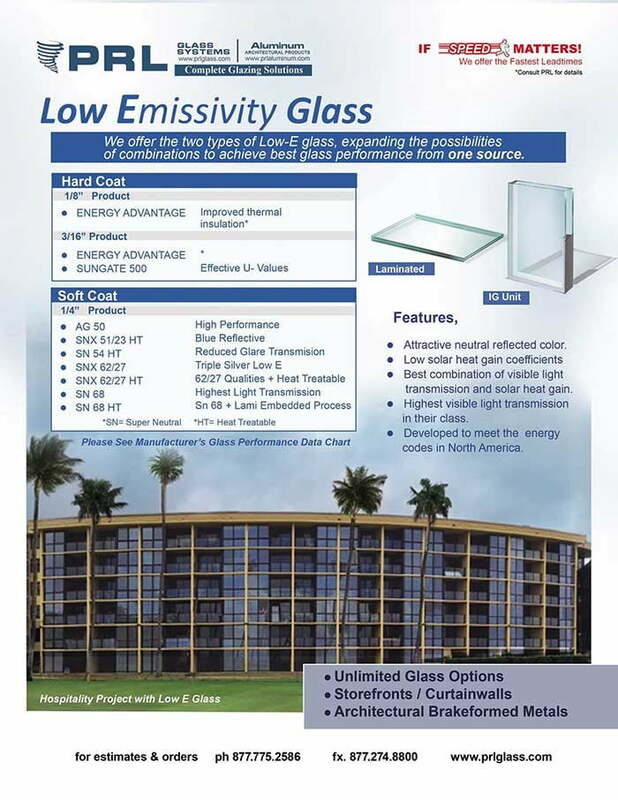 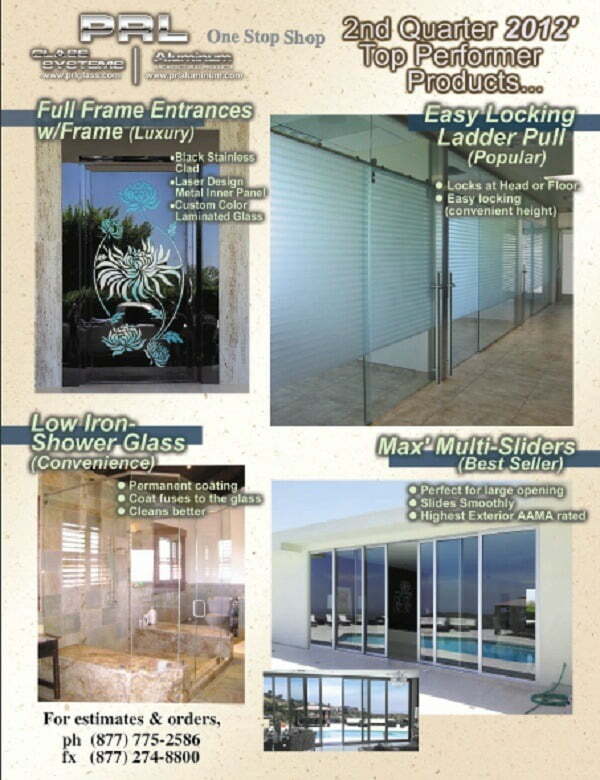 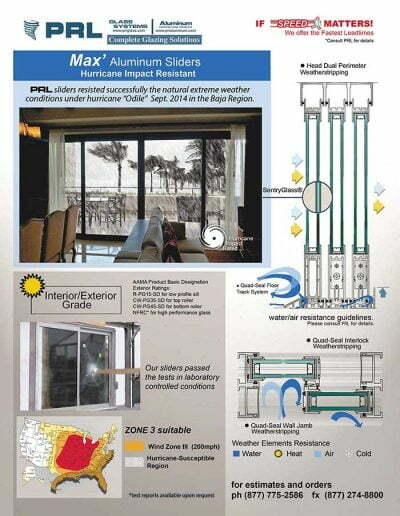 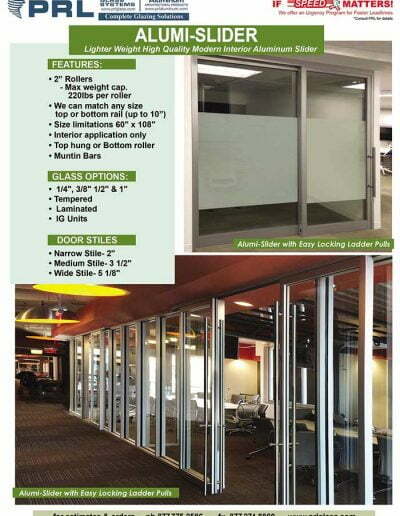 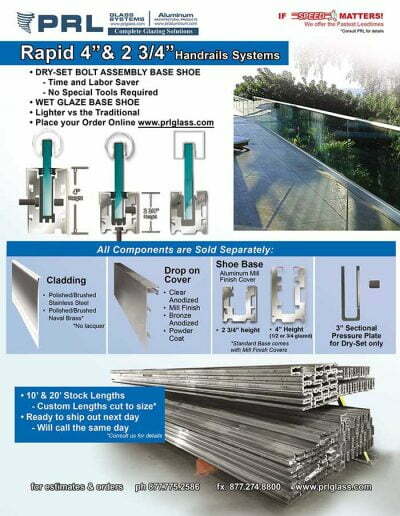 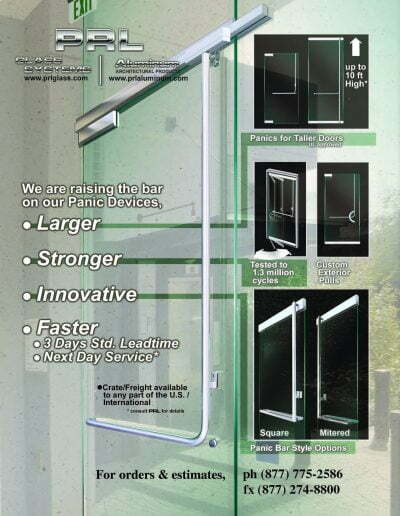 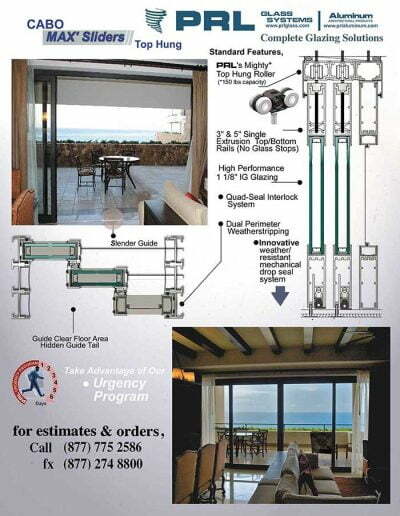 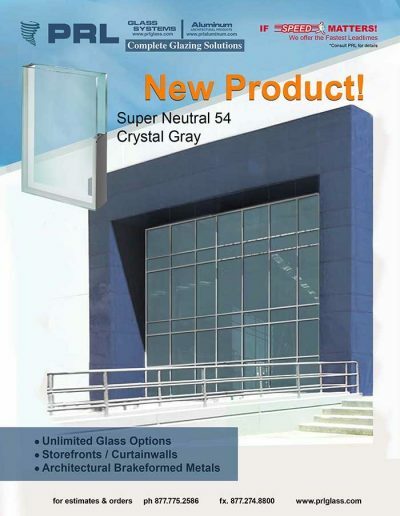 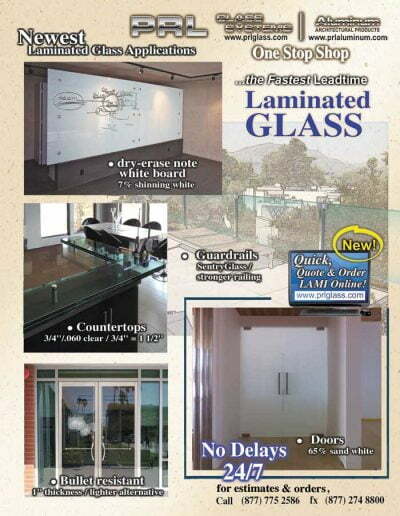 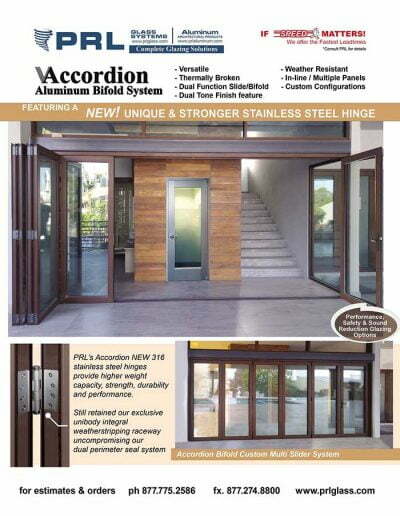 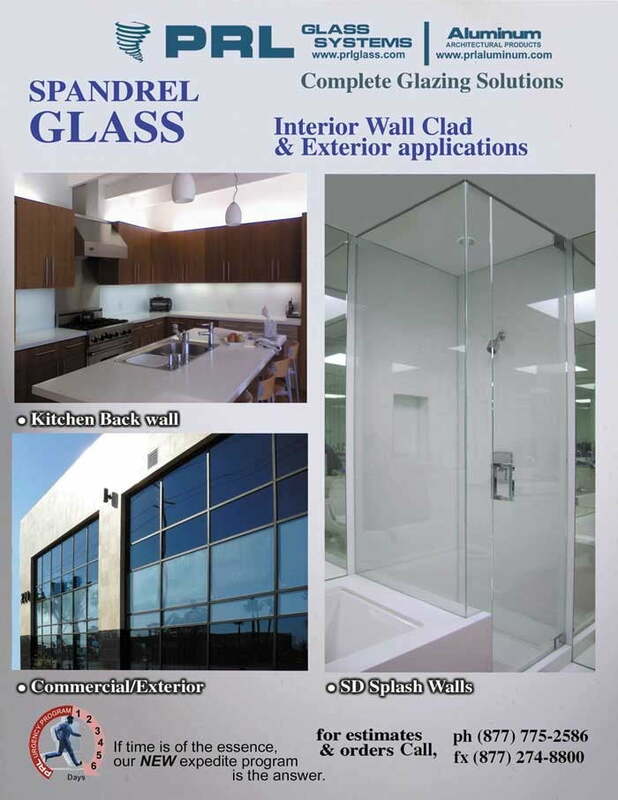 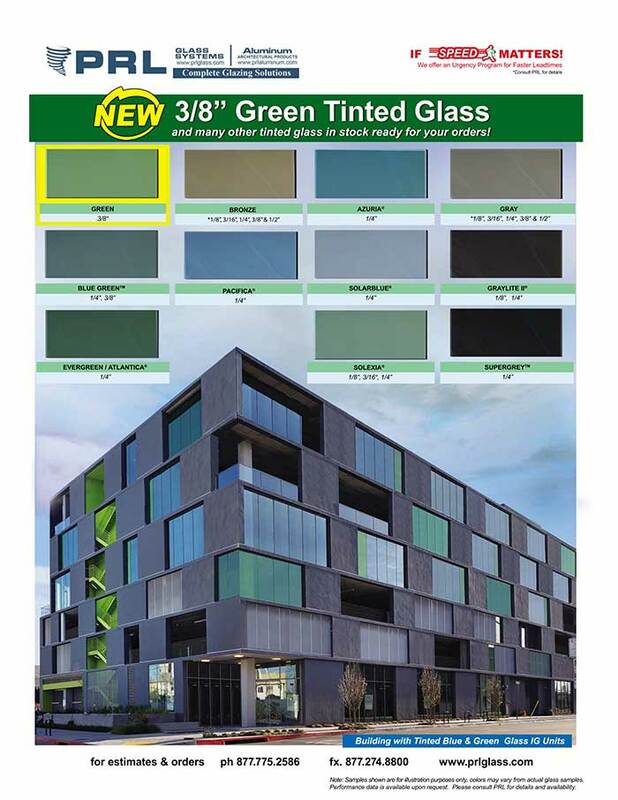 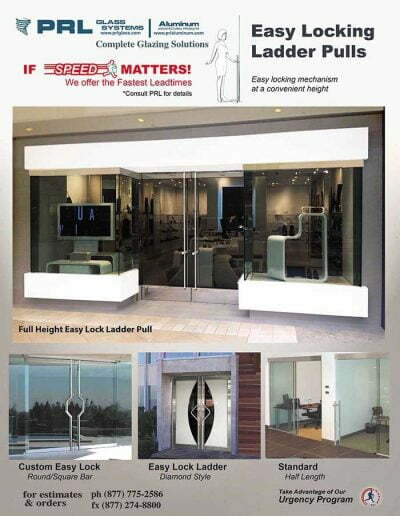 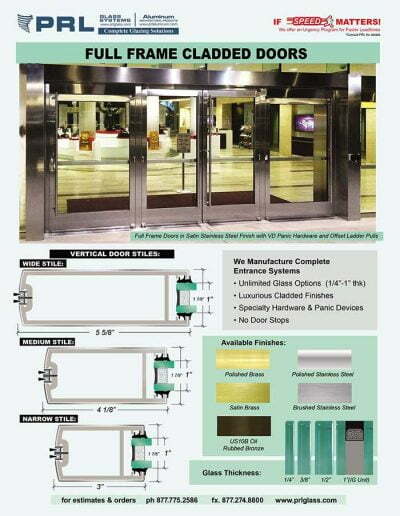 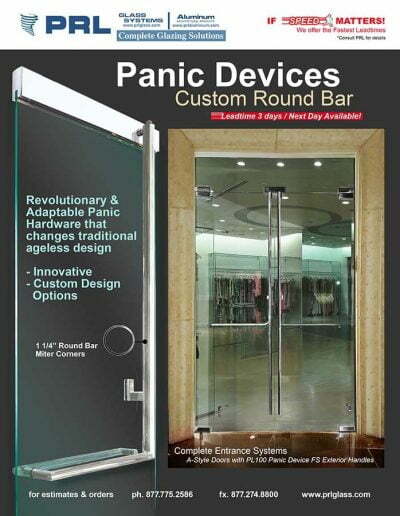 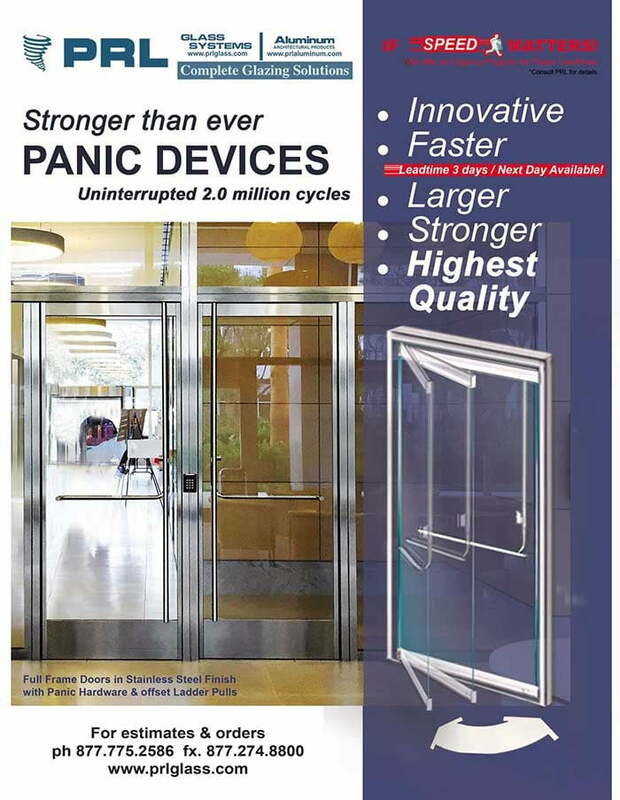 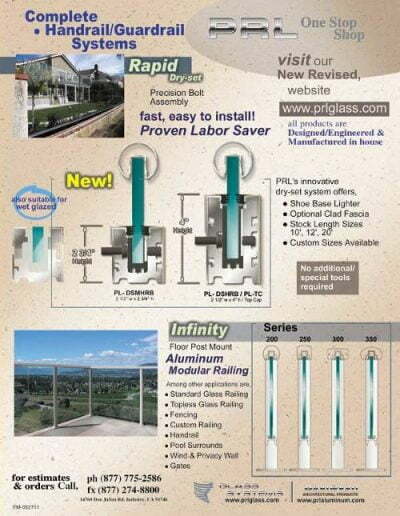 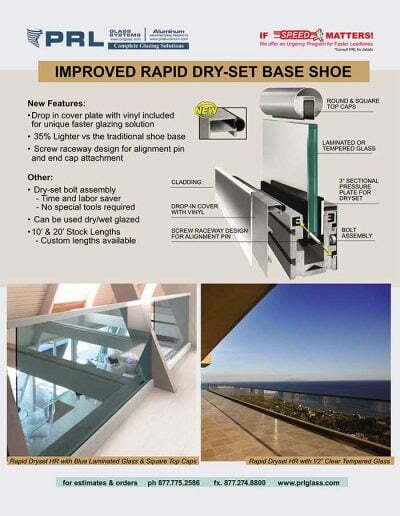 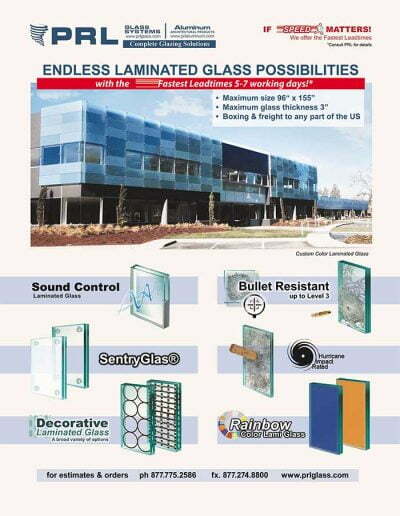 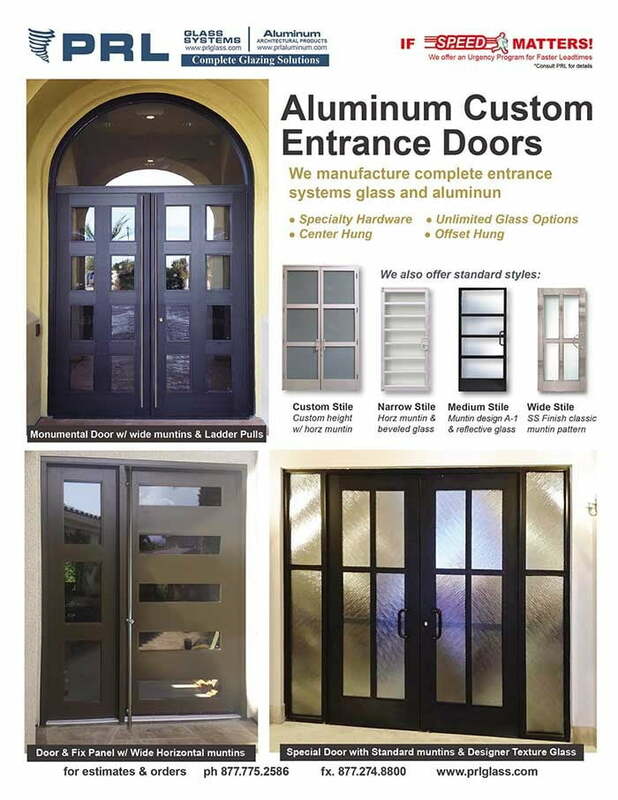 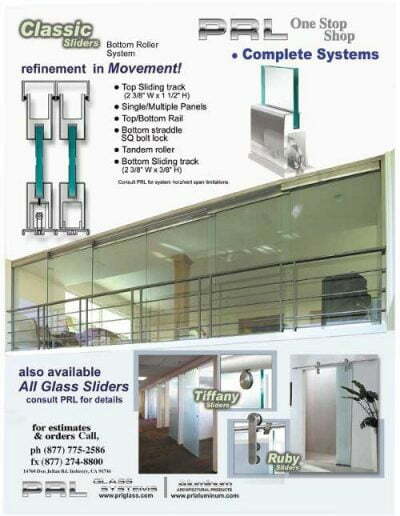 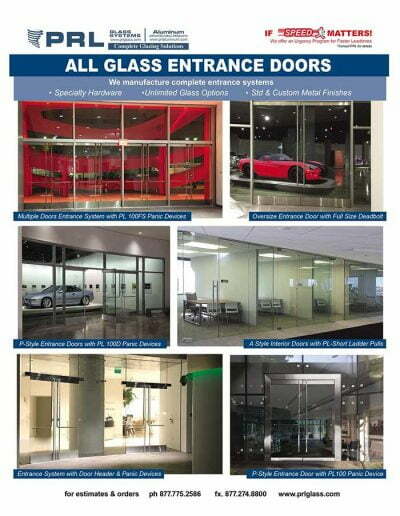 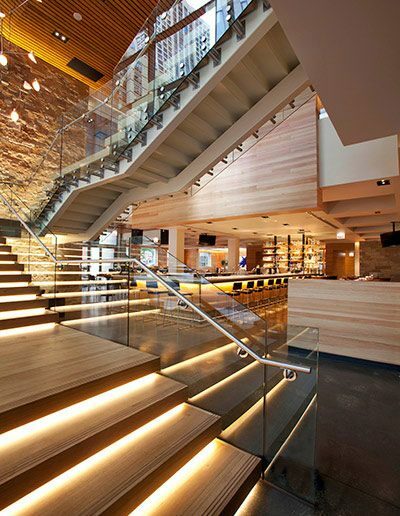 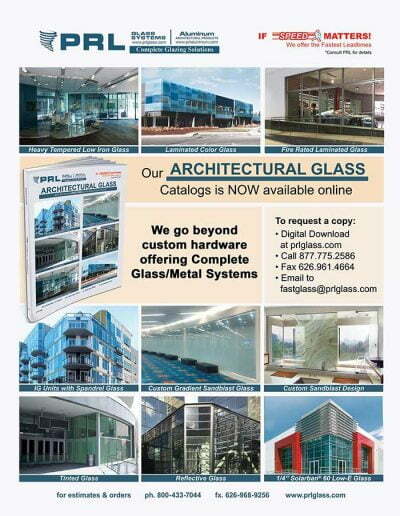 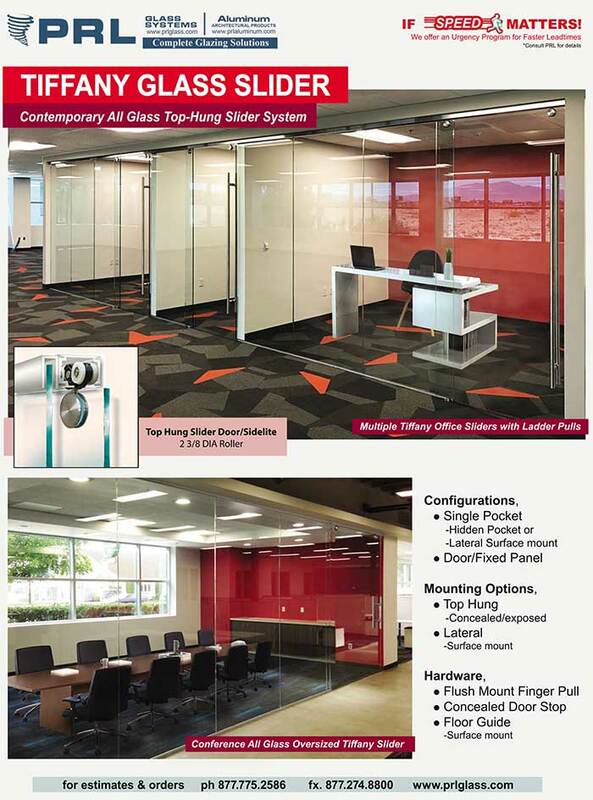 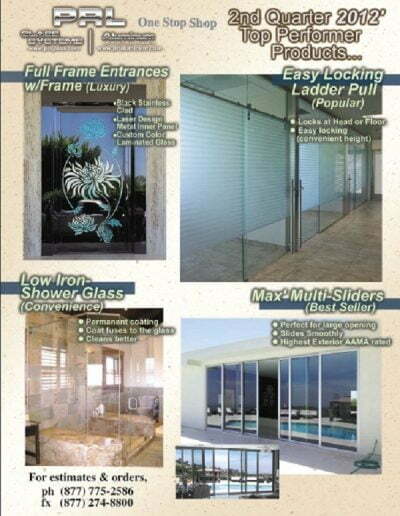 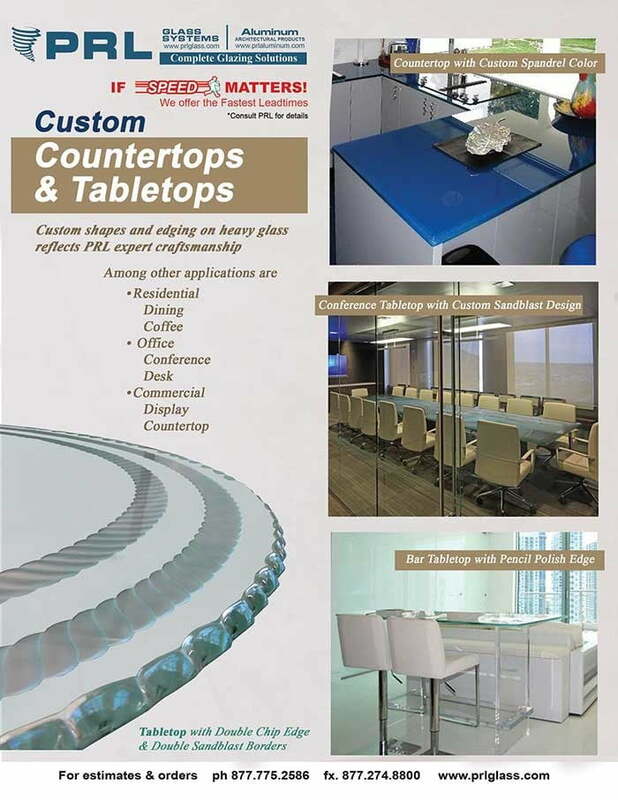 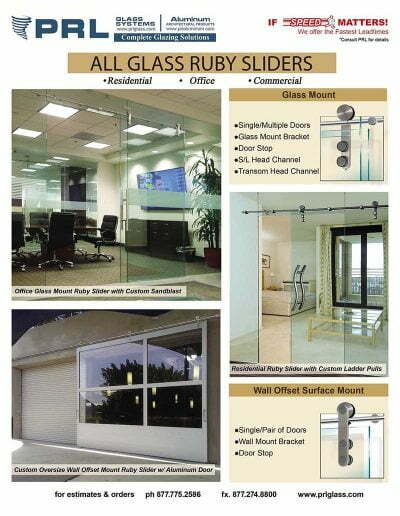 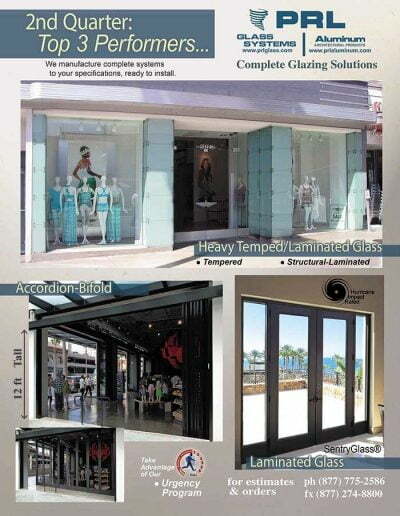 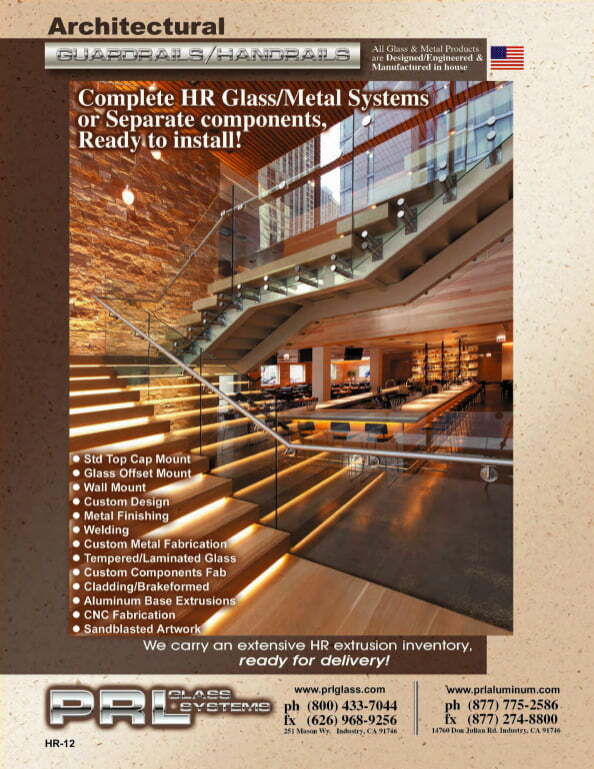 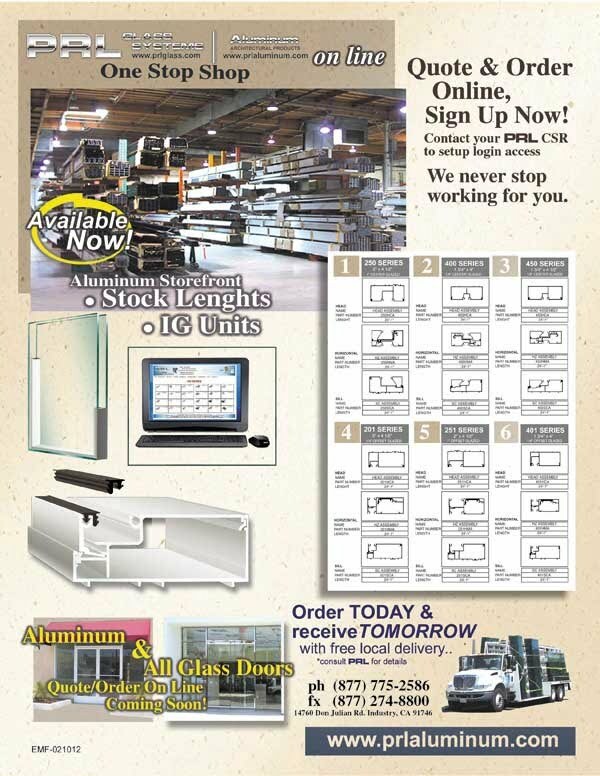 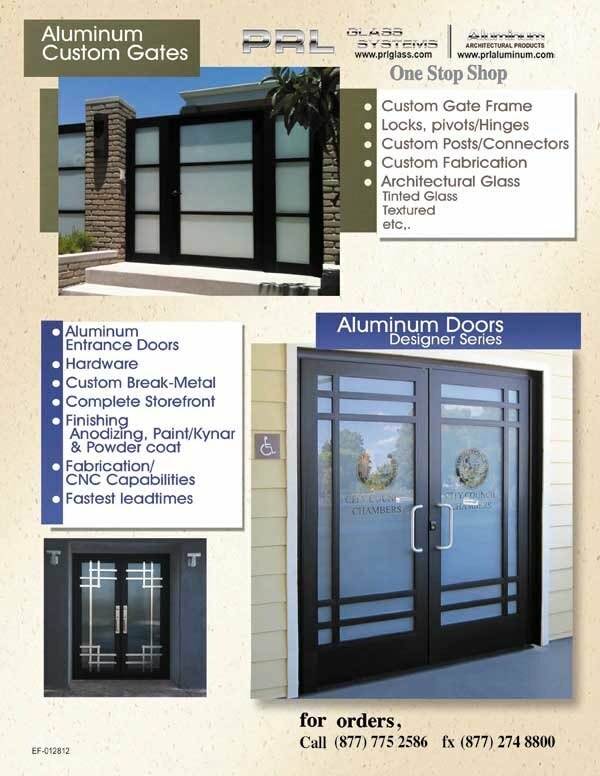 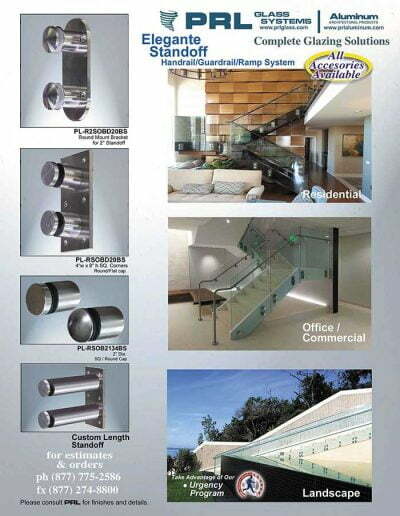 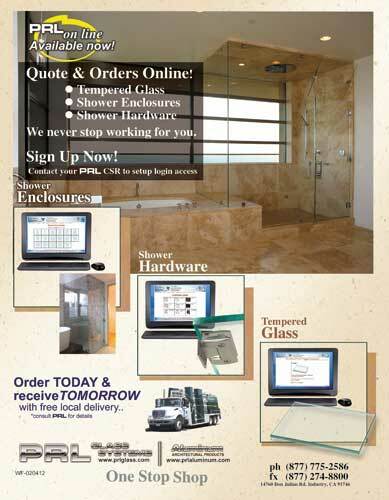 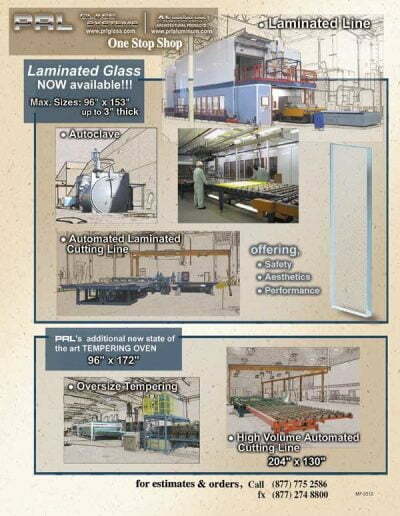 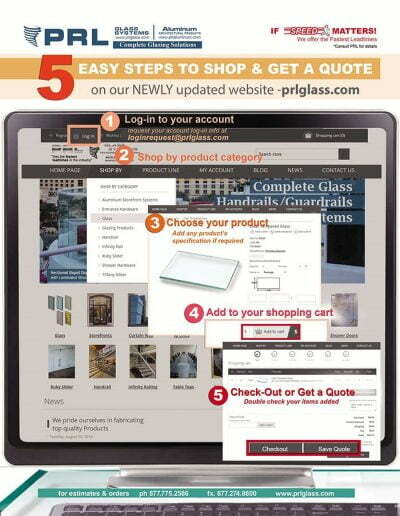 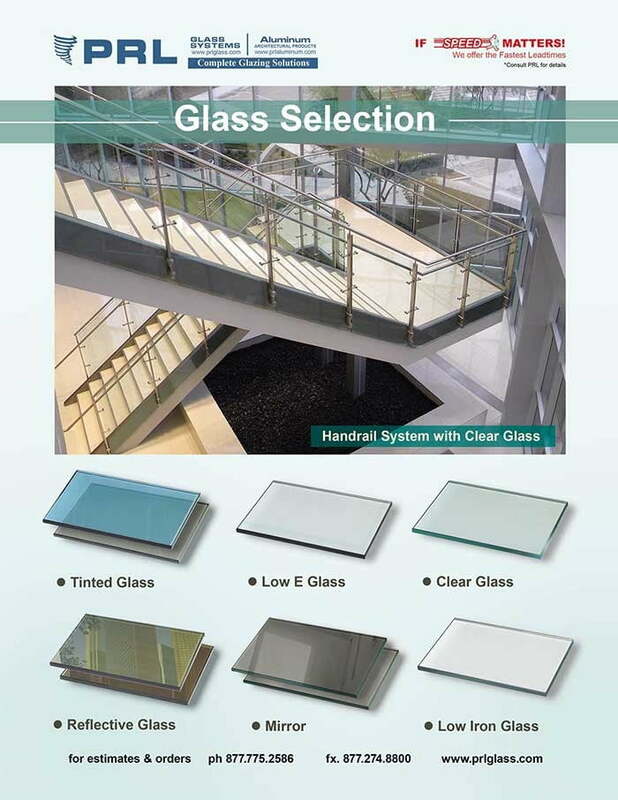 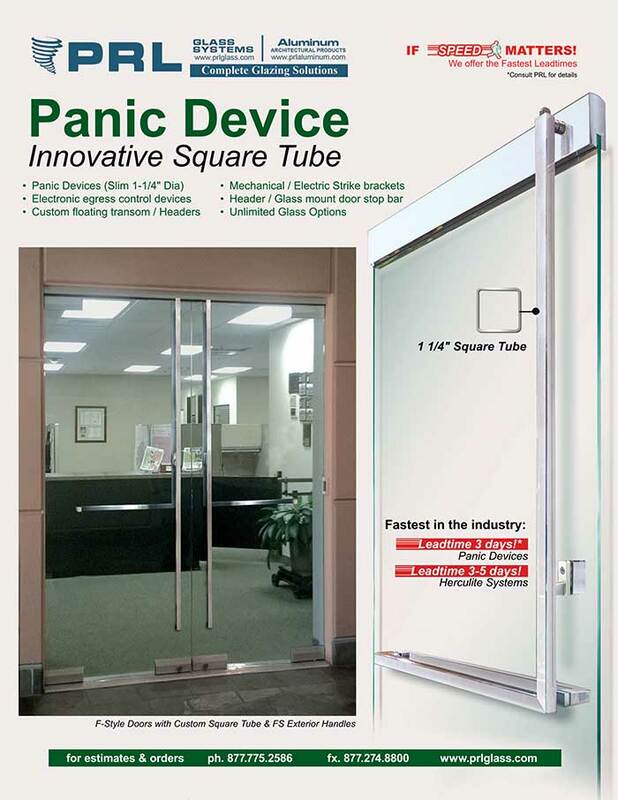 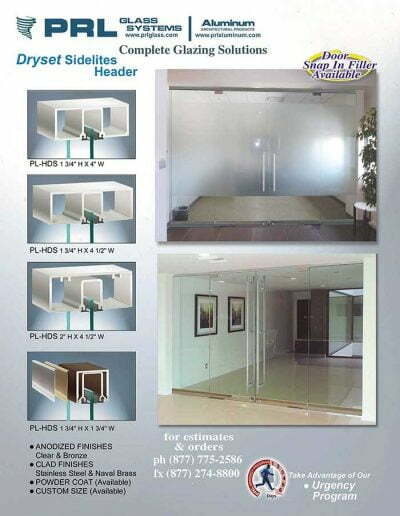 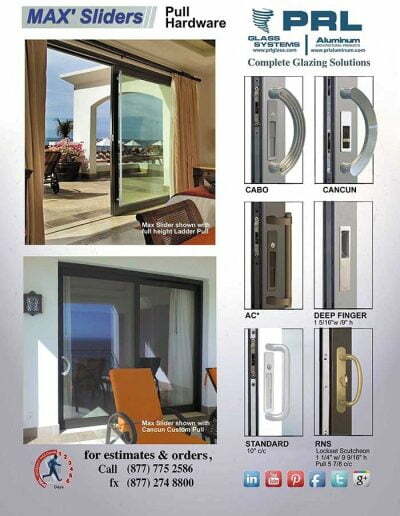 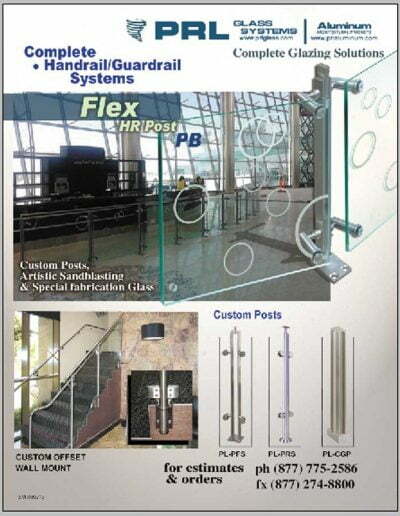 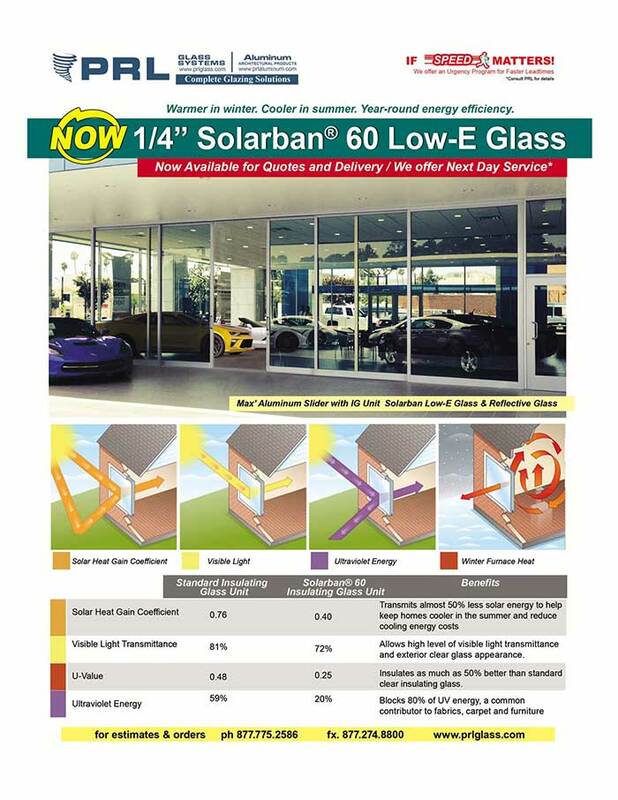 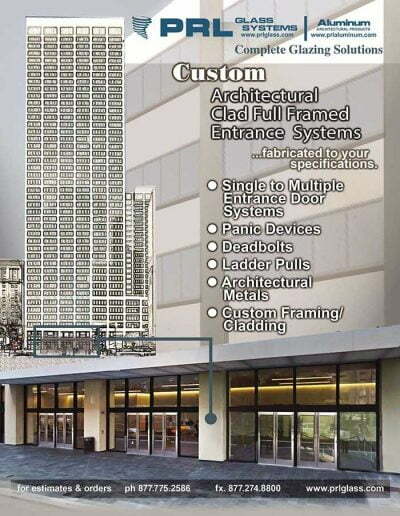 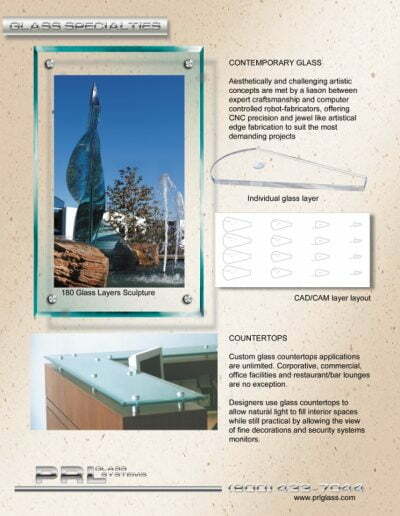 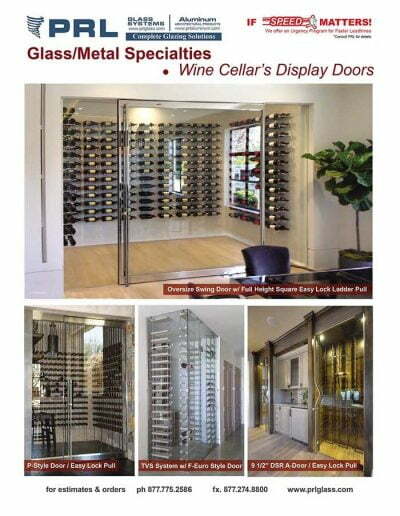 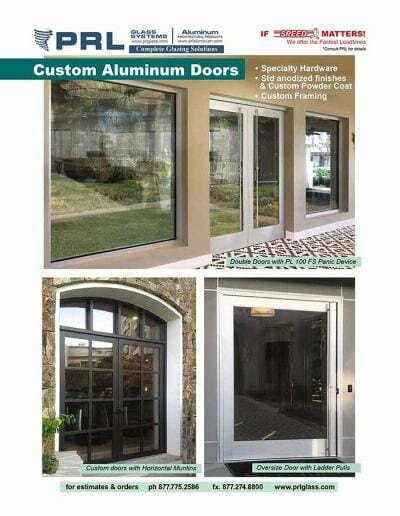 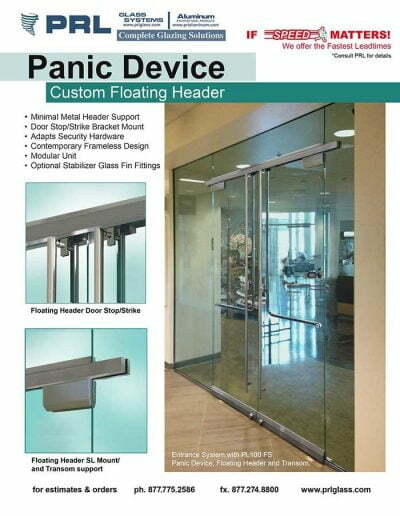 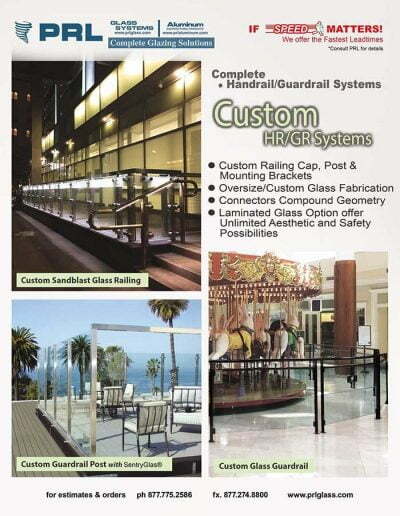 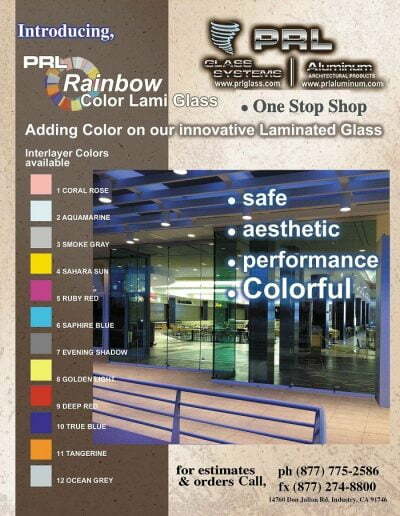 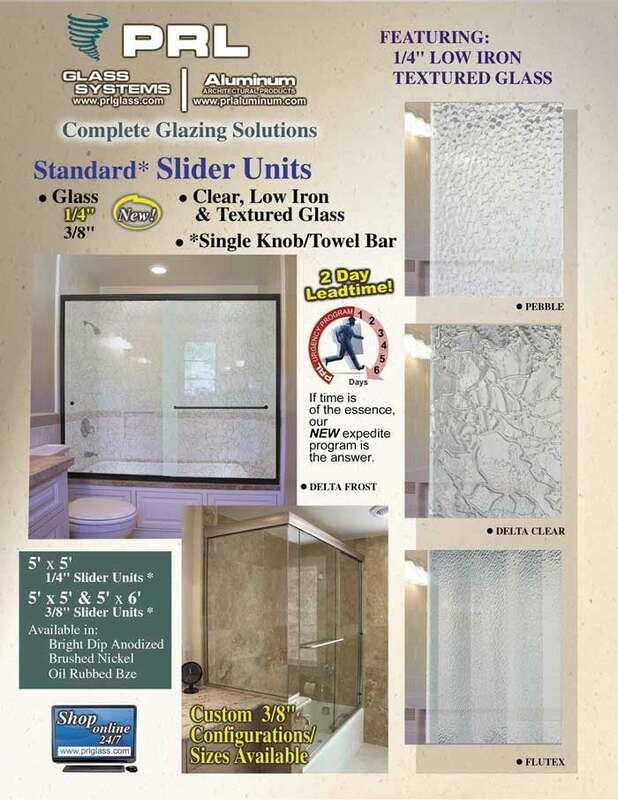 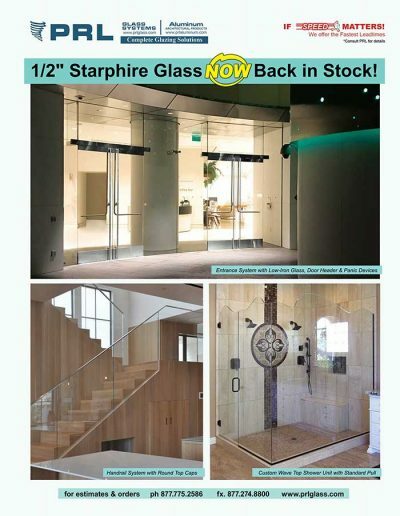 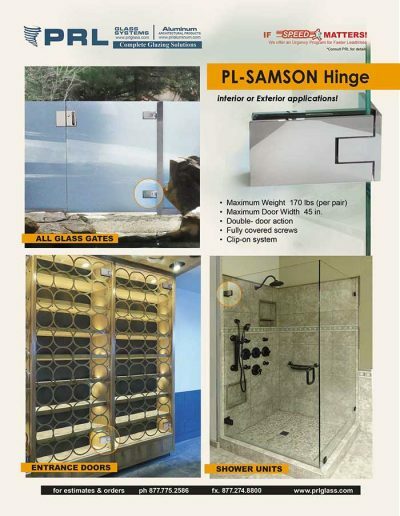 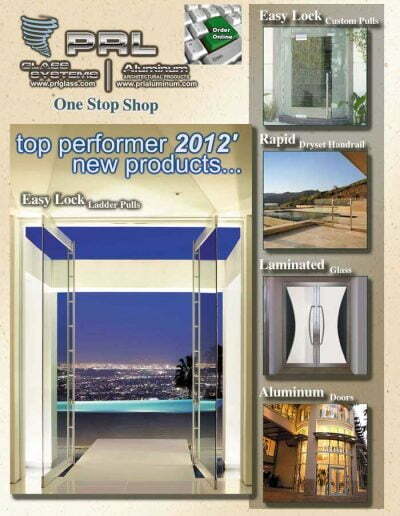 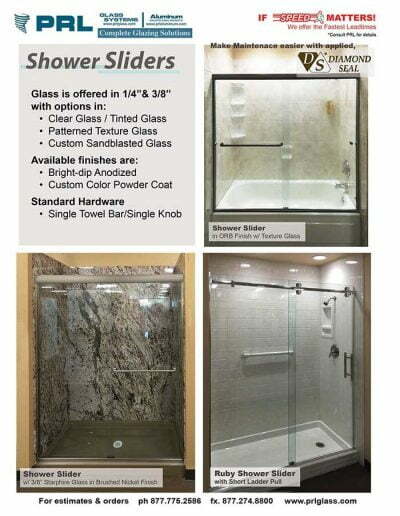 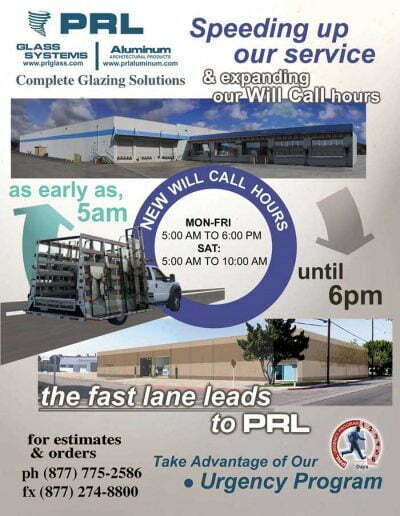 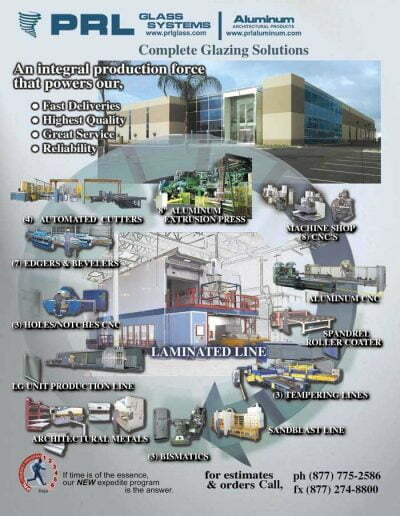 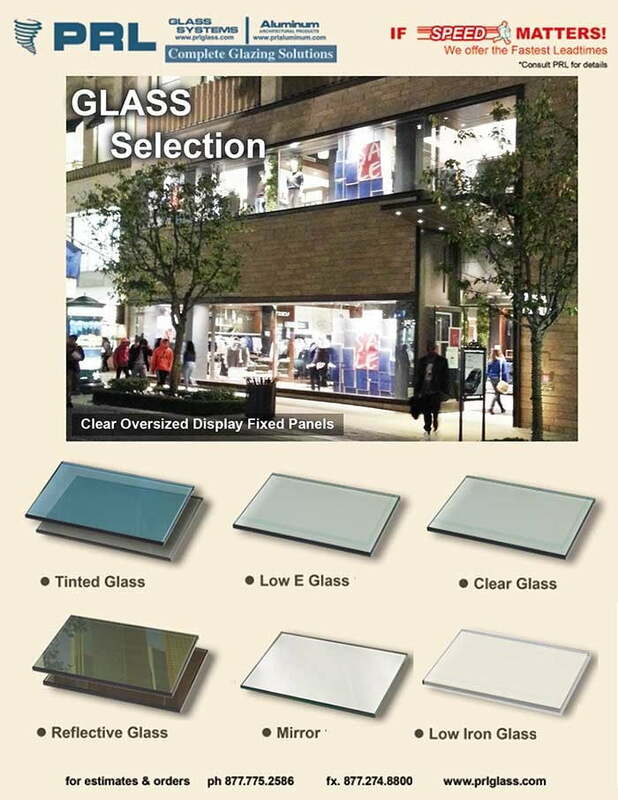 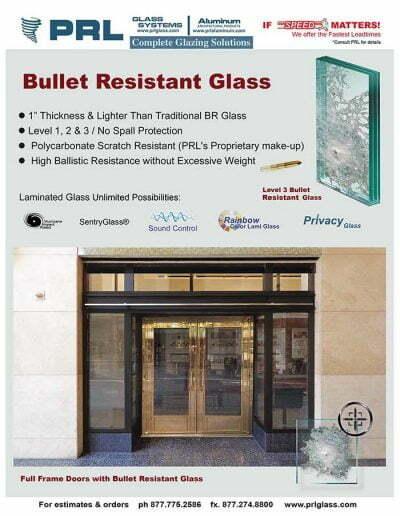 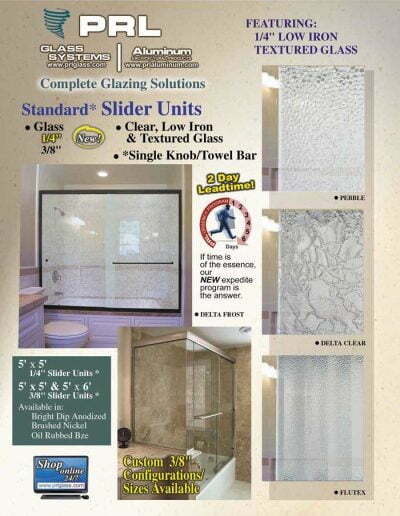 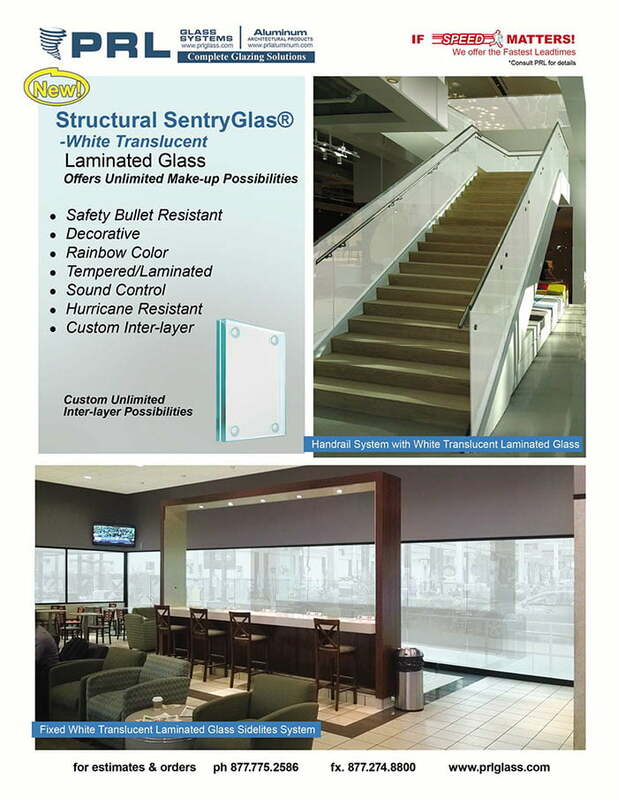 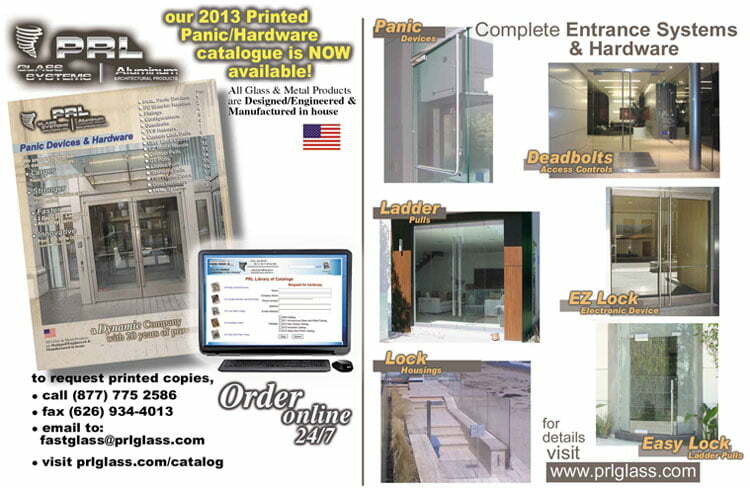 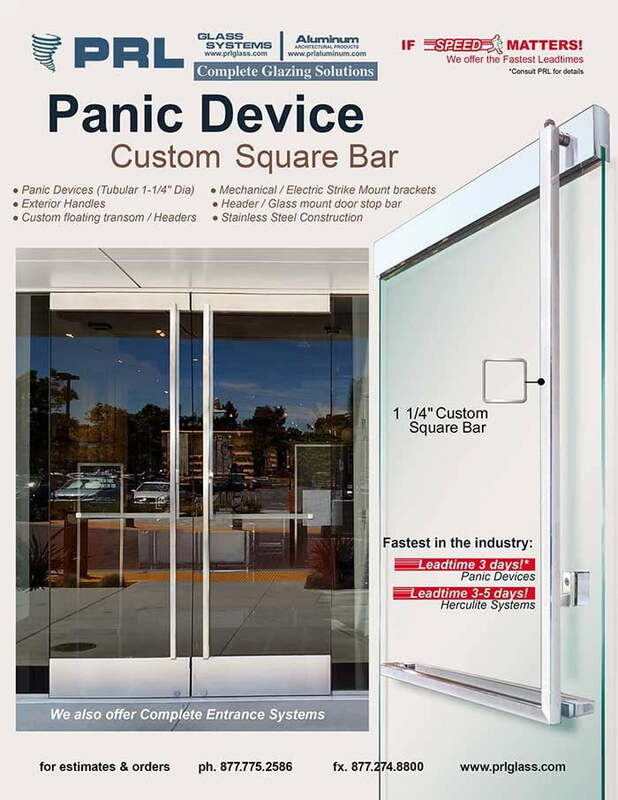 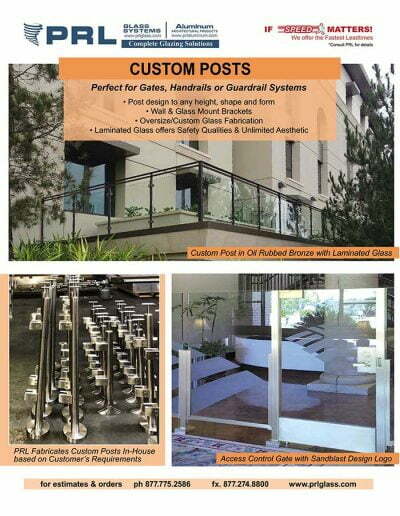 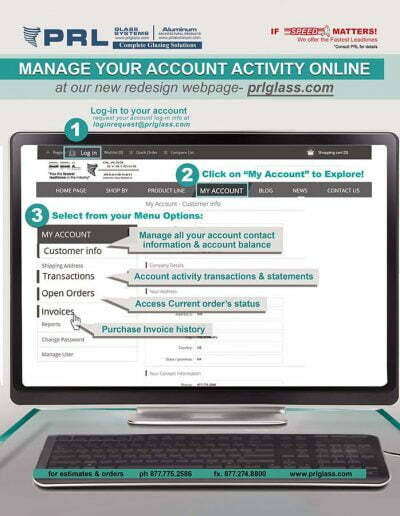 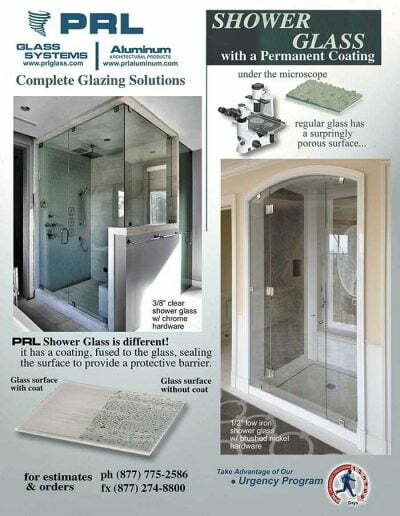 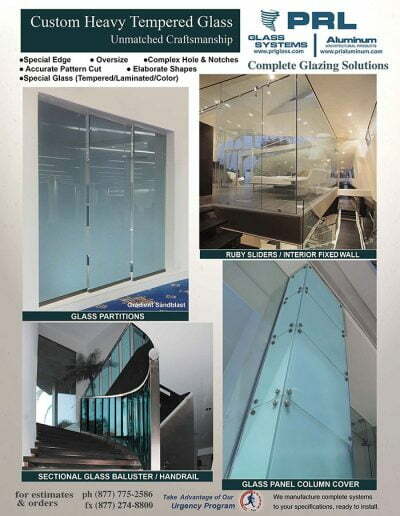 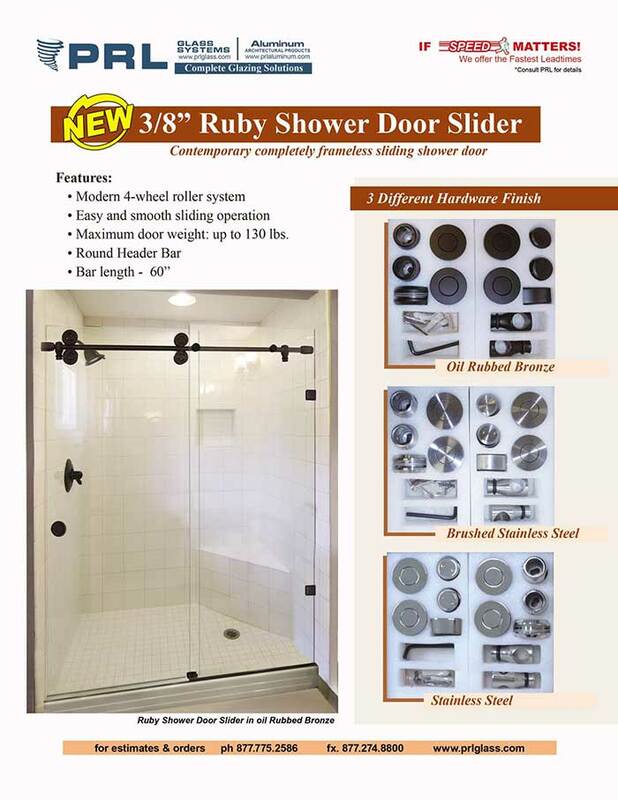 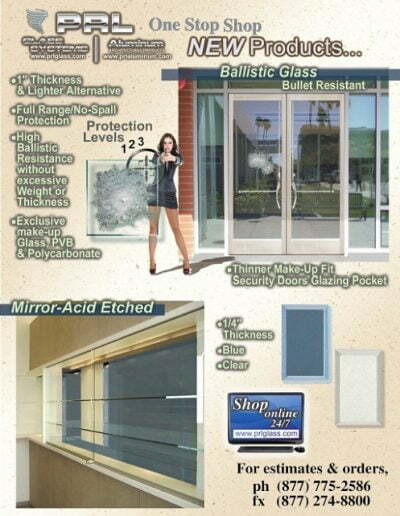 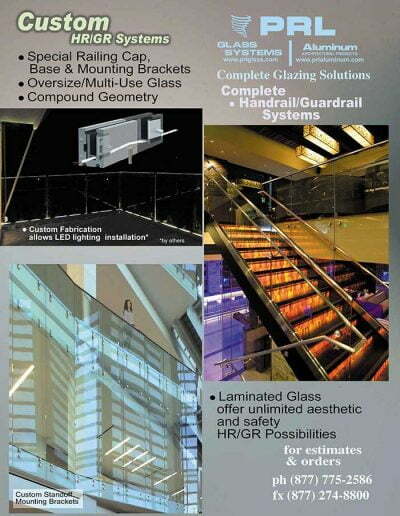 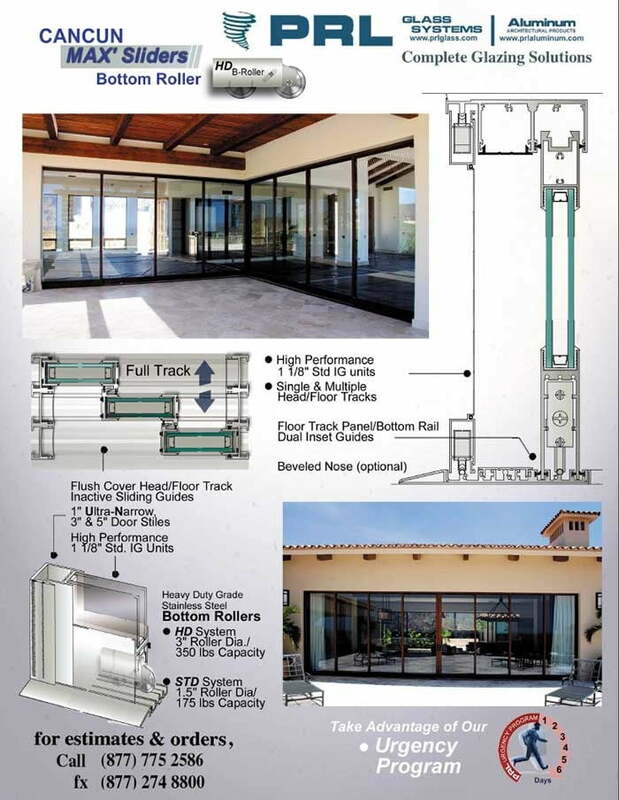 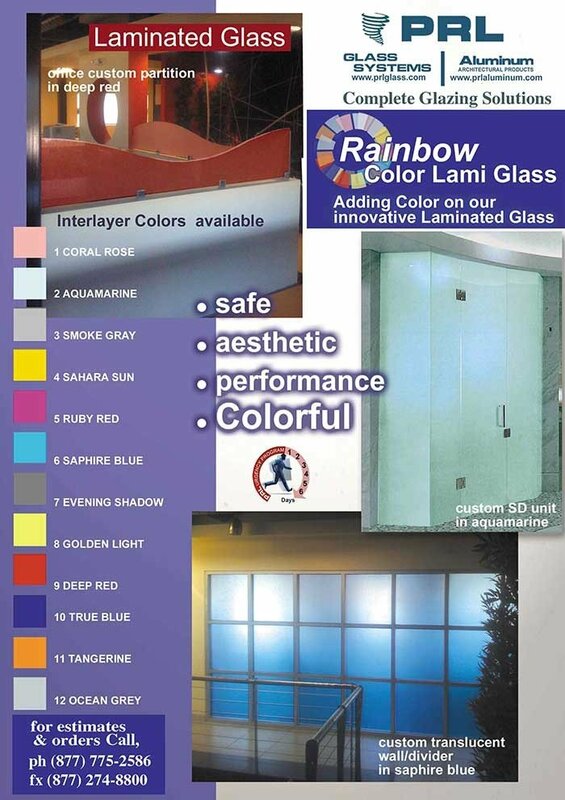 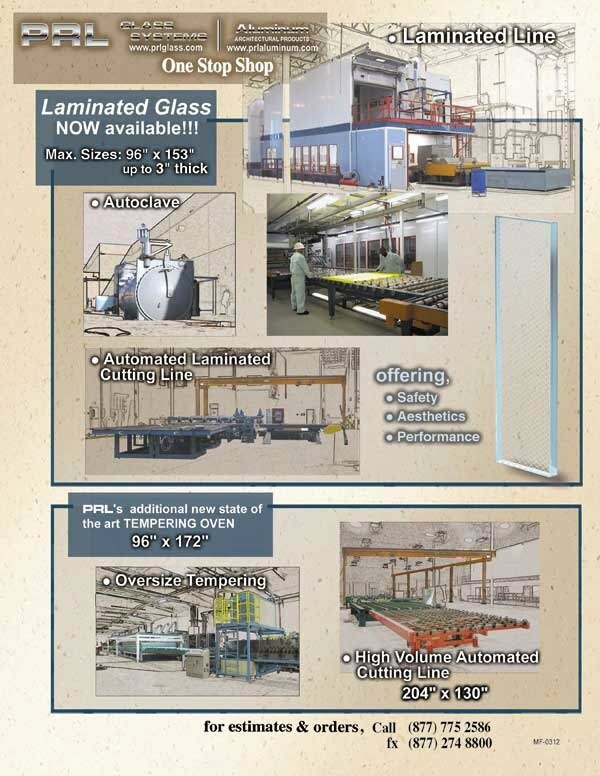 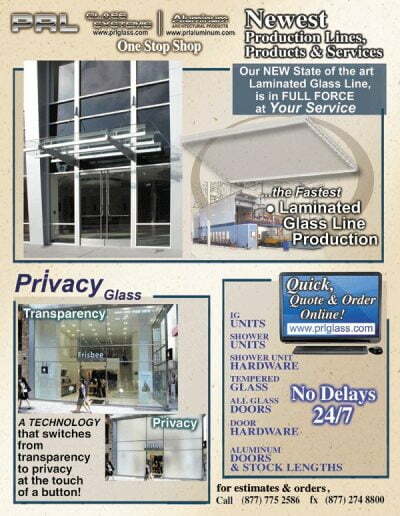 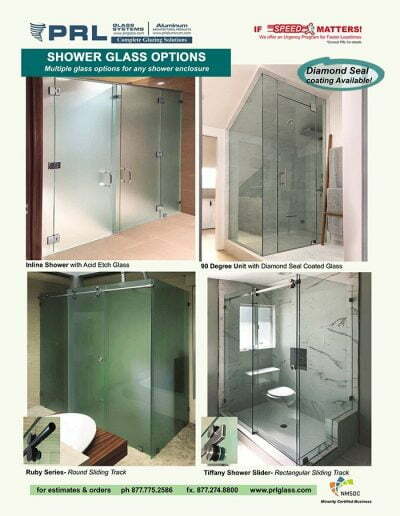 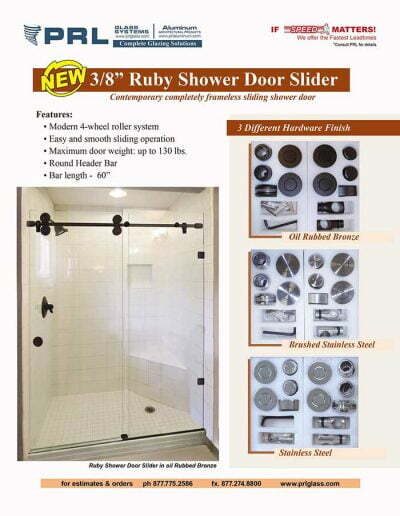 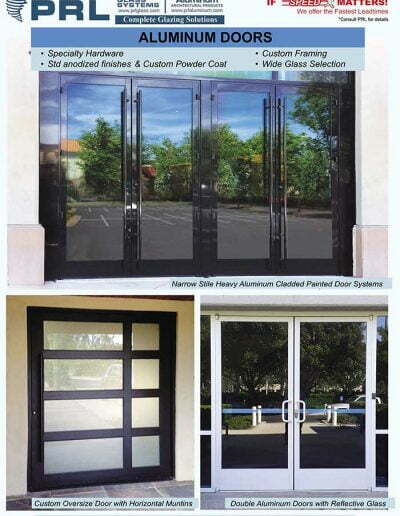 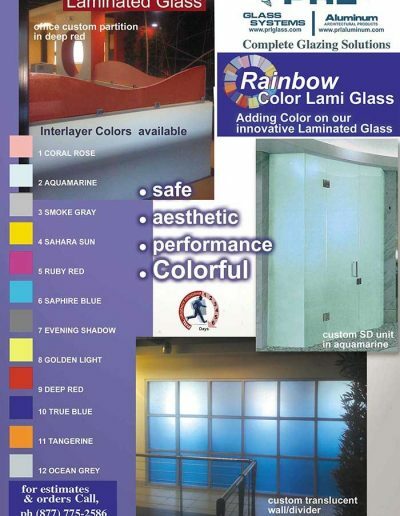 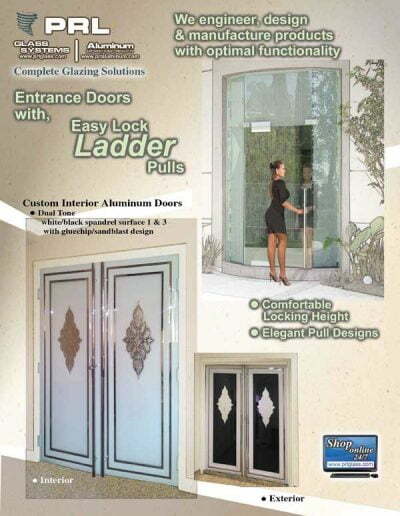 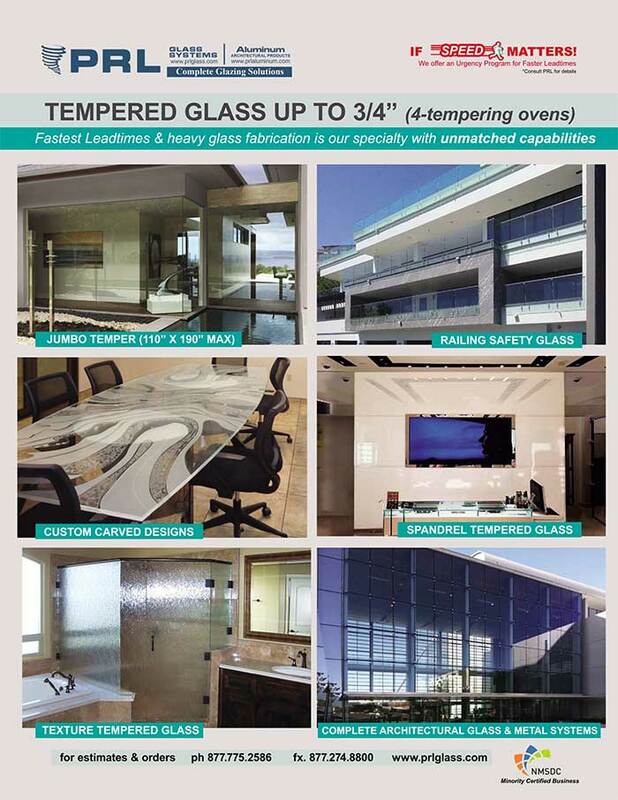 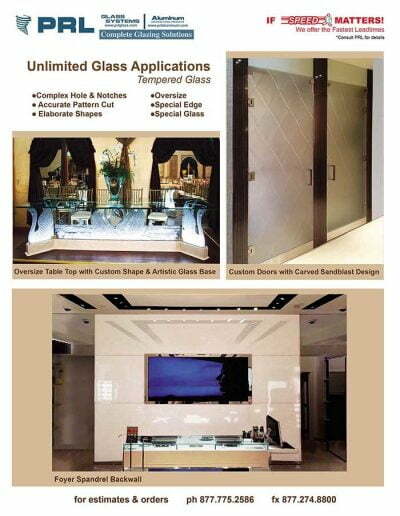 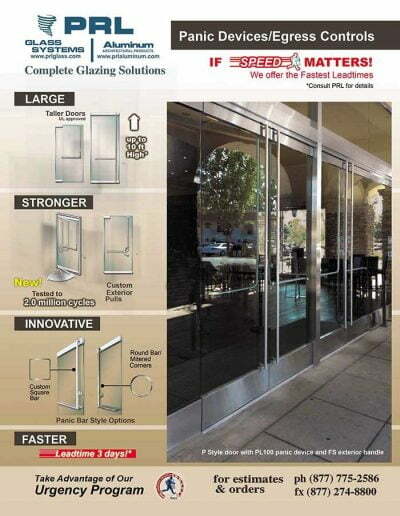 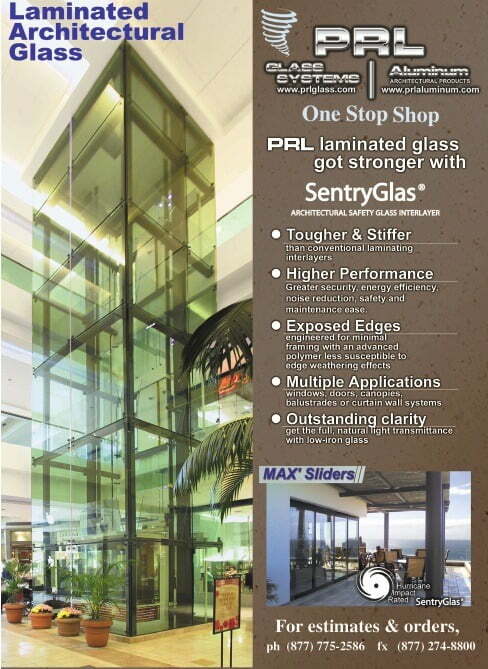 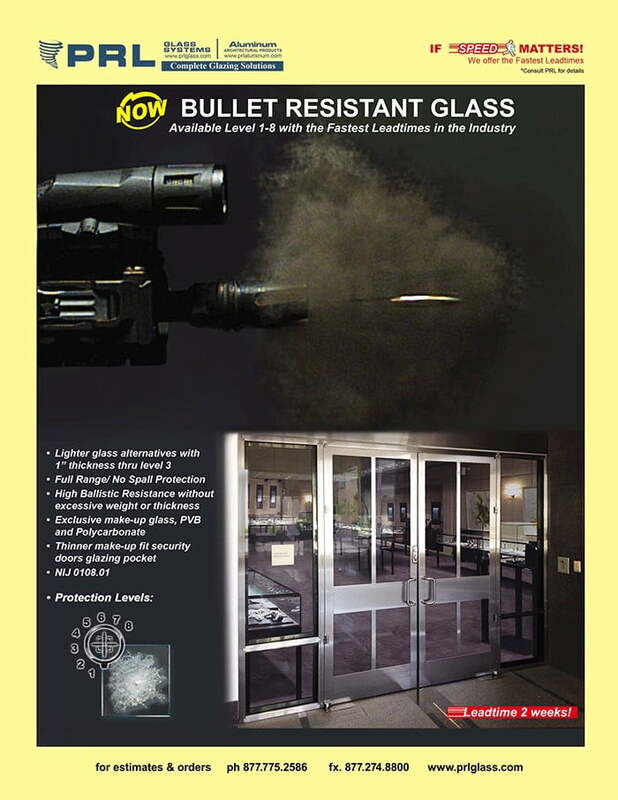 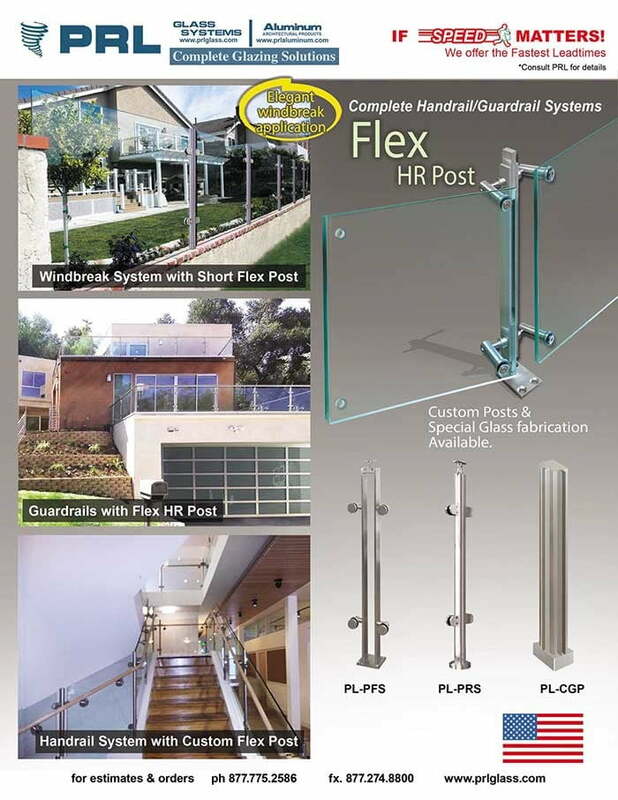 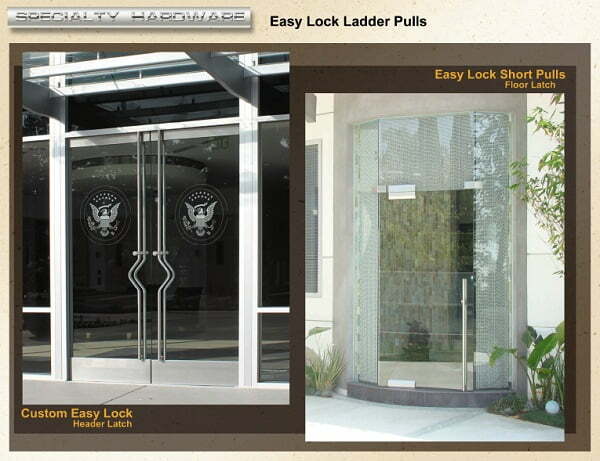 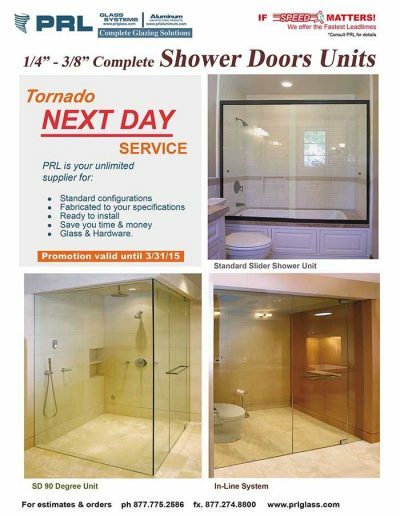 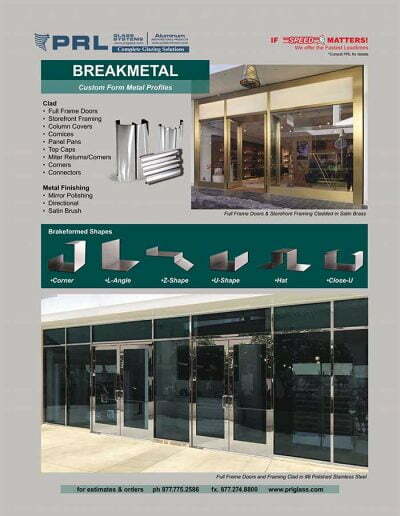 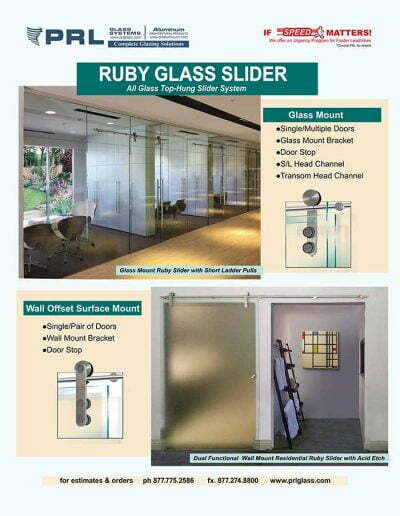 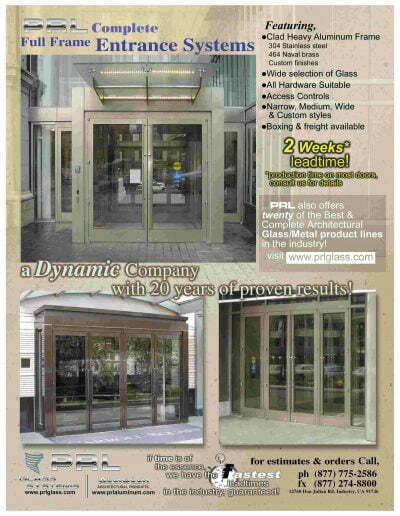 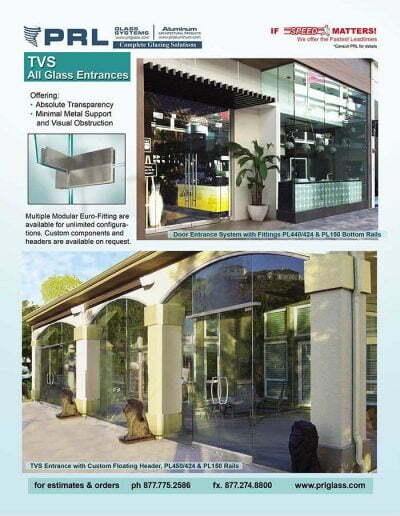 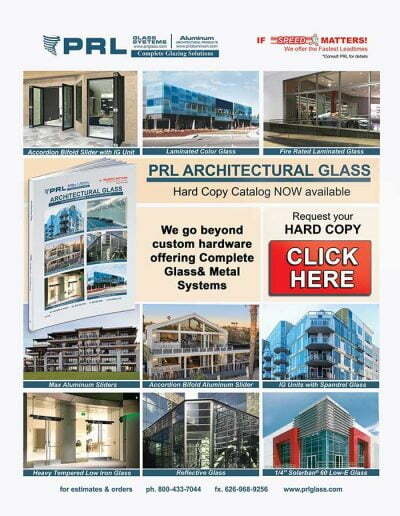 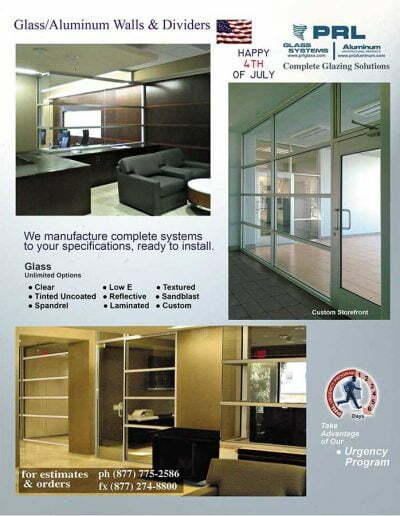 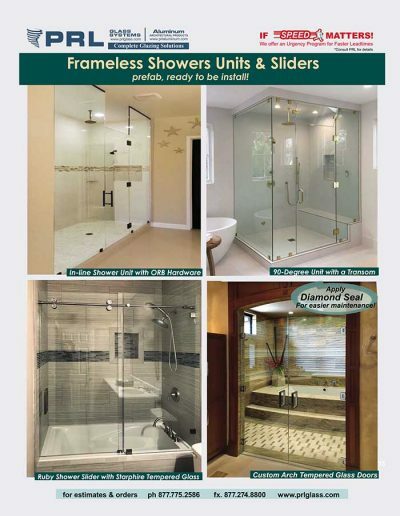 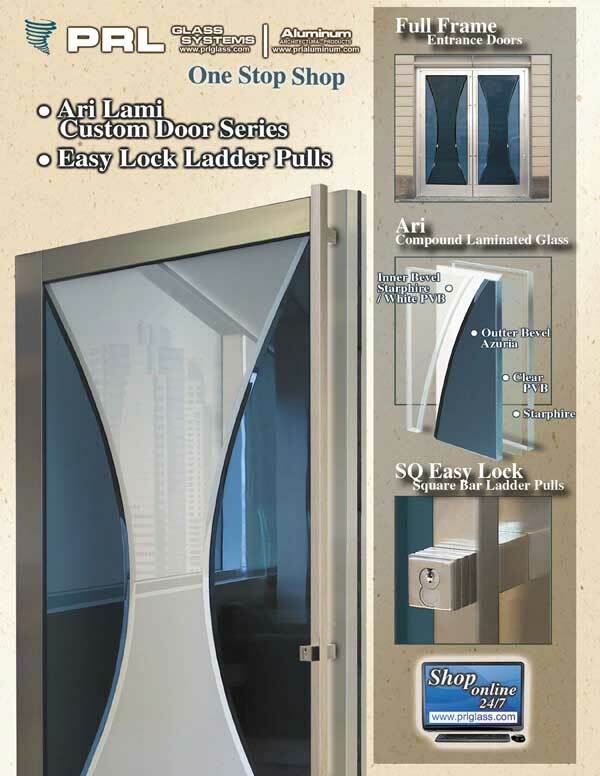 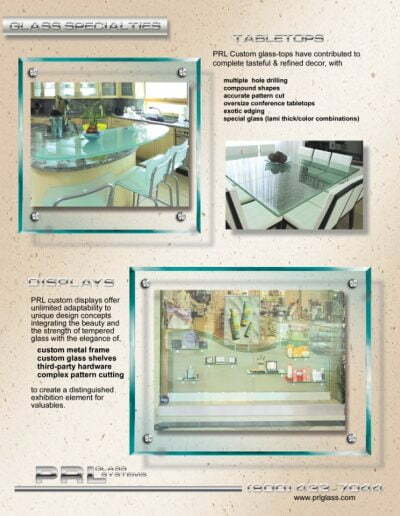 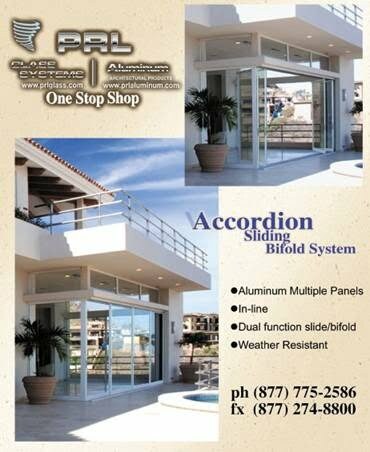 PRL Glass manufactures insulated glass units that are a high quality and energy performance certified product. 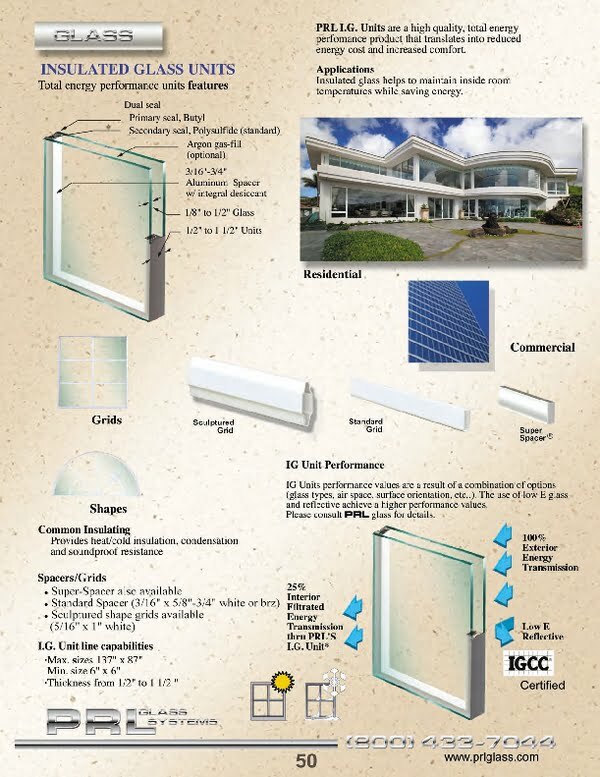 The use of IG units in your windows or doors will help save energy and money. 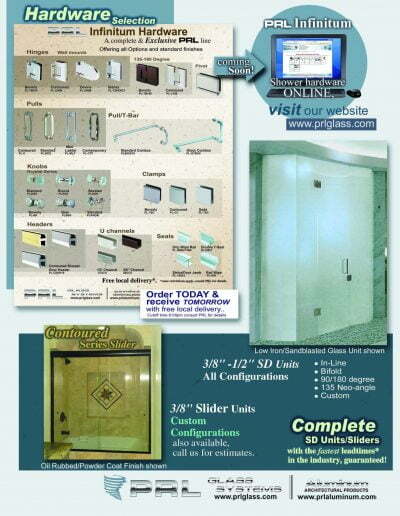 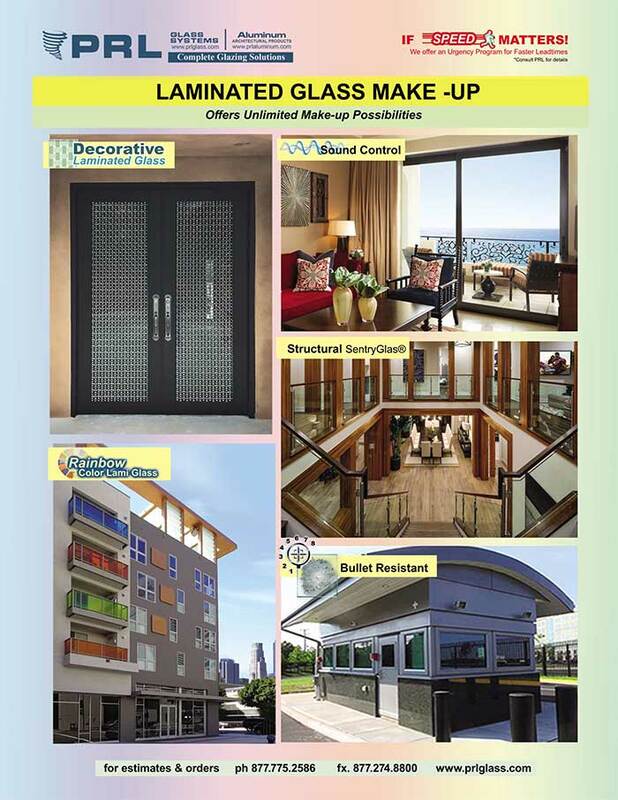 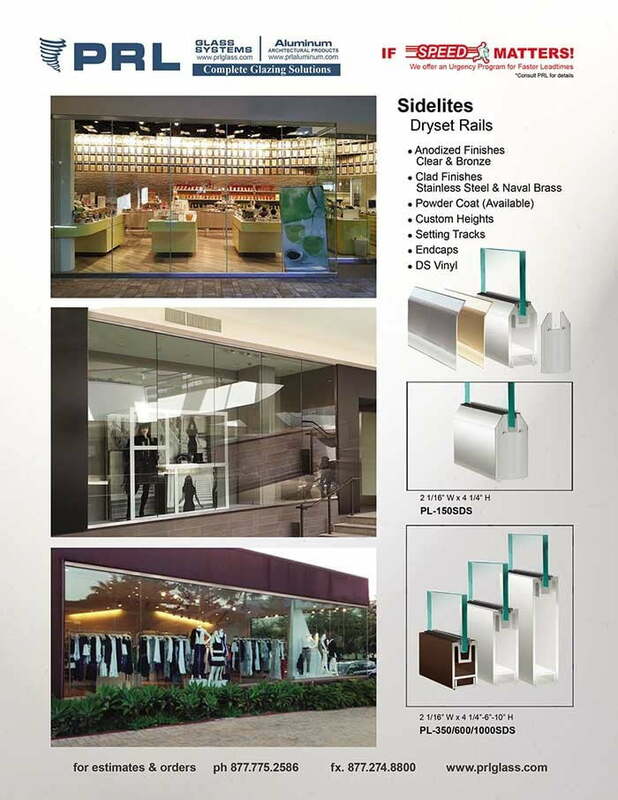 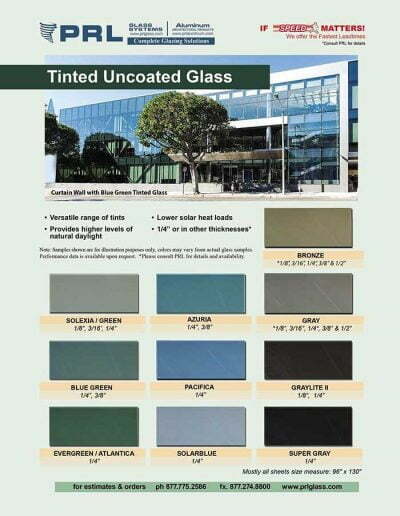 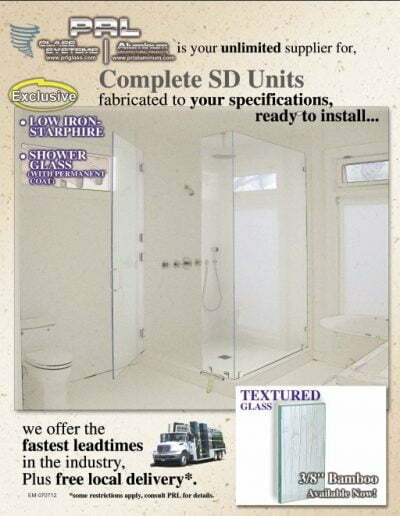 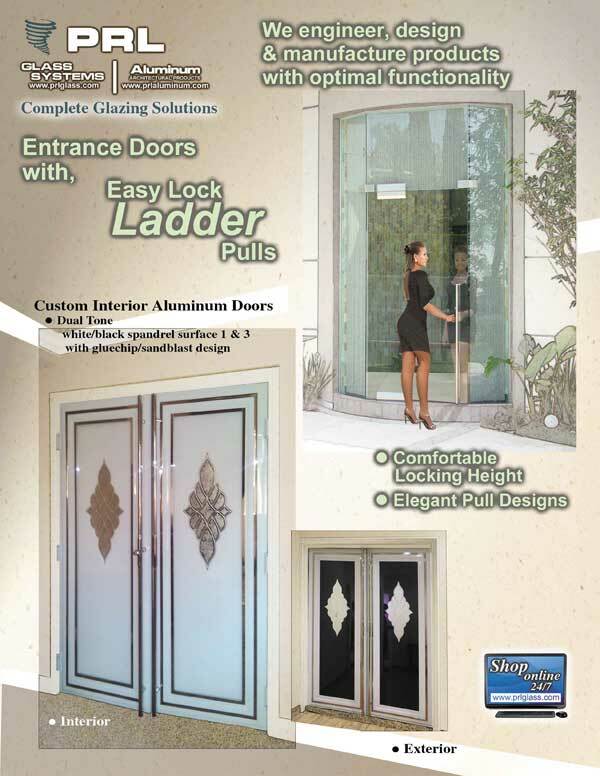 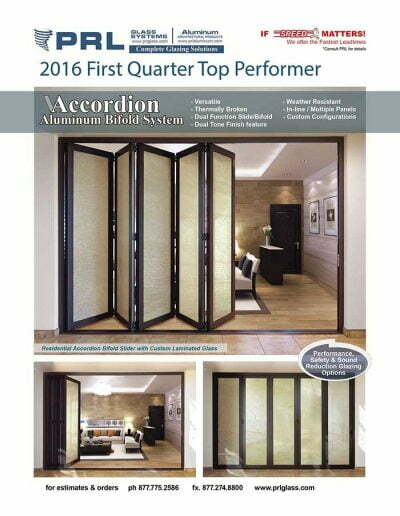 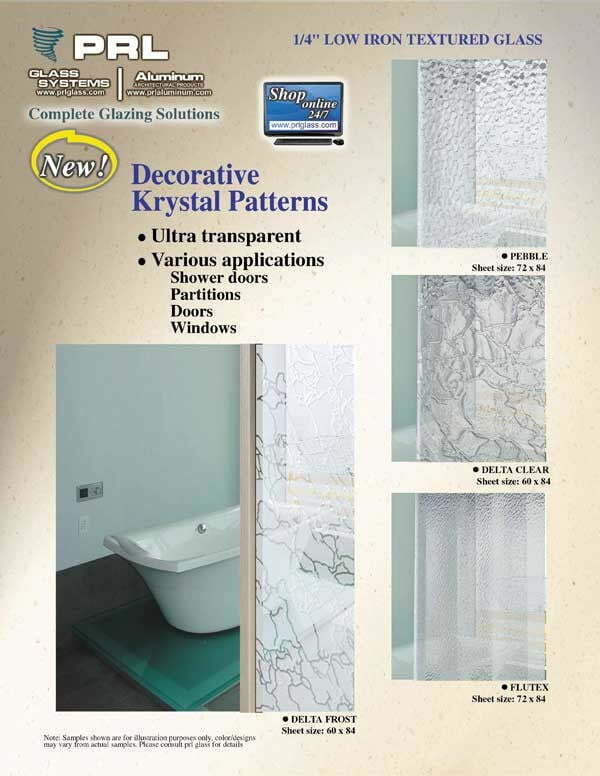 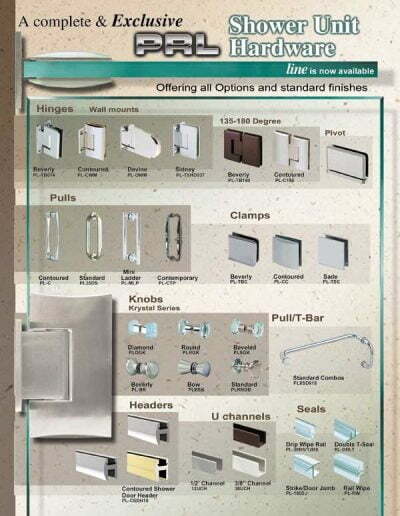 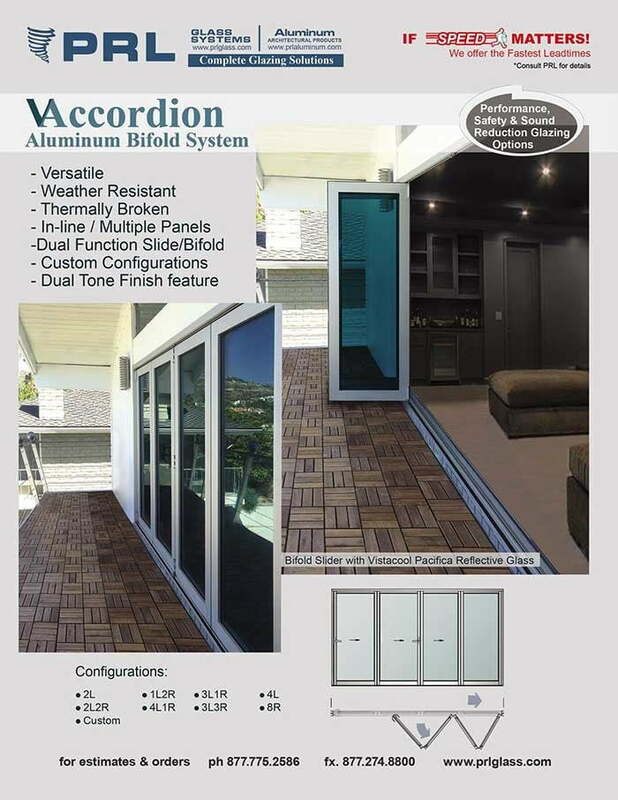 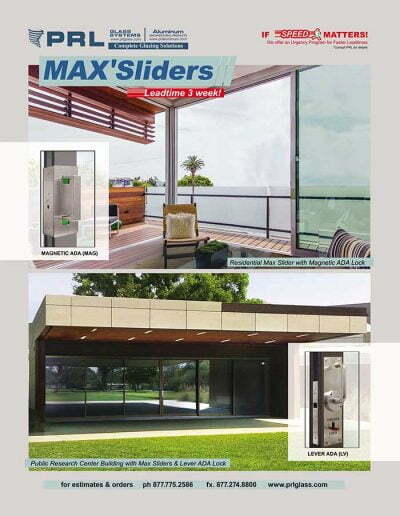 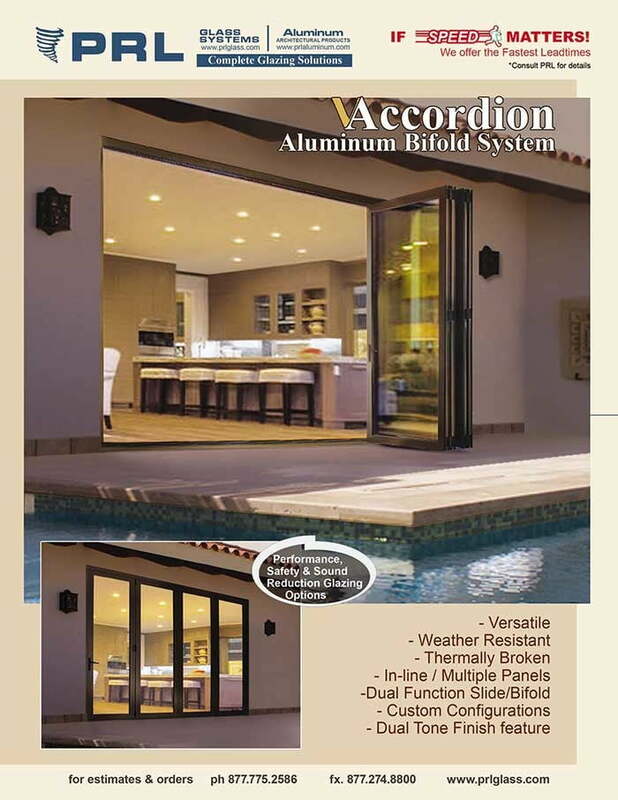 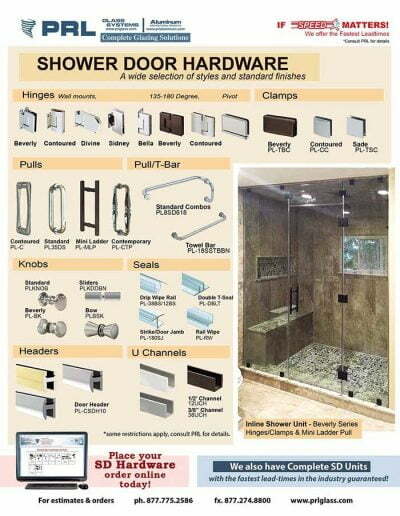 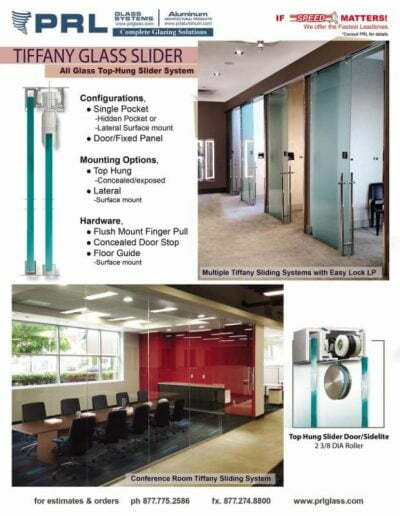 Insulated units have many glass combinations and values for your residential or commercial projects. 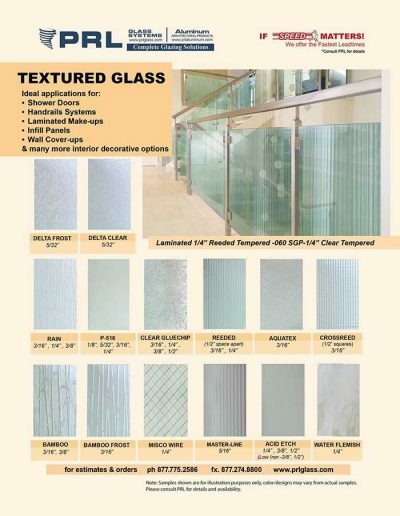 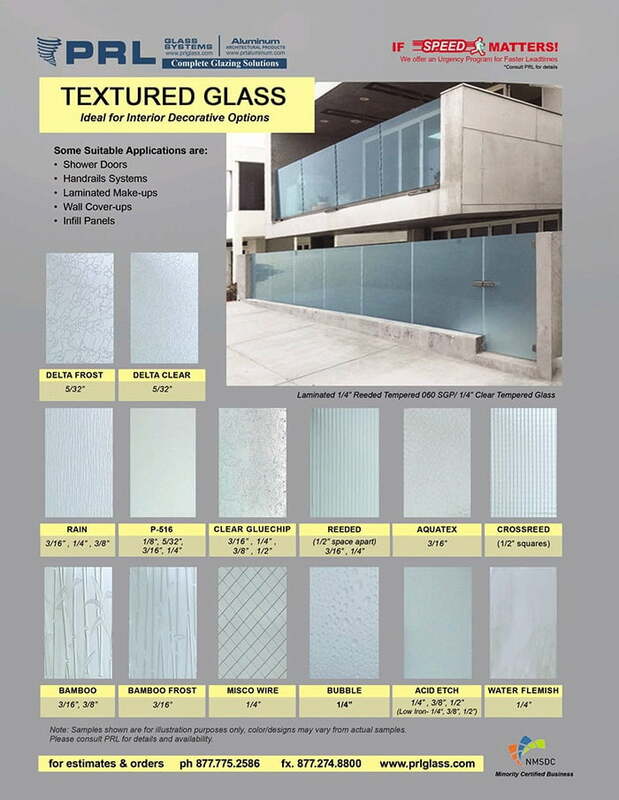 The most common types of insulated glass units are low-e glass, reflective, laminated glass, textured glass and spandrel glass. 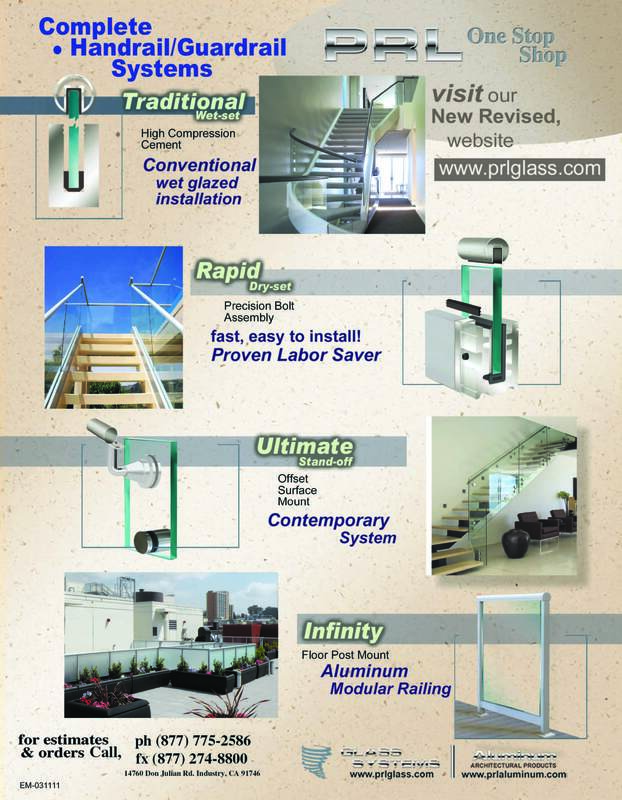 We are capable of fabricating standard dual glazed and triple glazed units and supply them with standard or sculptured grids. We use two types of spacers; aluminum and super spacer. 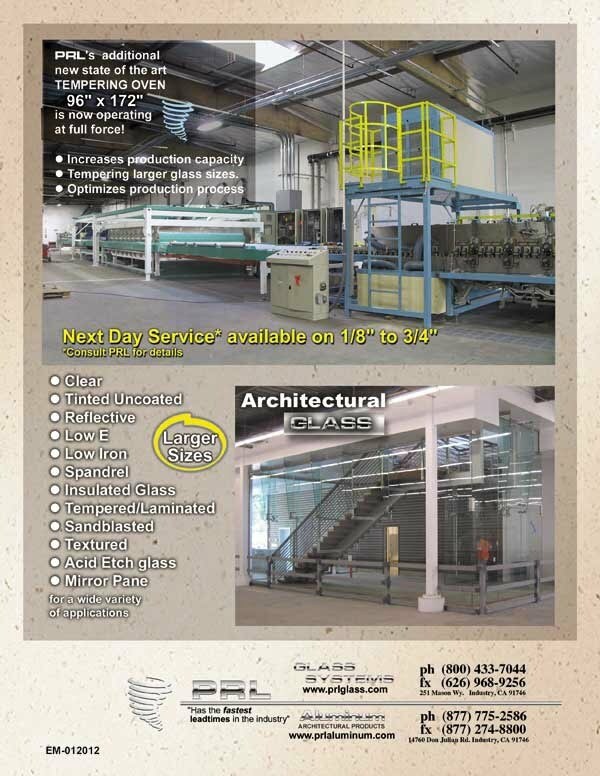 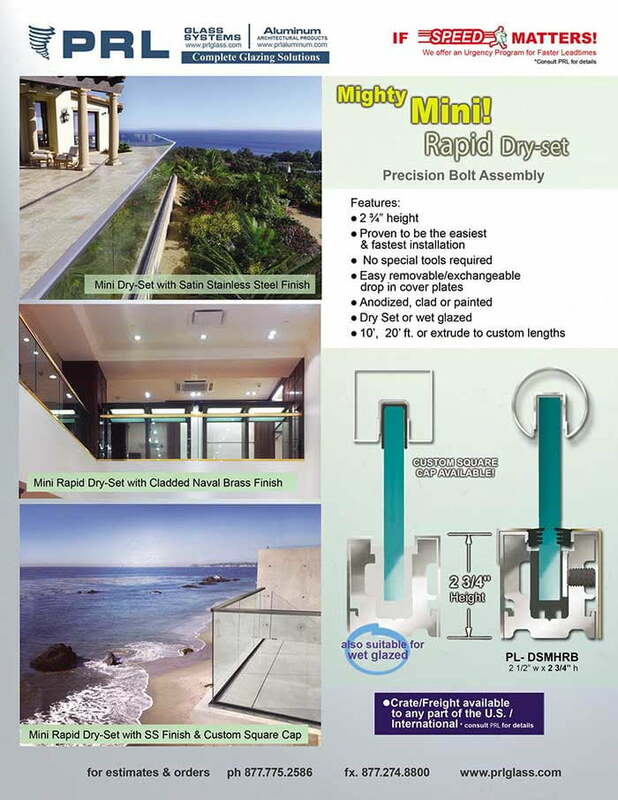 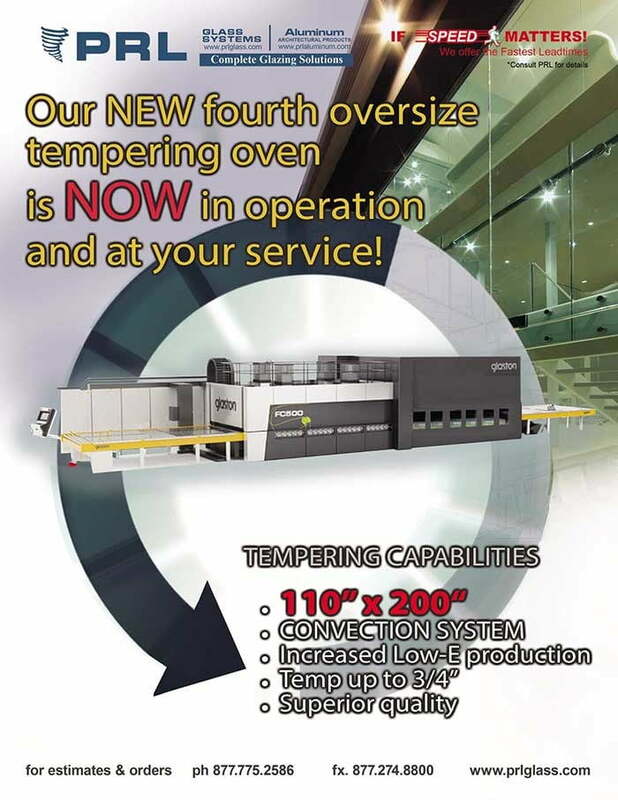 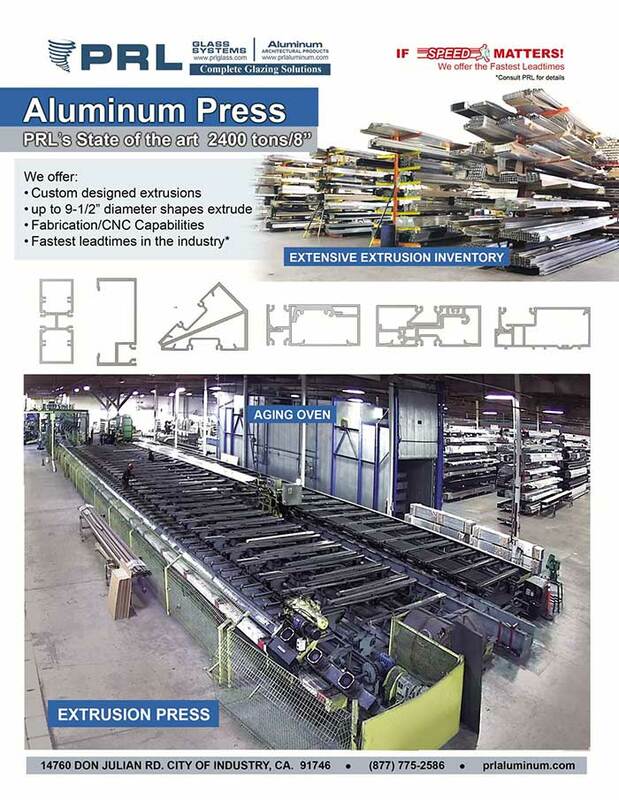 Our IG unit manufacturing capabilities are maximum sizes are 137″ x 98″ and minimum size of 6″ x 6″. 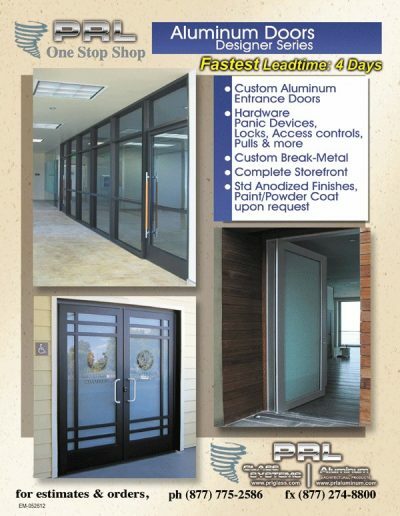 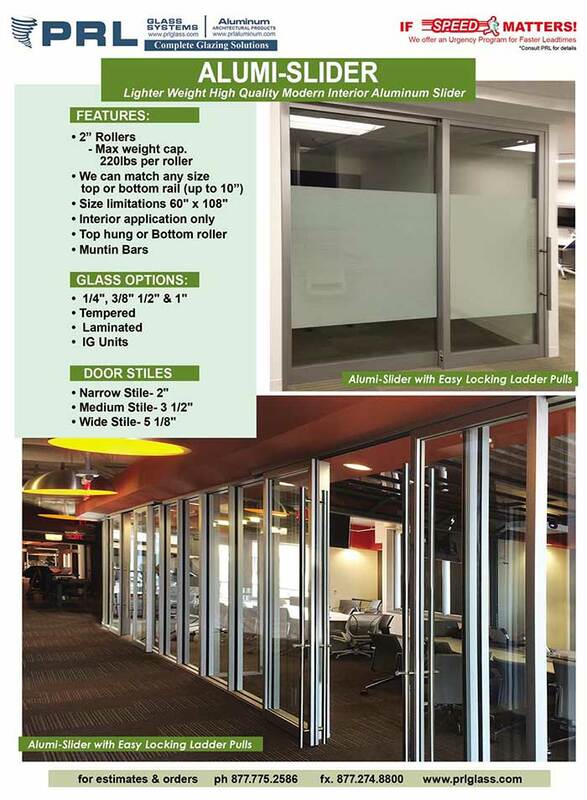 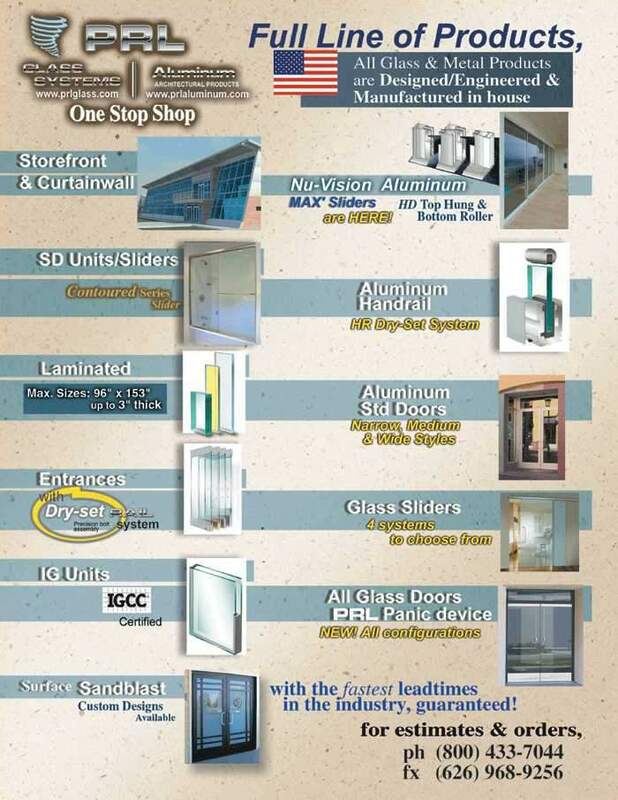 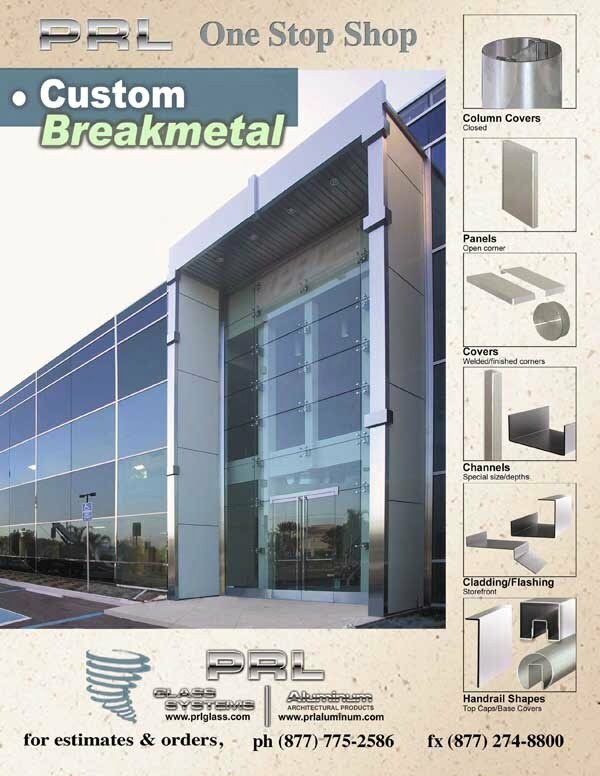 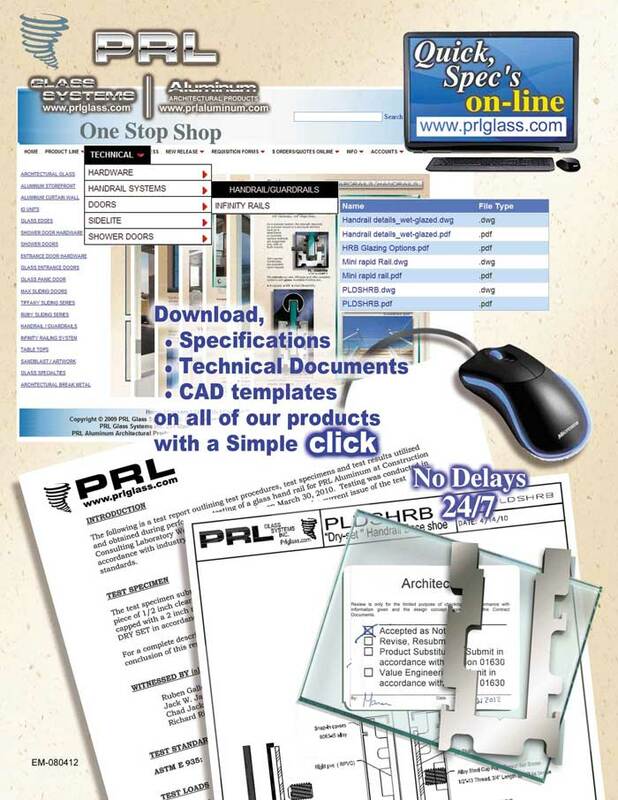 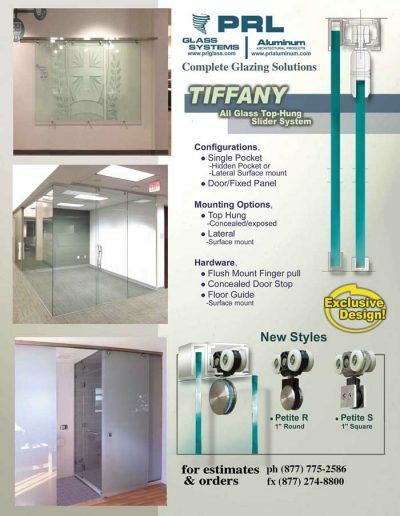 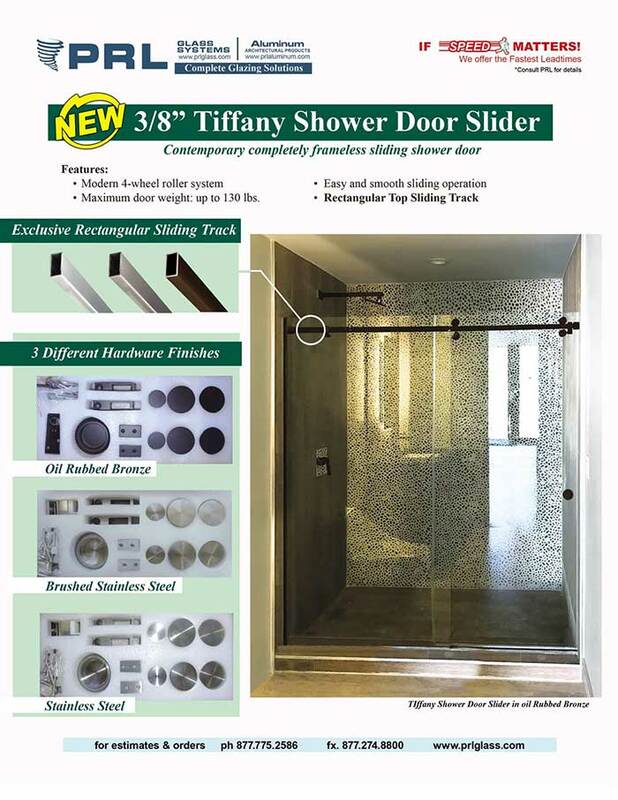 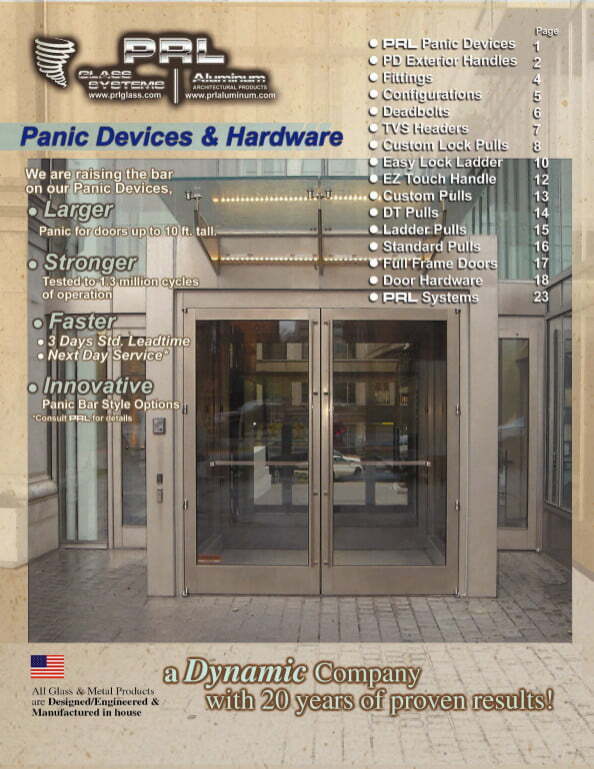 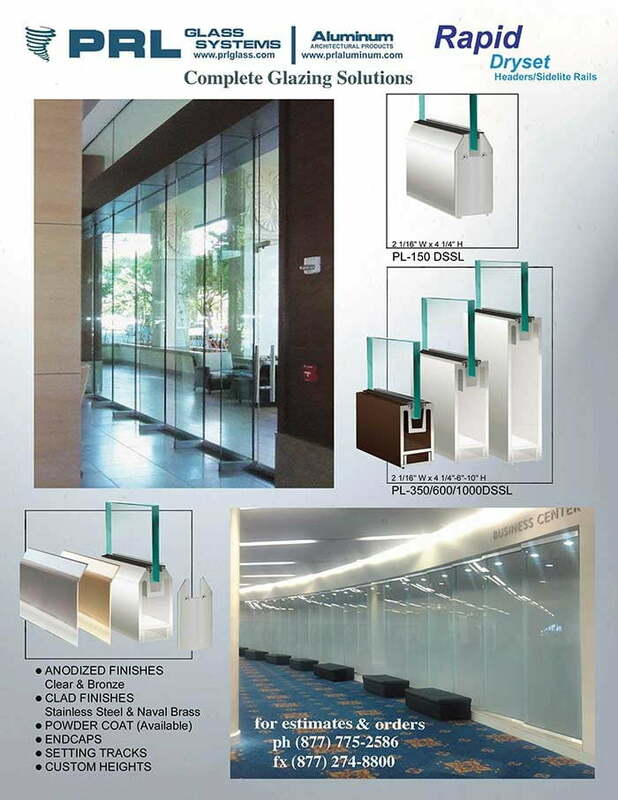 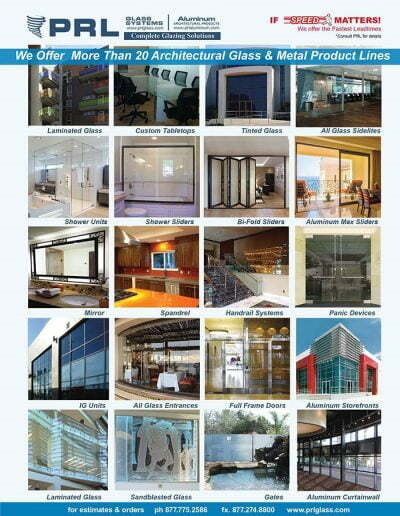 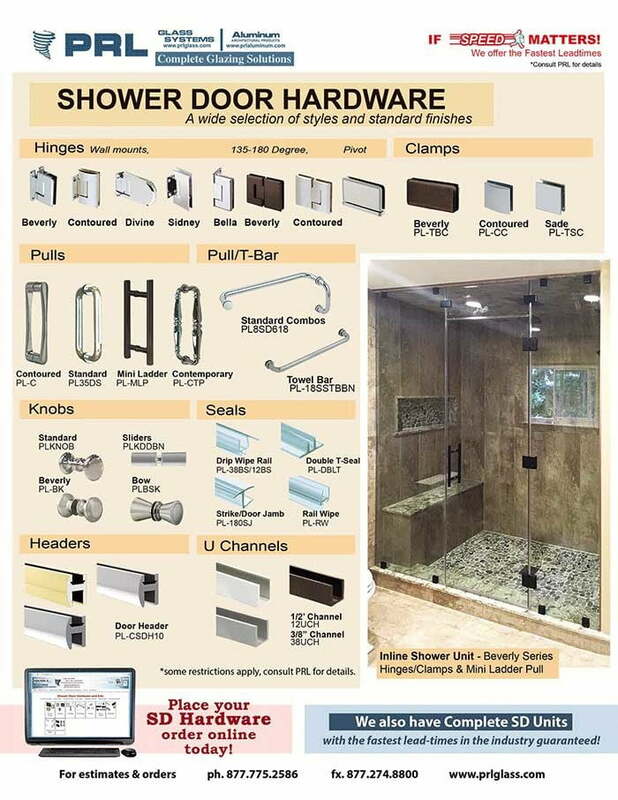 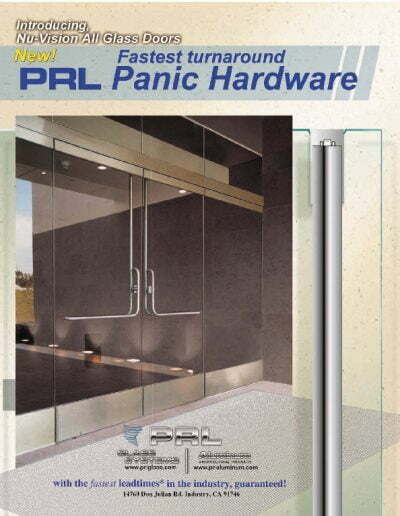 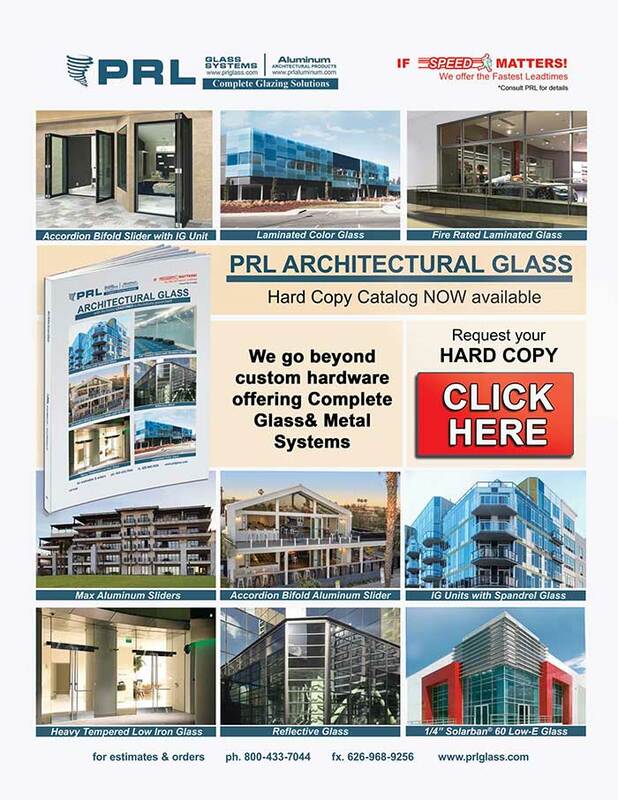 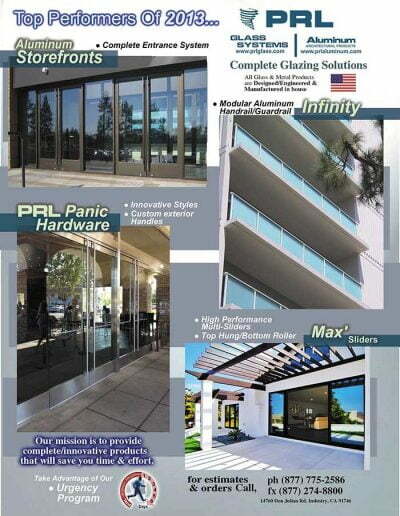 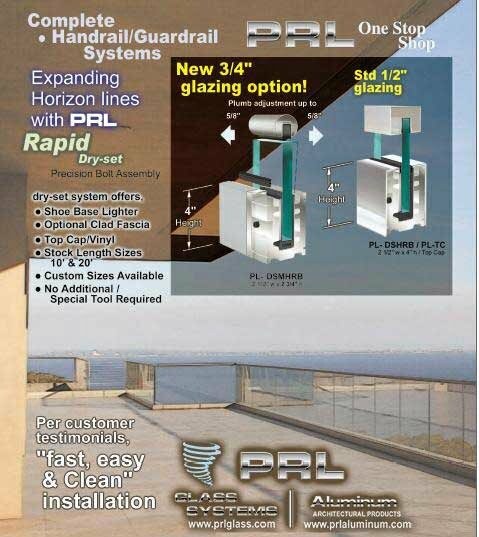 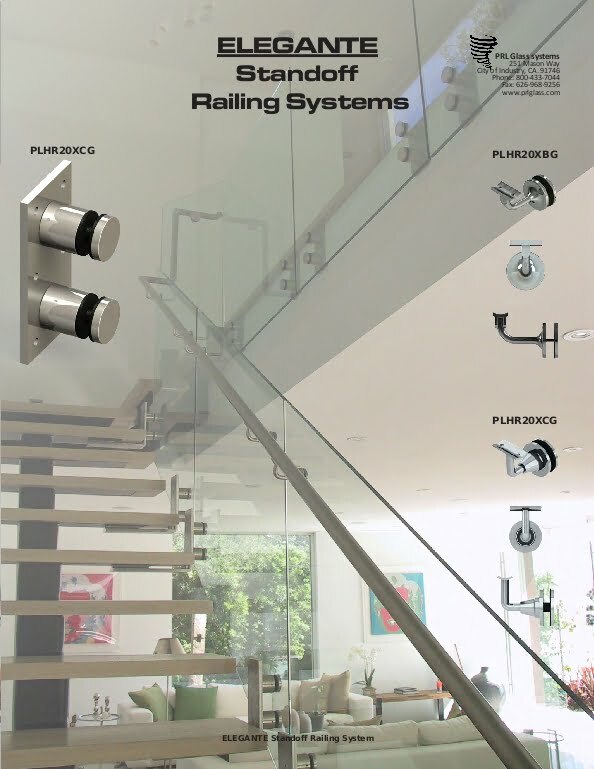 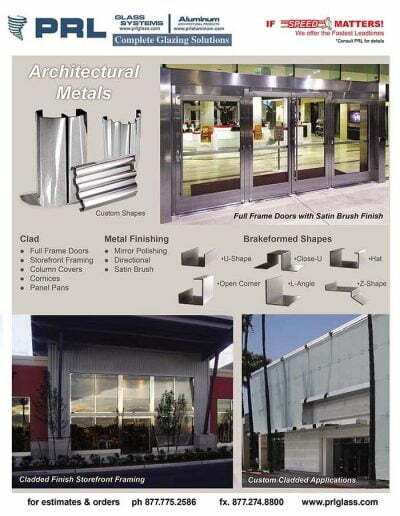 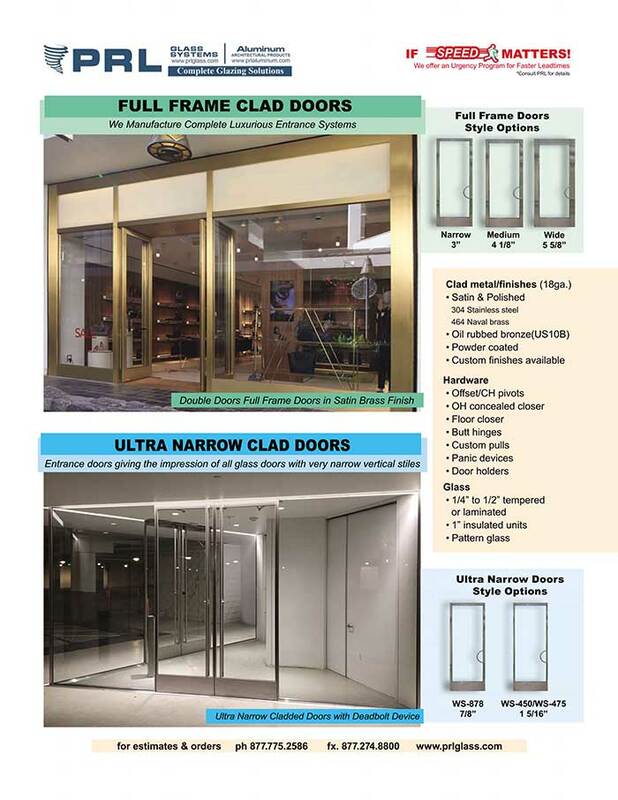 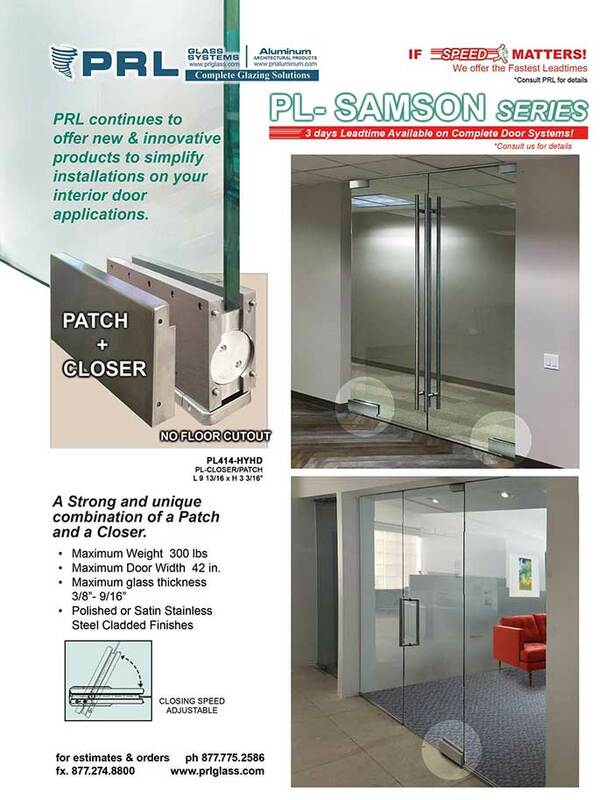 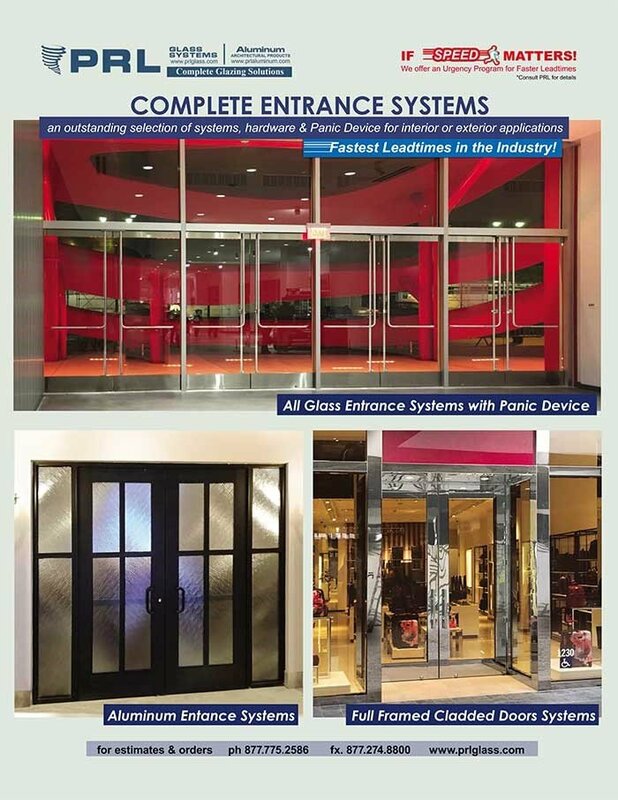 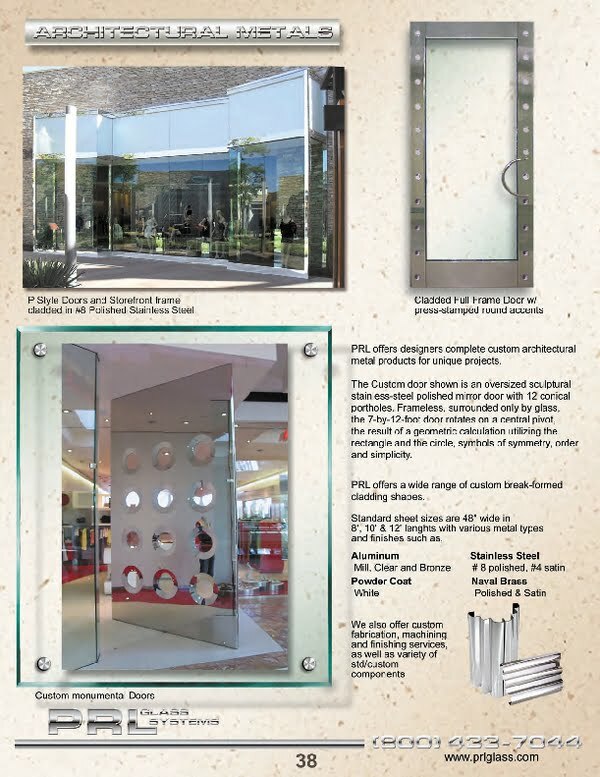 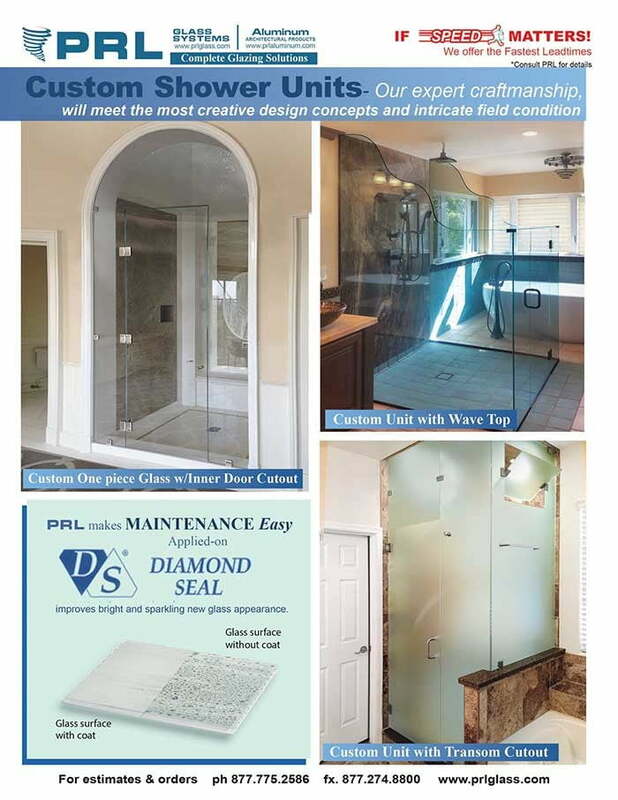 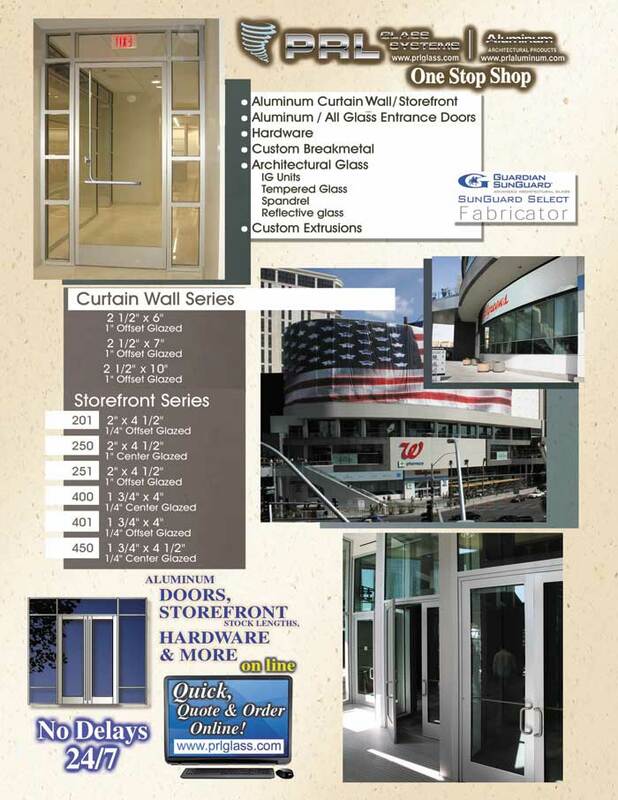 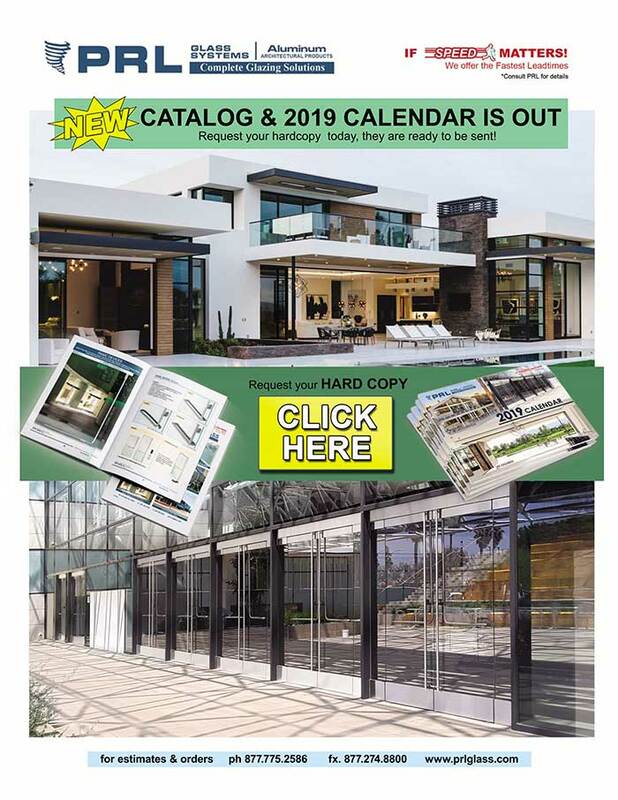 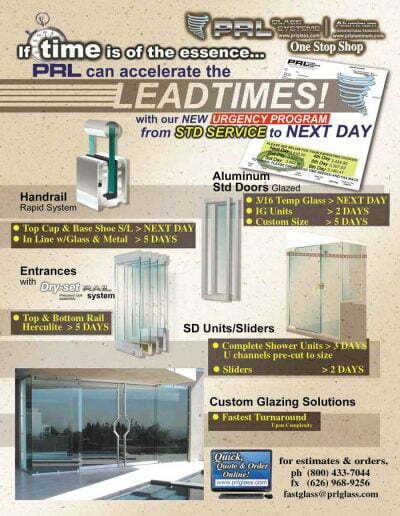 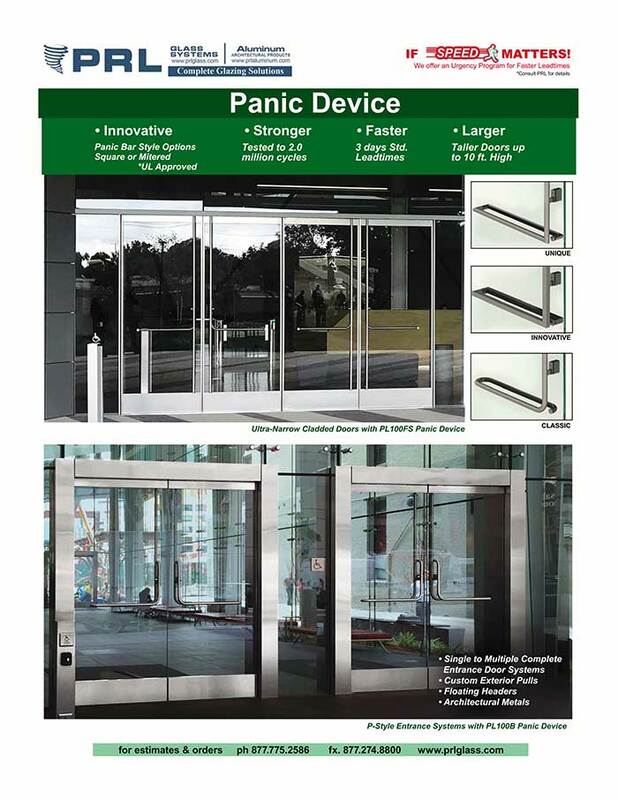 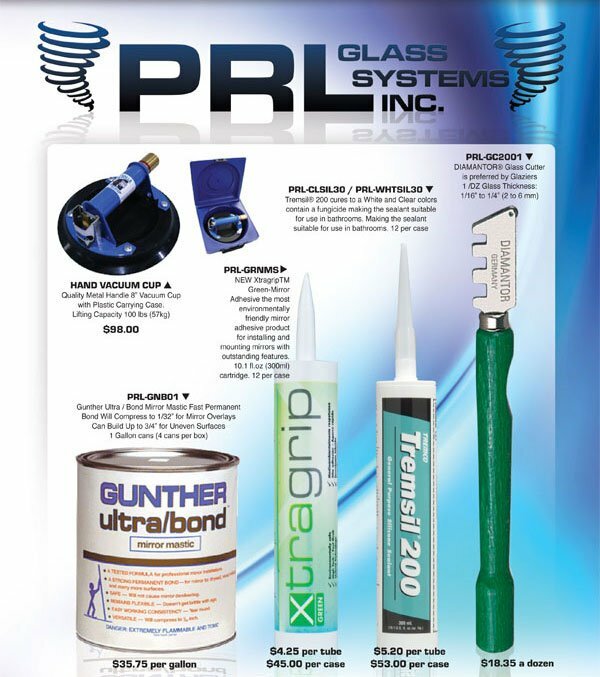 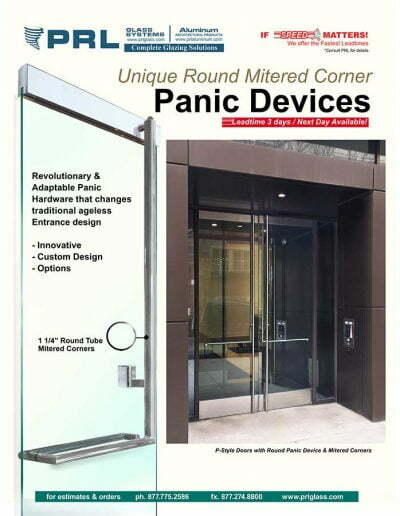 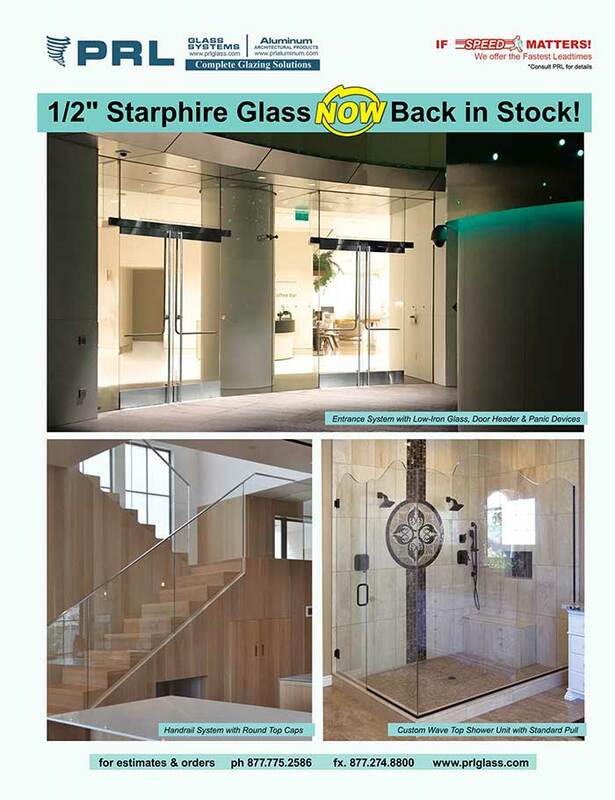 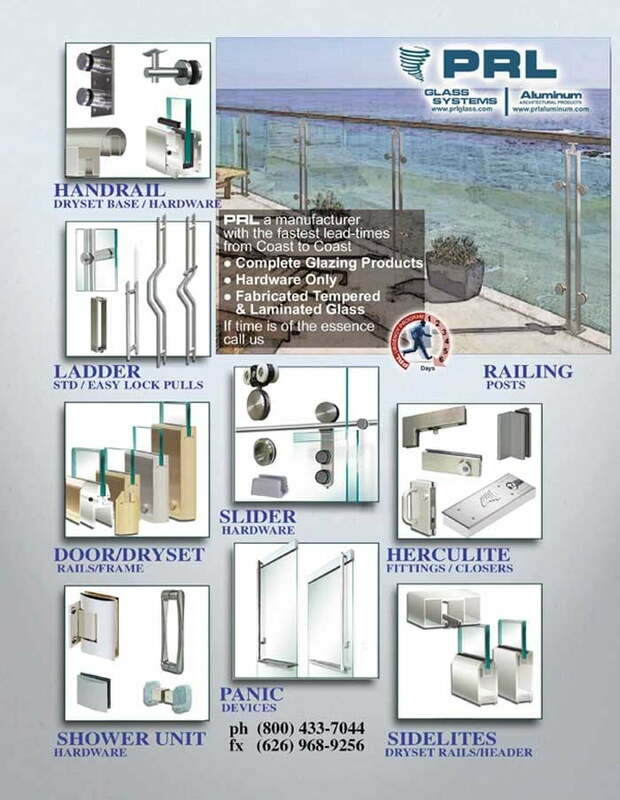 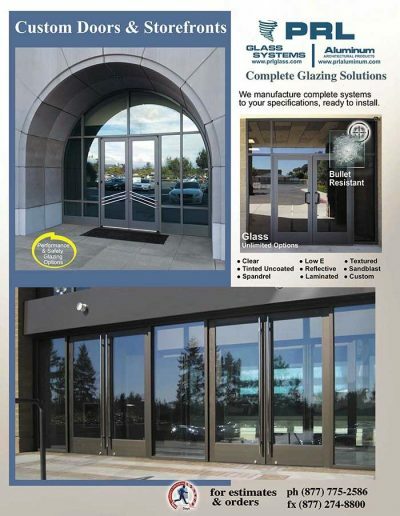 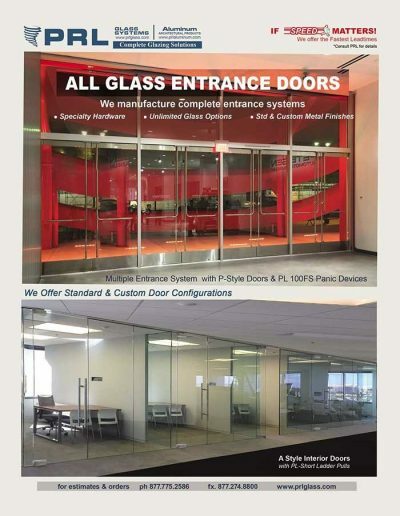 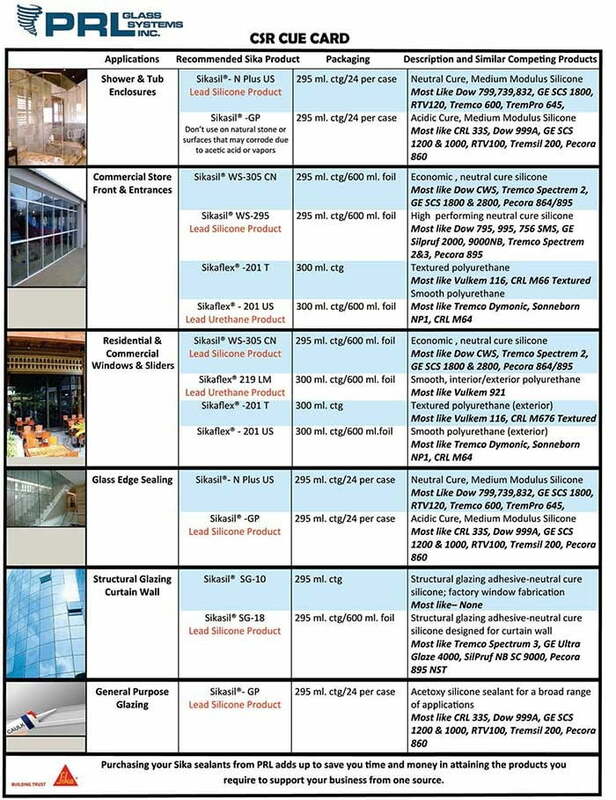 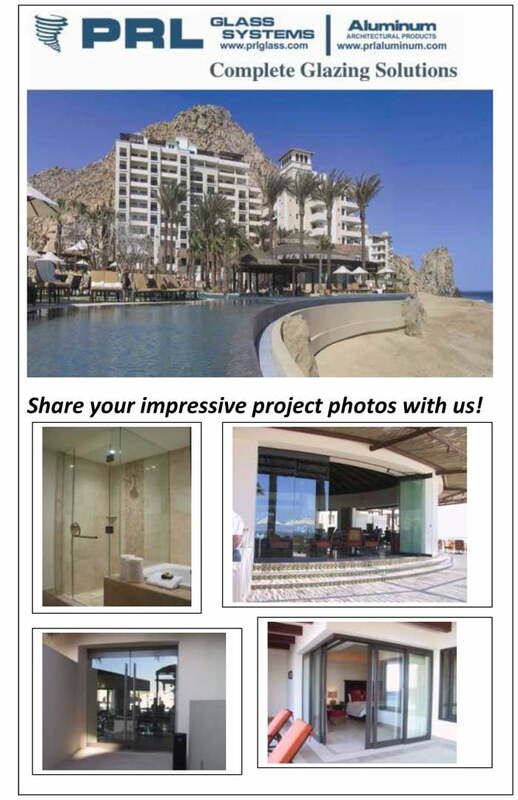 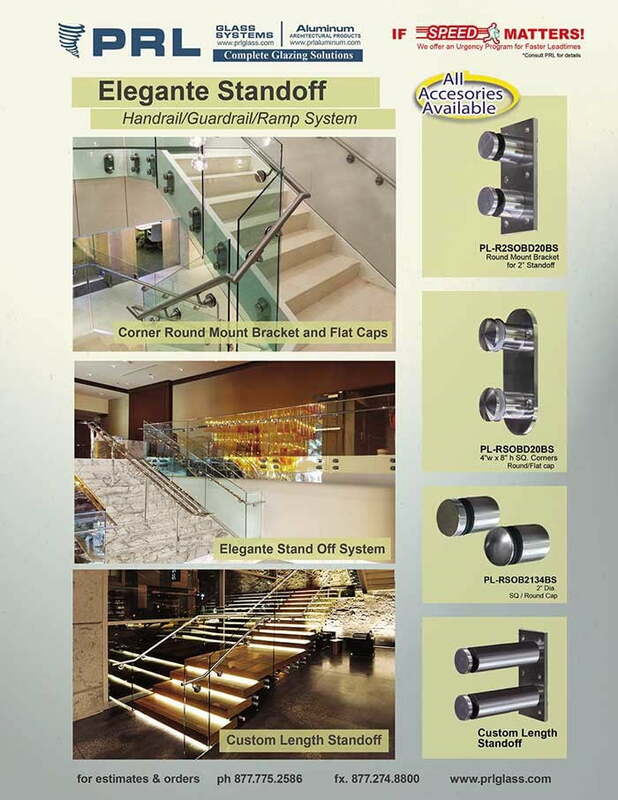 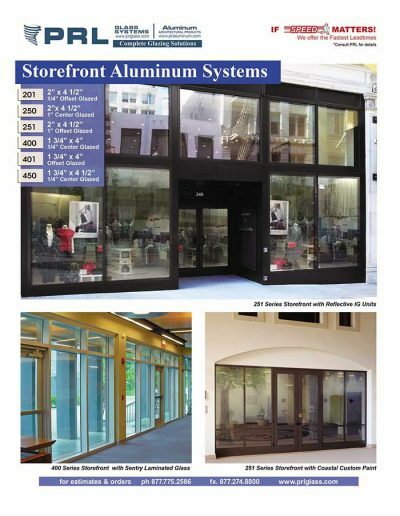 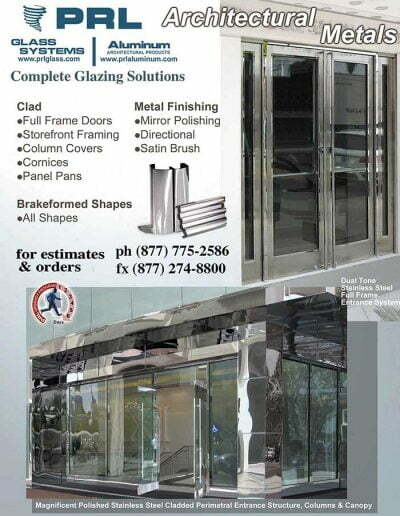 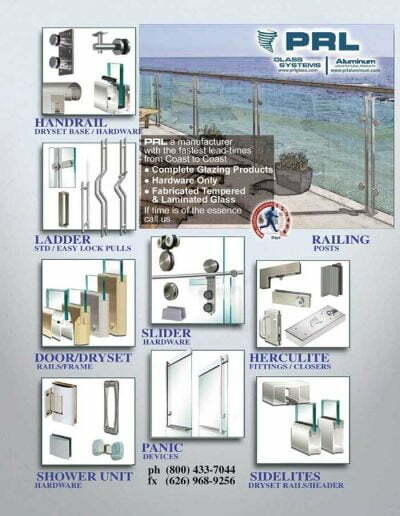 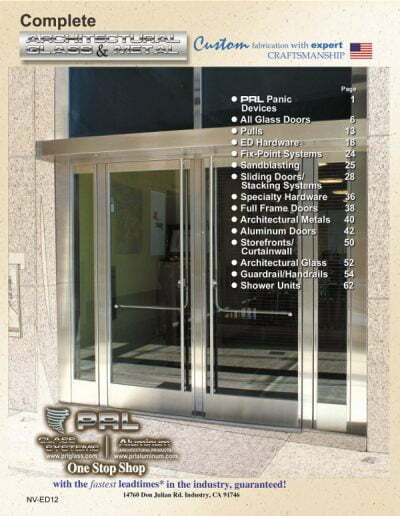 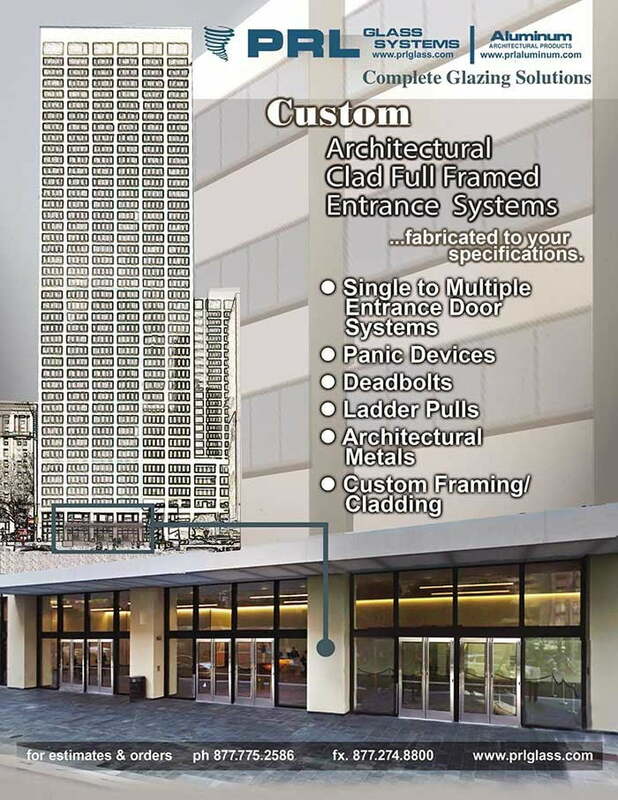 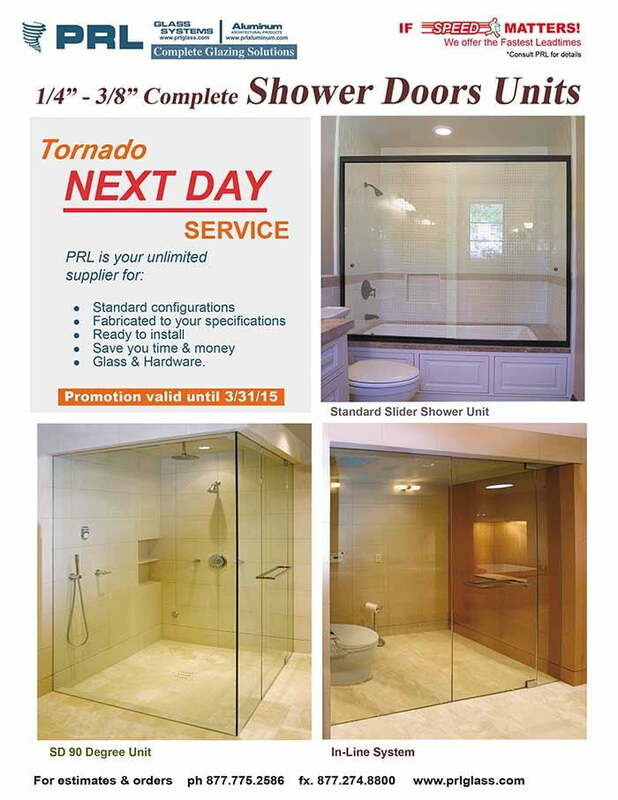 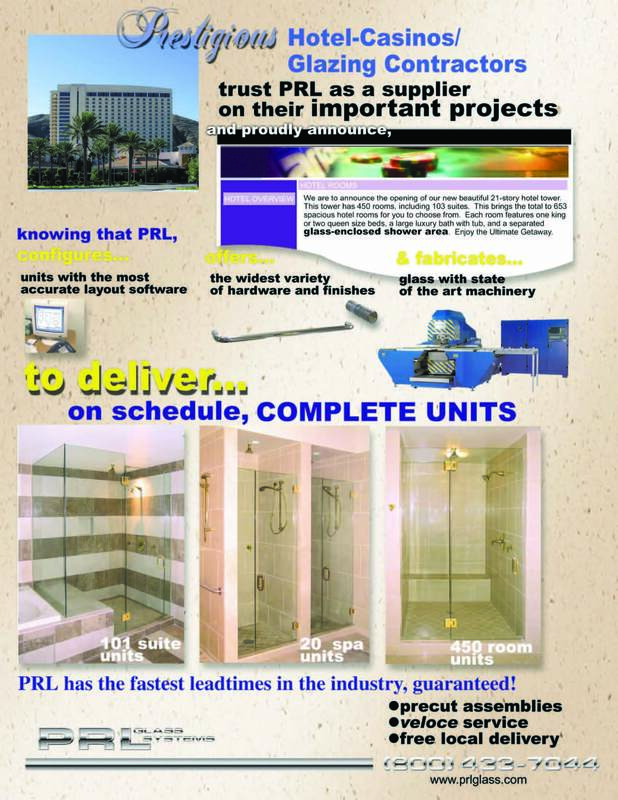 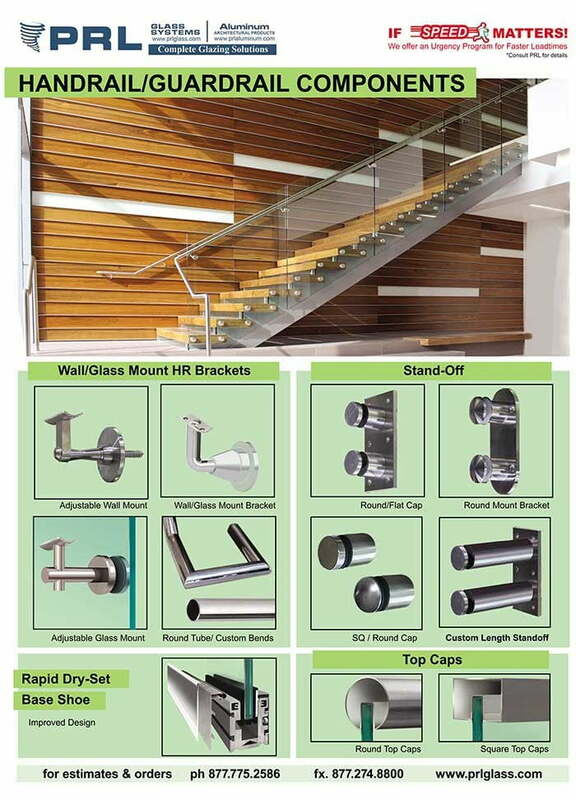 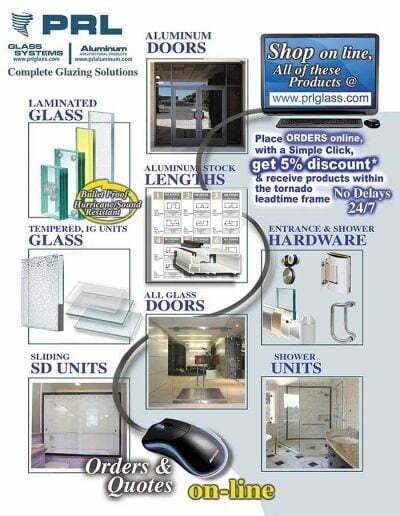 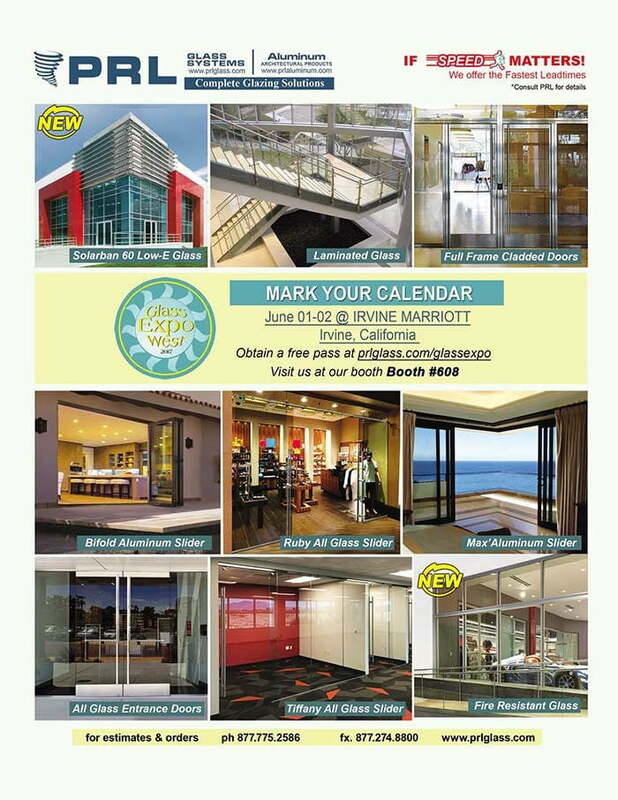 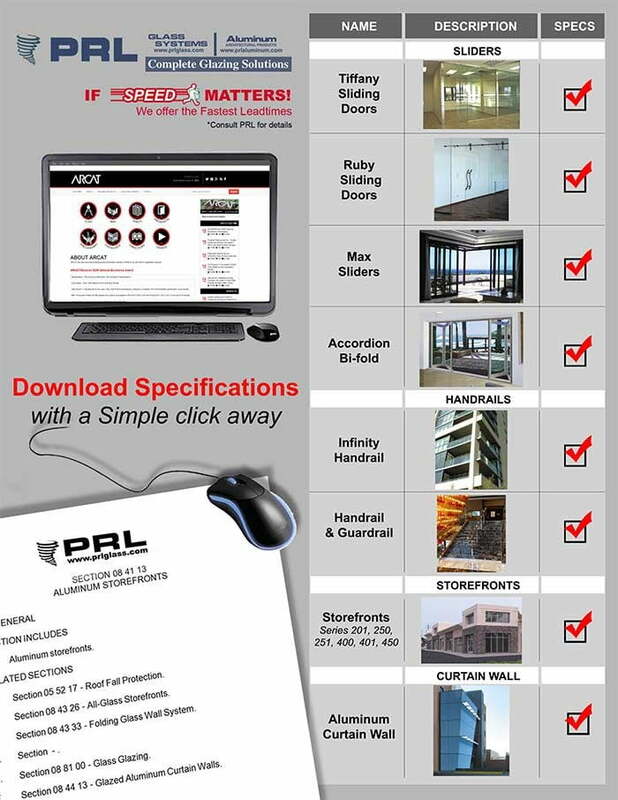 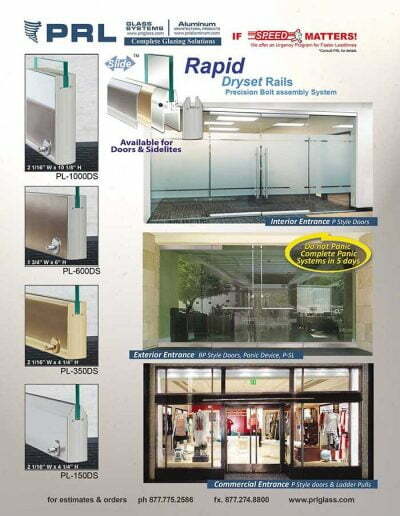 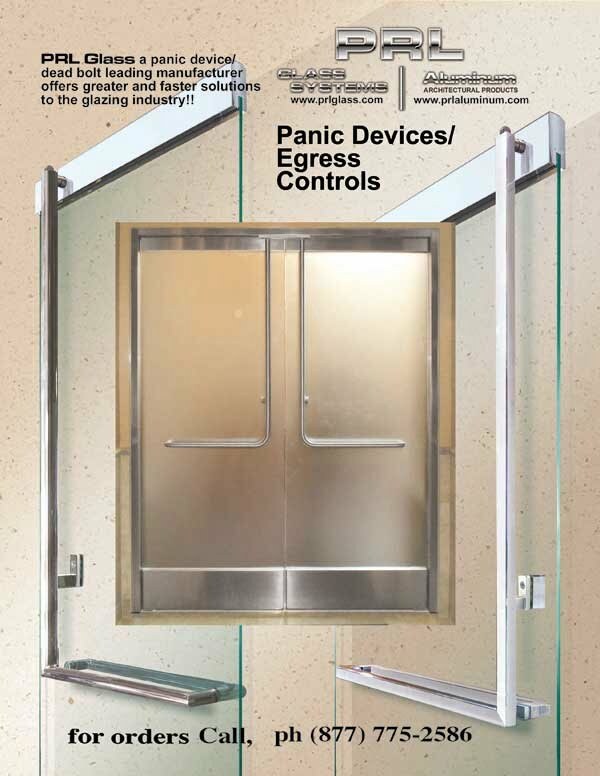 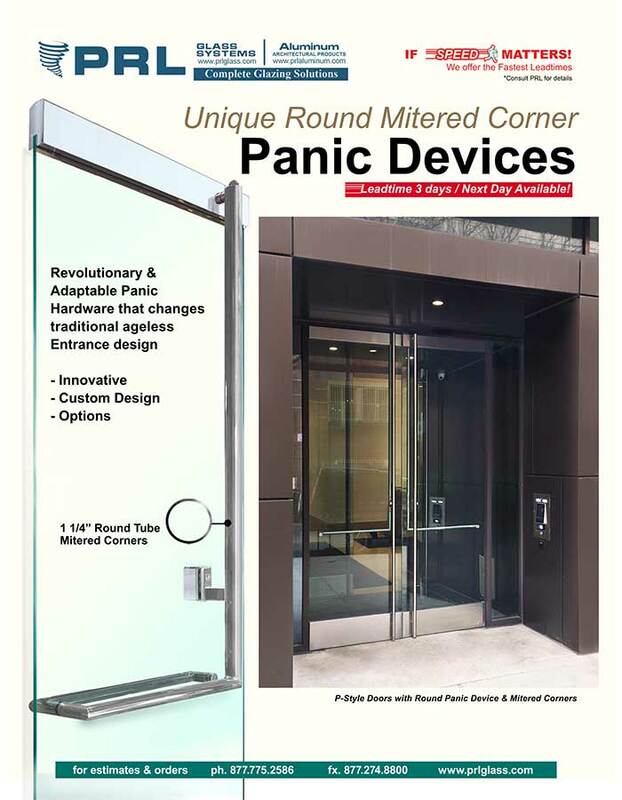 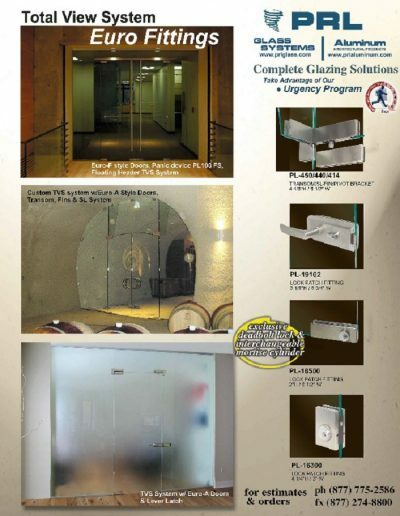 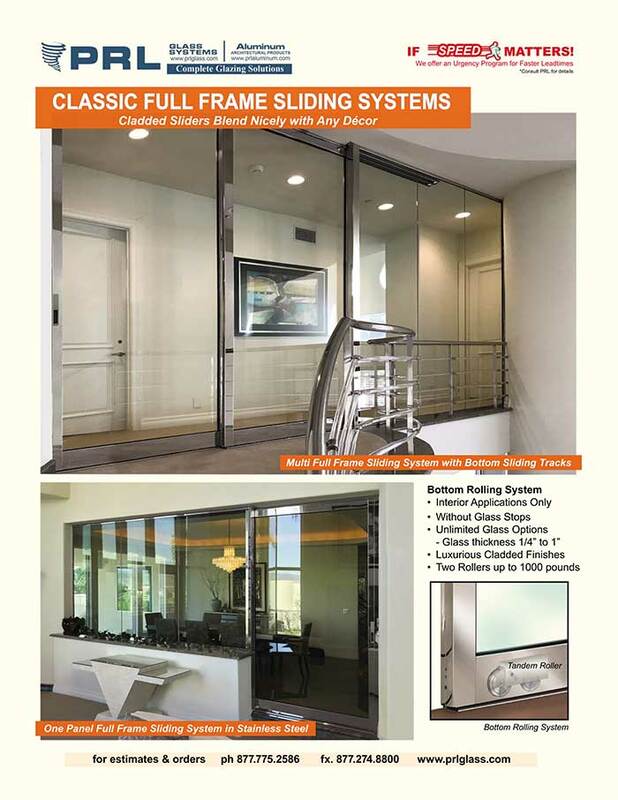 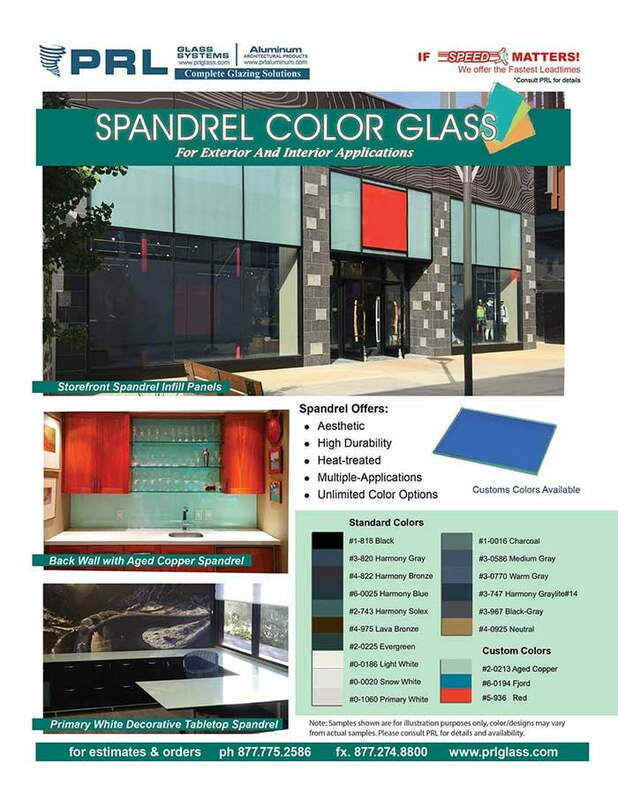 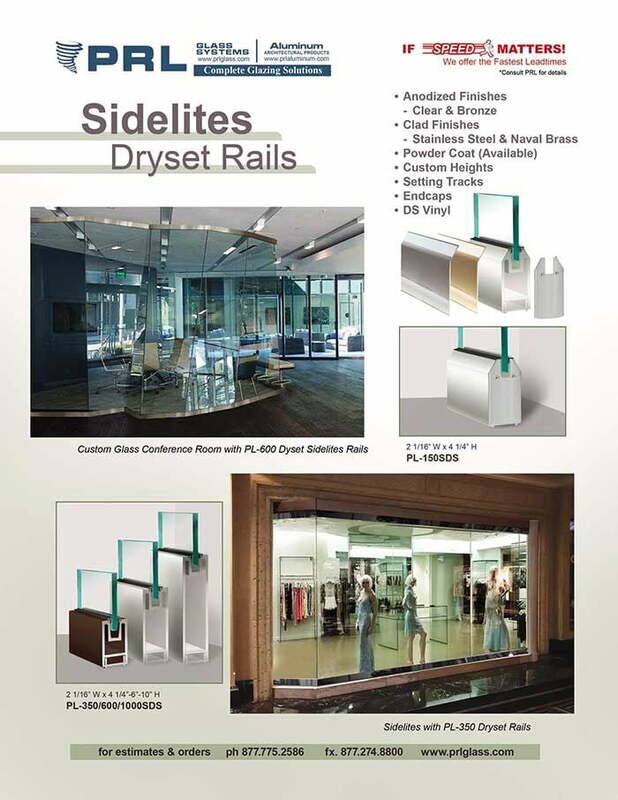 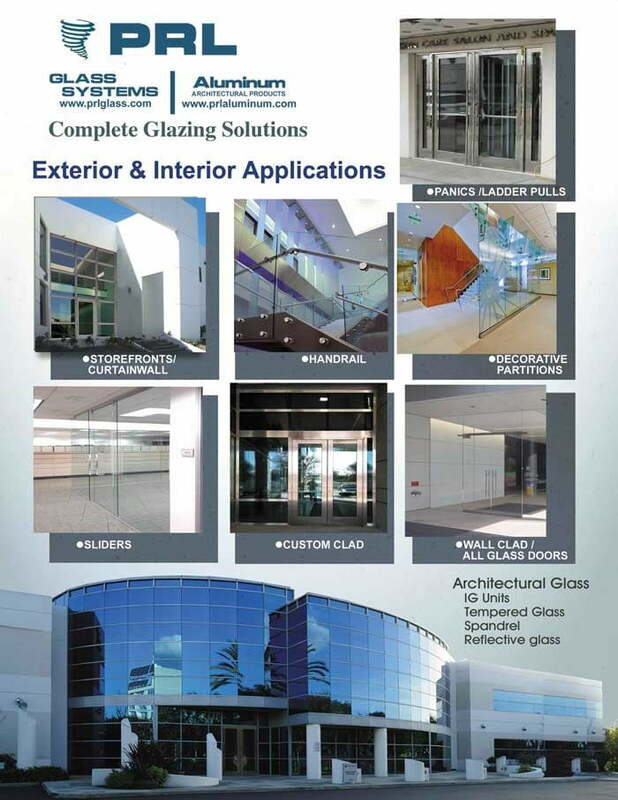 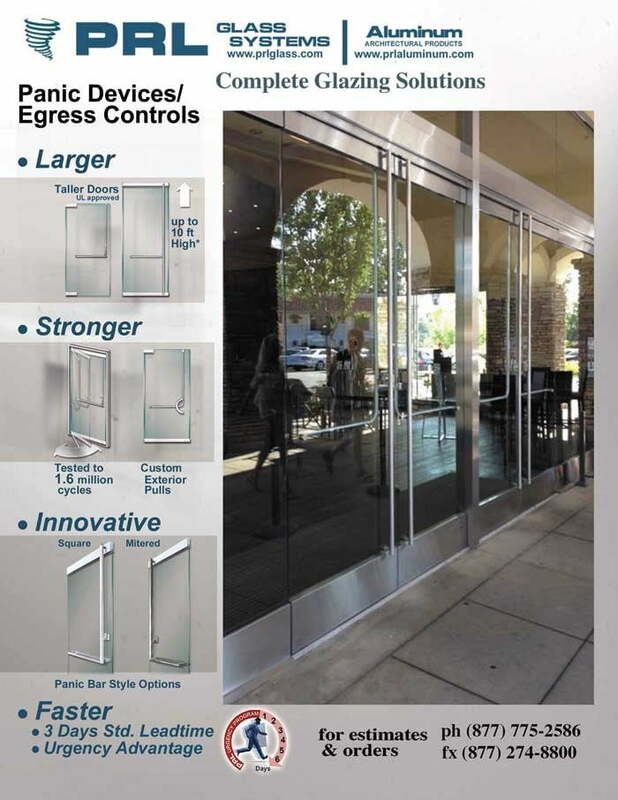 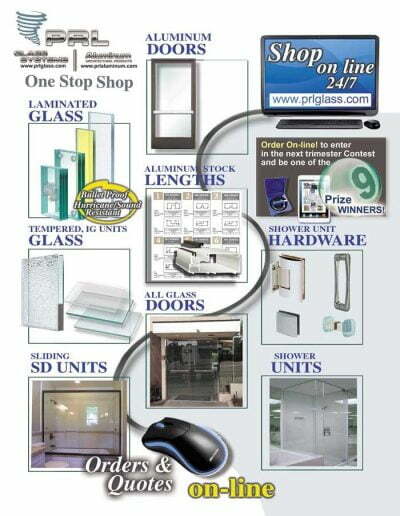 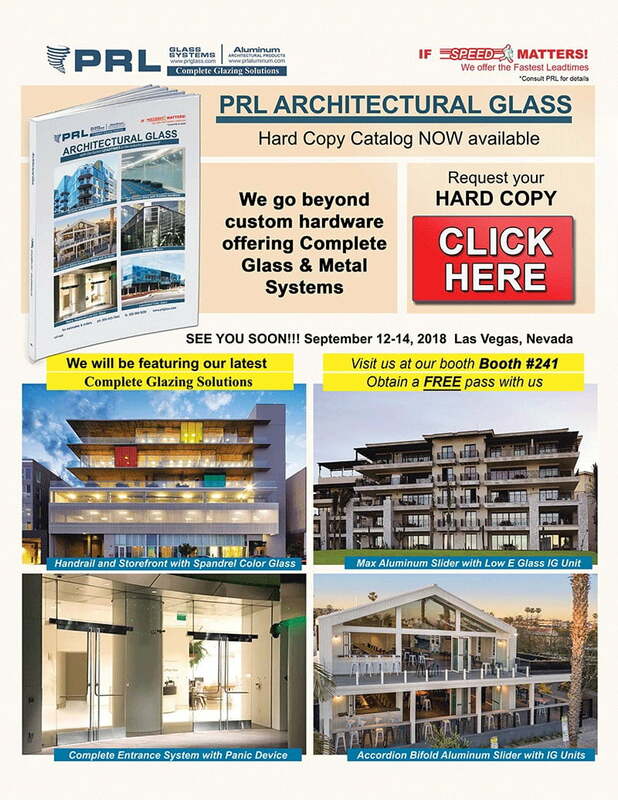 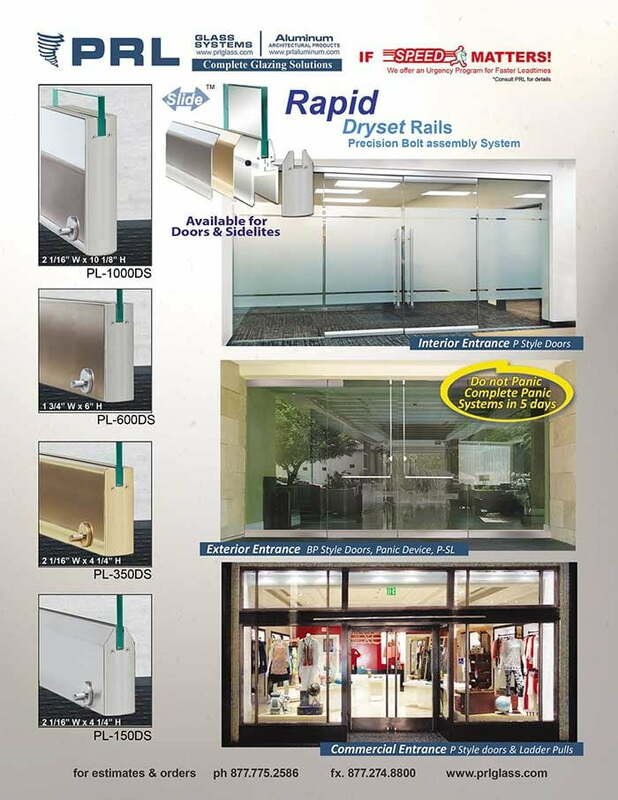 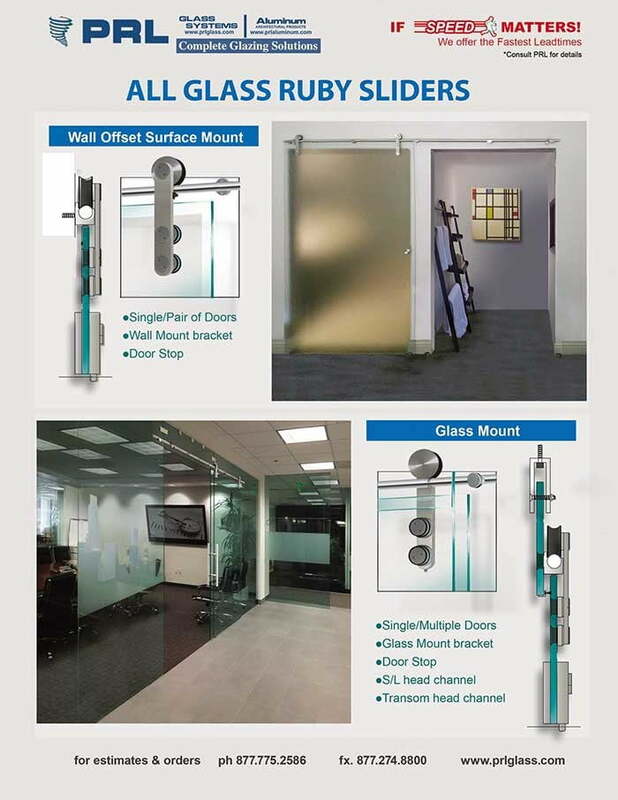 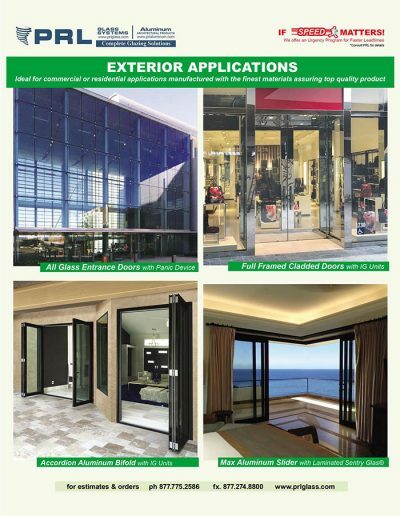 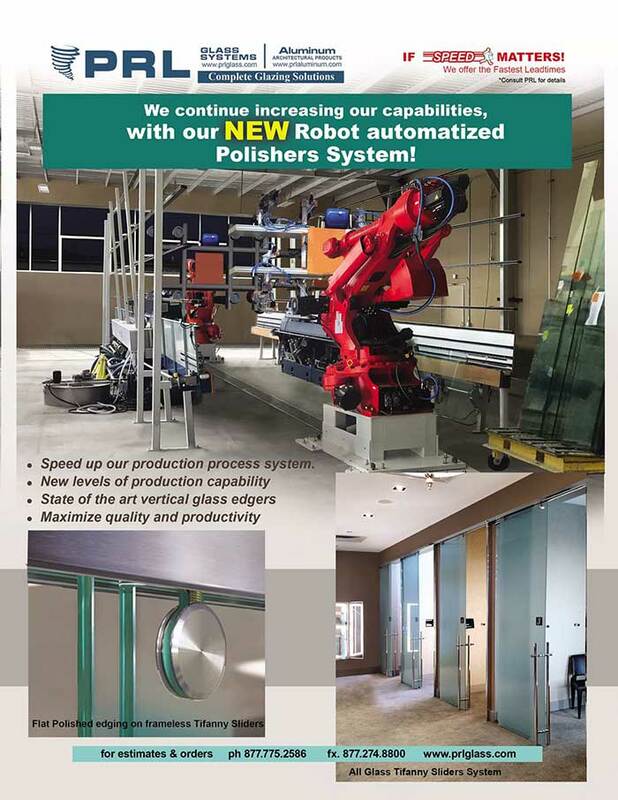 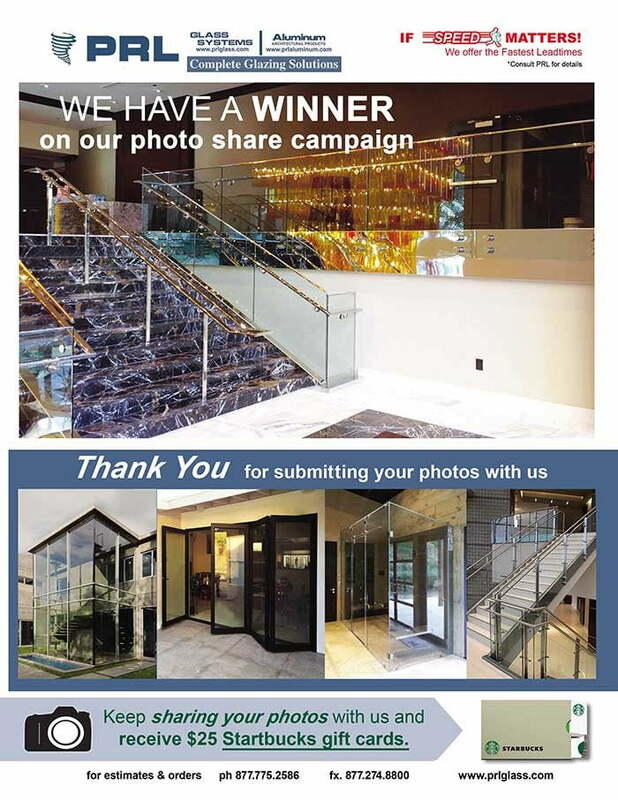 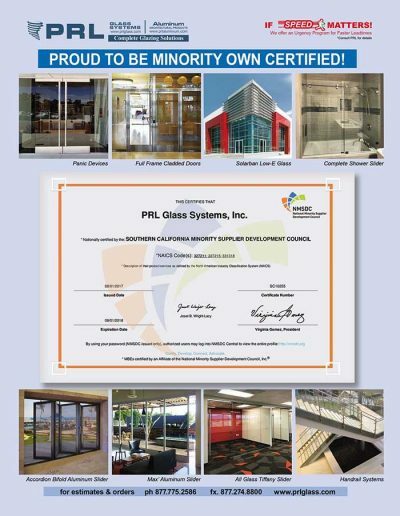 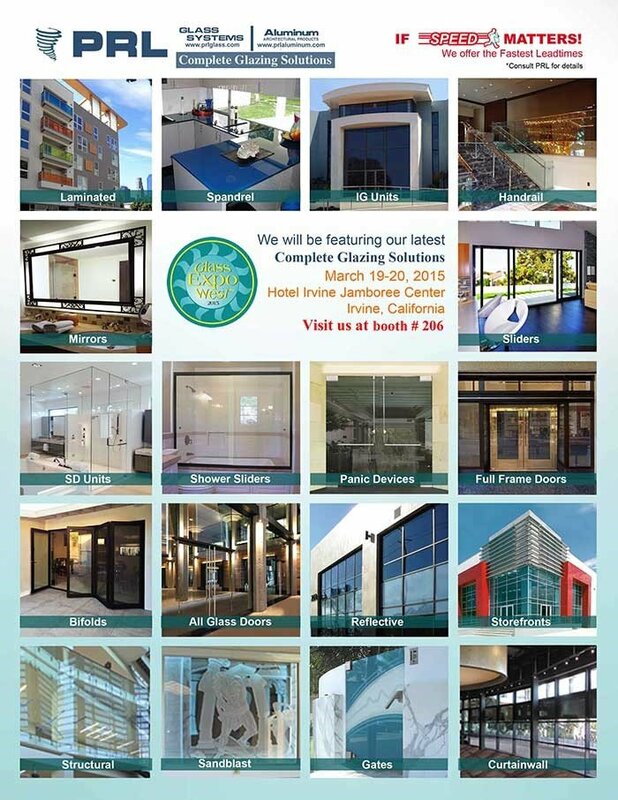 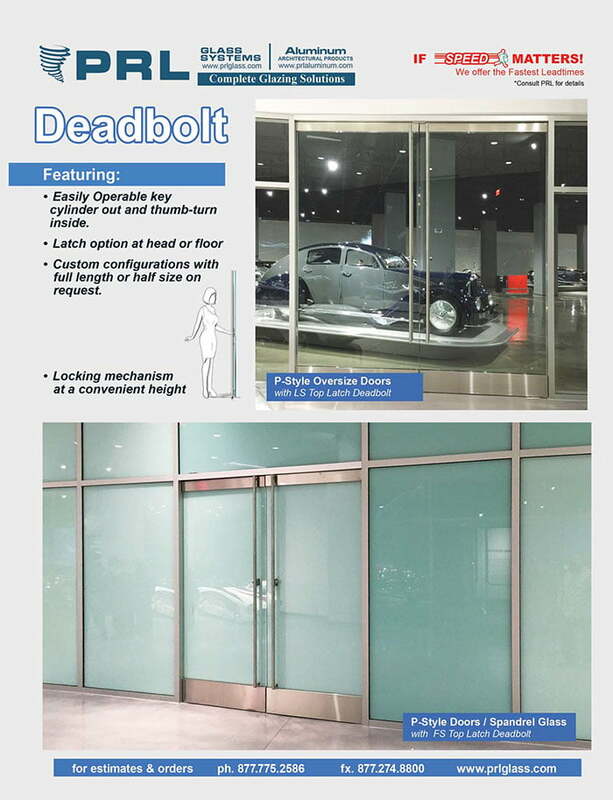 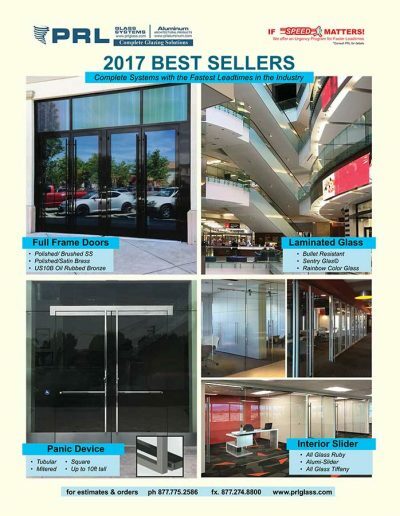 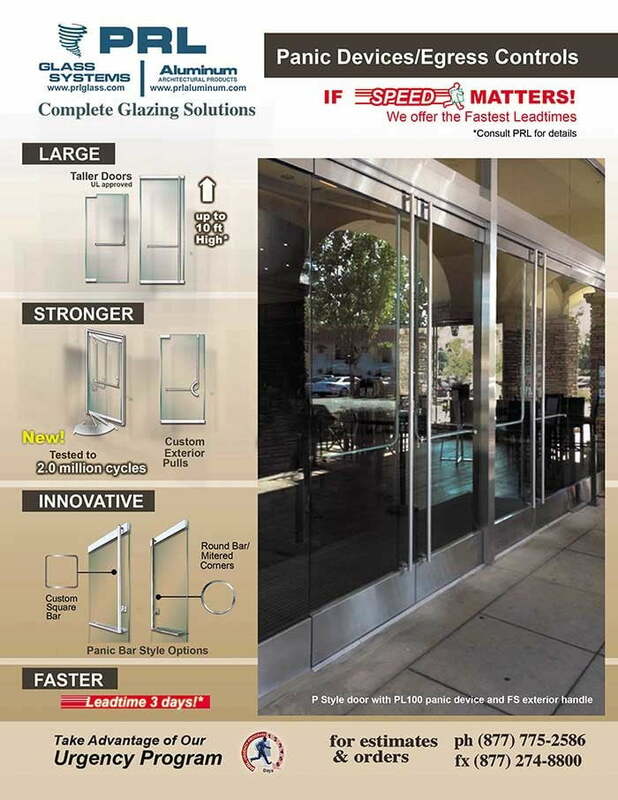 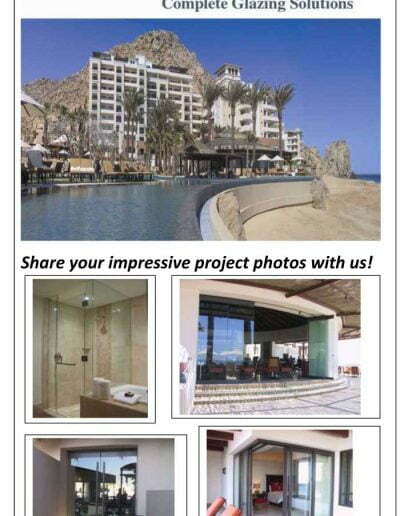 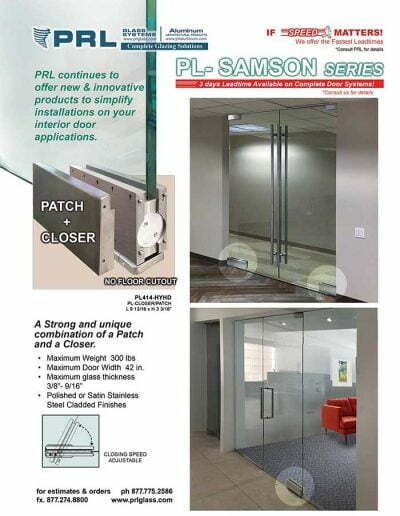 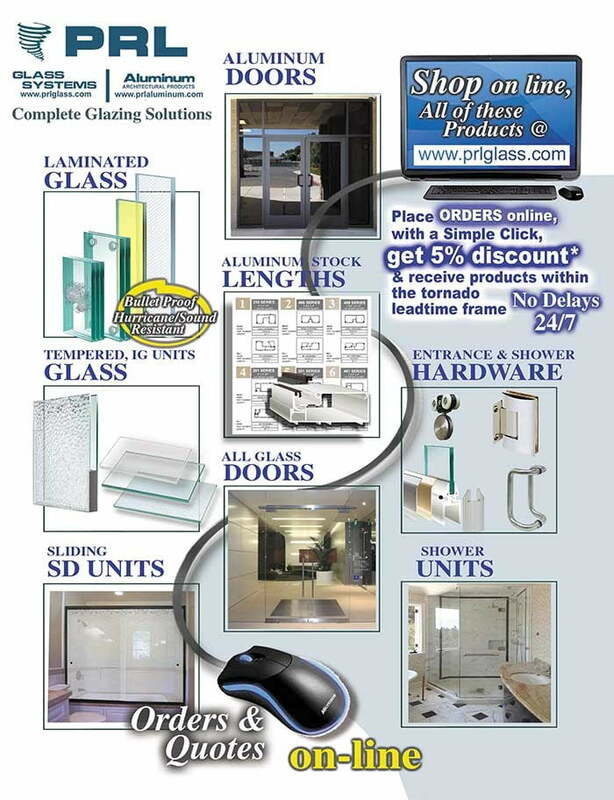 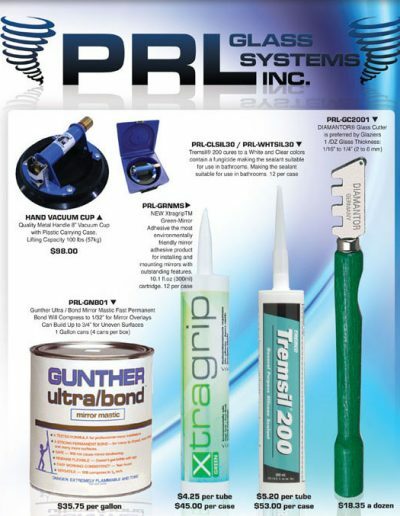 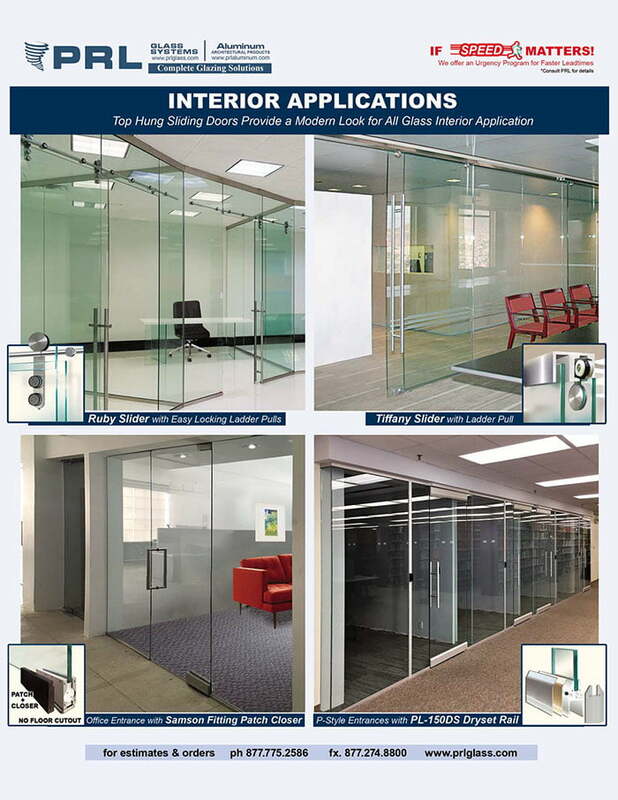 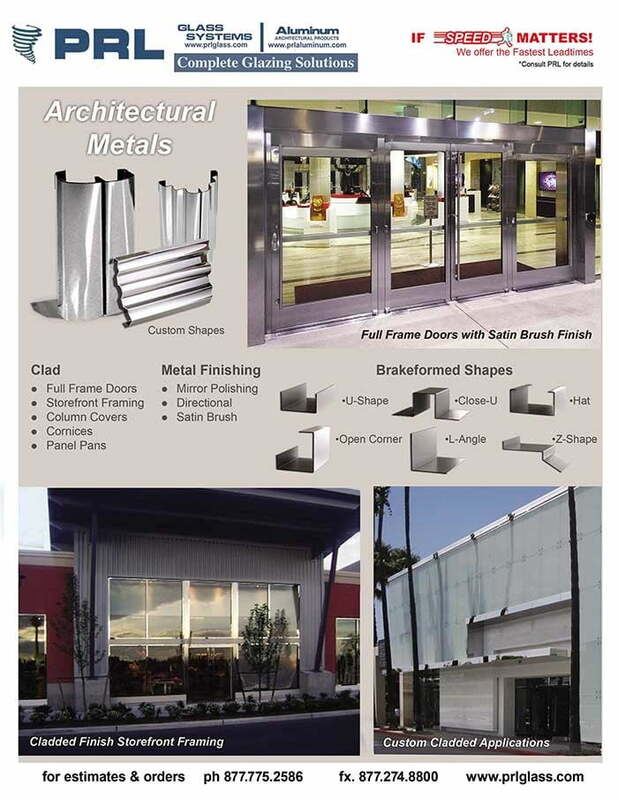 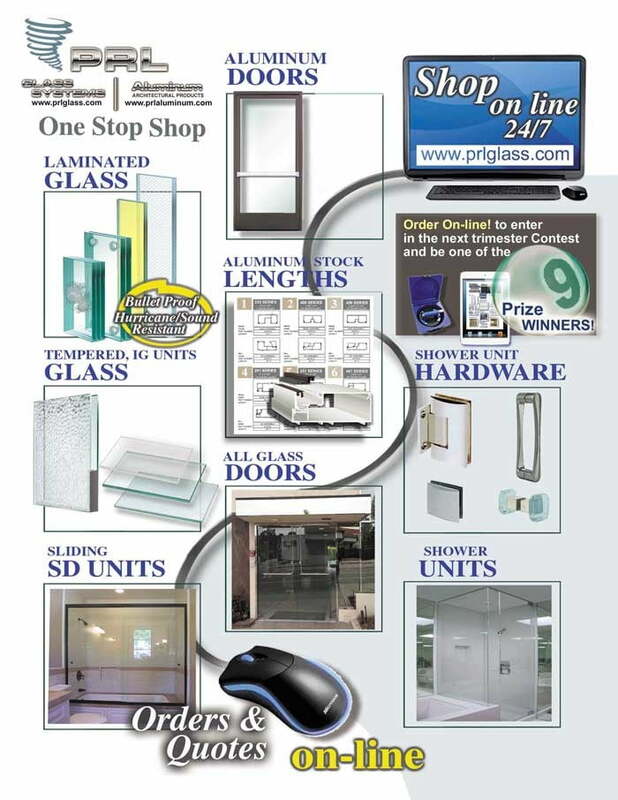 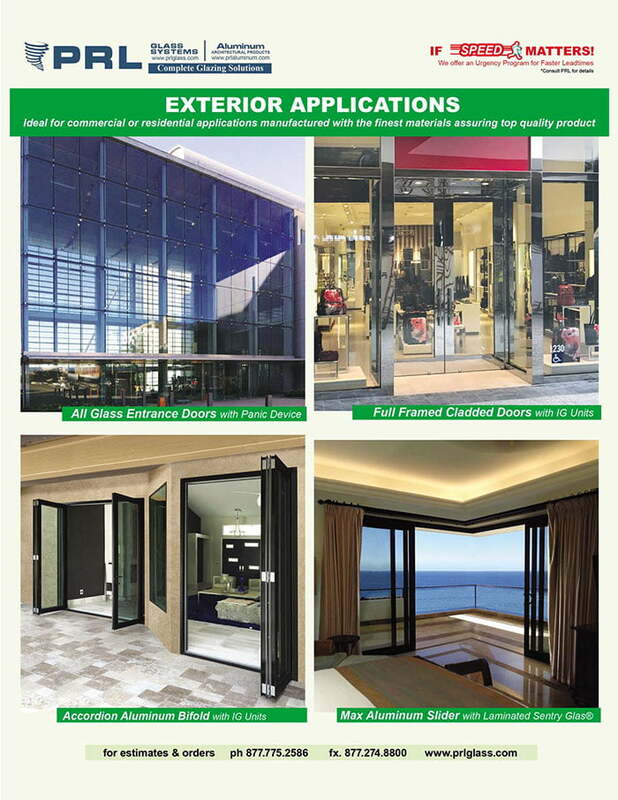 PRL offers many glazing products and systems including storefronts, curtain walls, sliding aluminum doors & glass doors, all glass entrance doors systems, handrail systems, and shower enclosures. 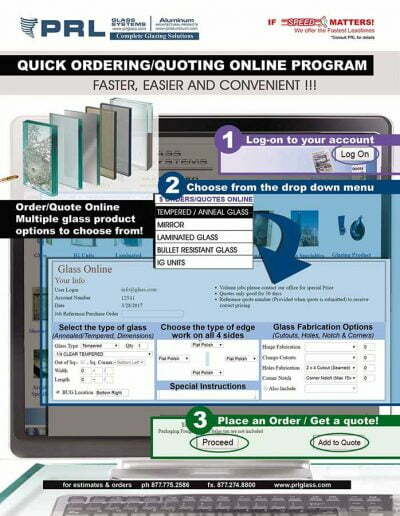 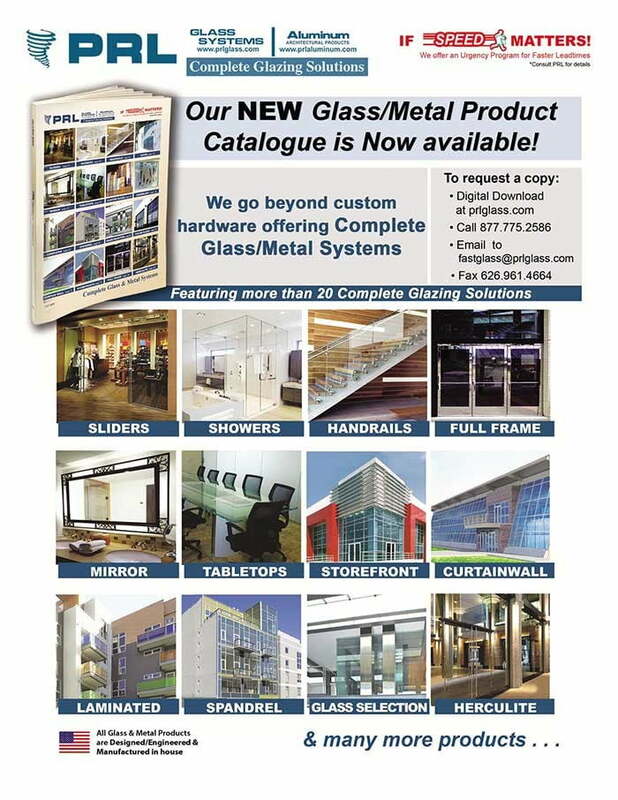 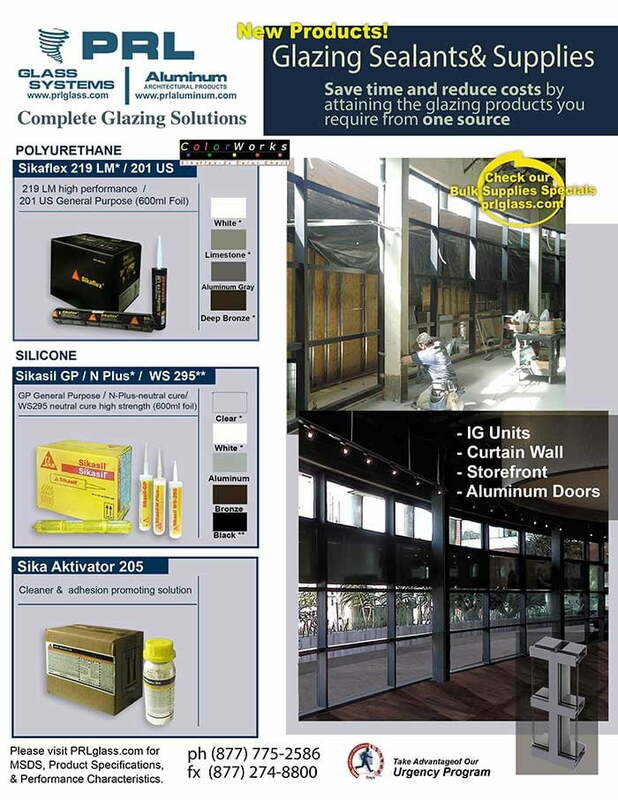 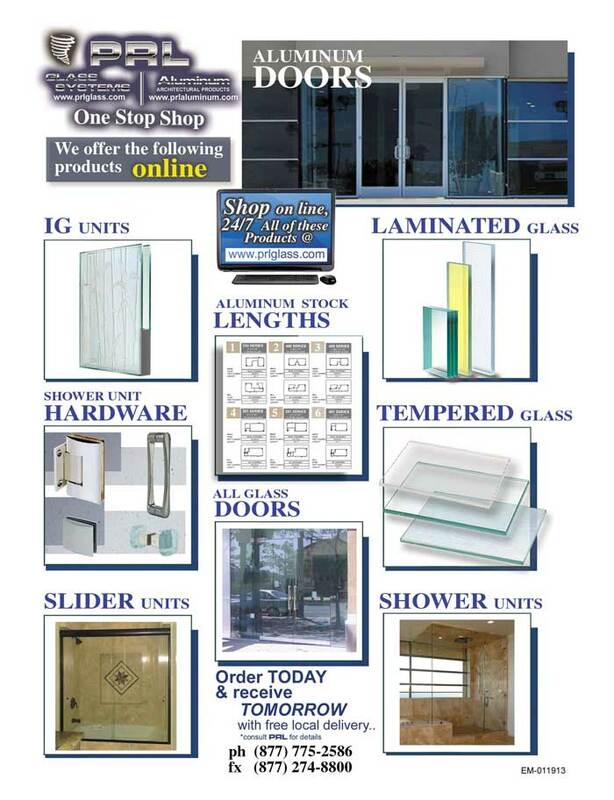 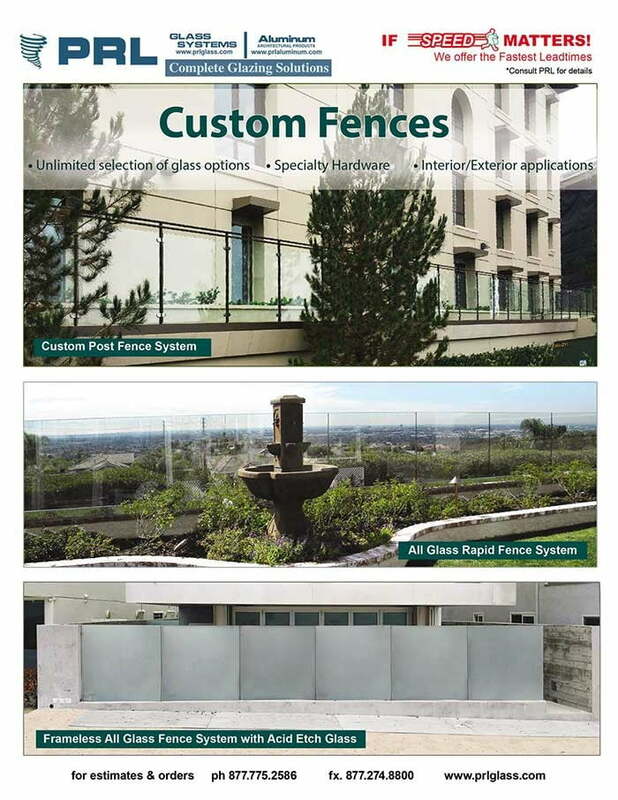 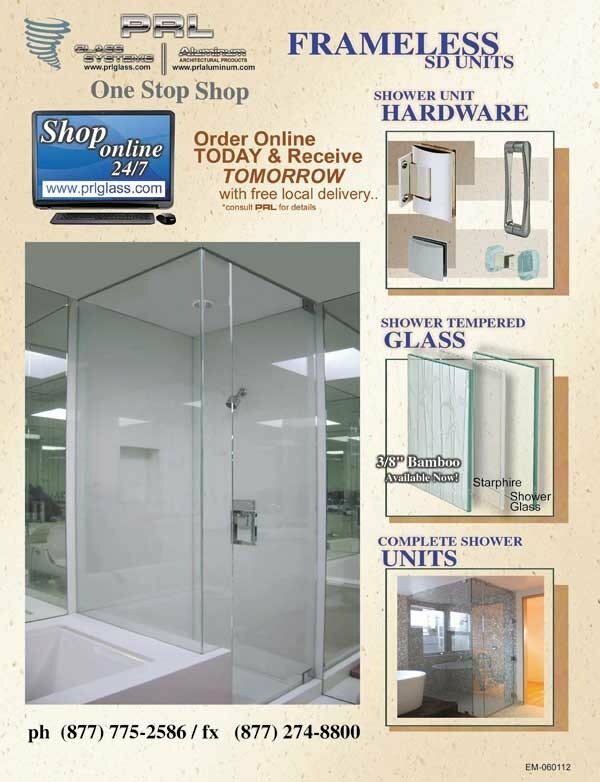 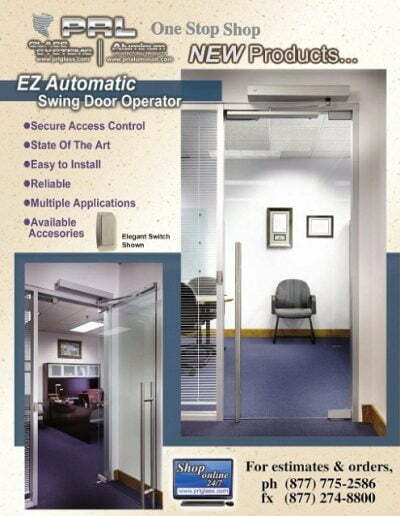 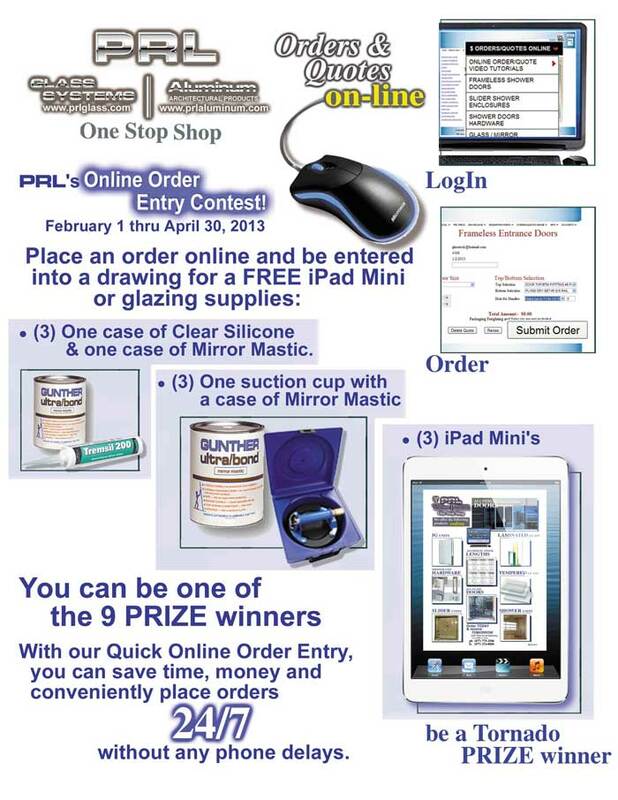 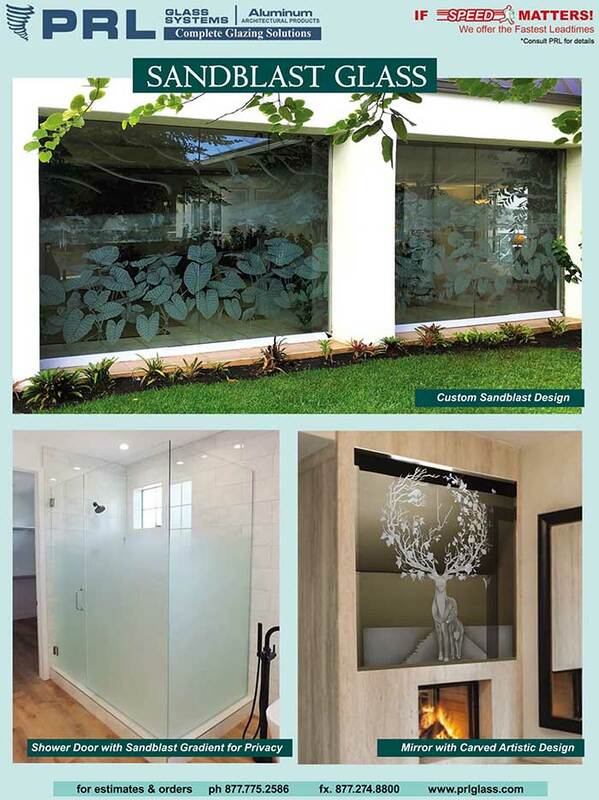 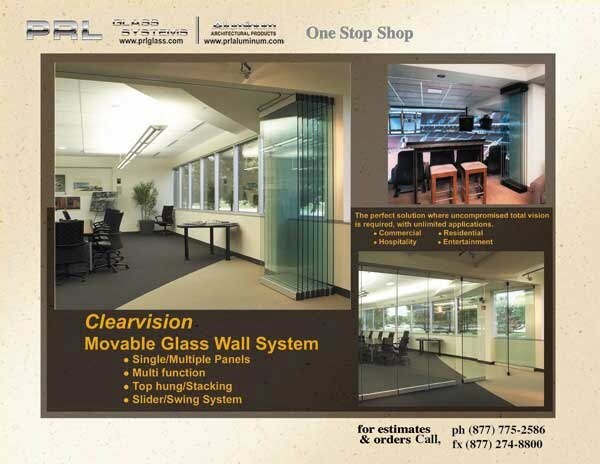 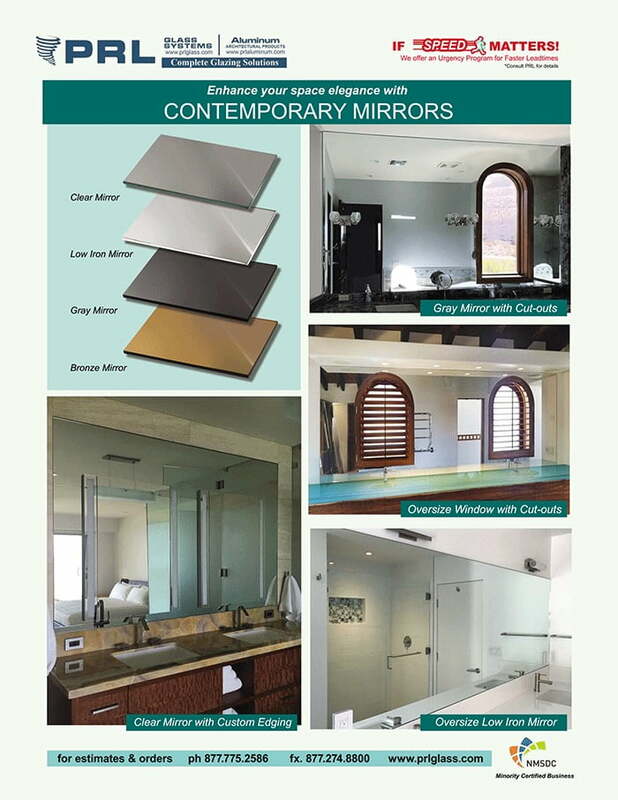 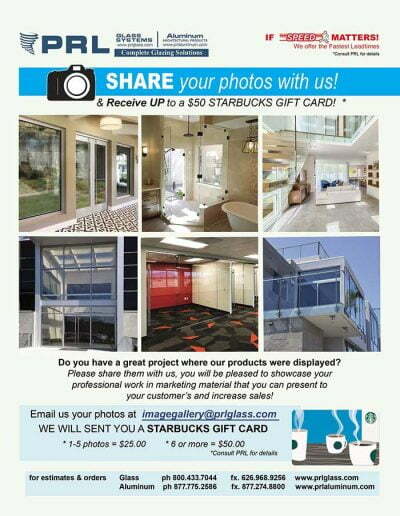 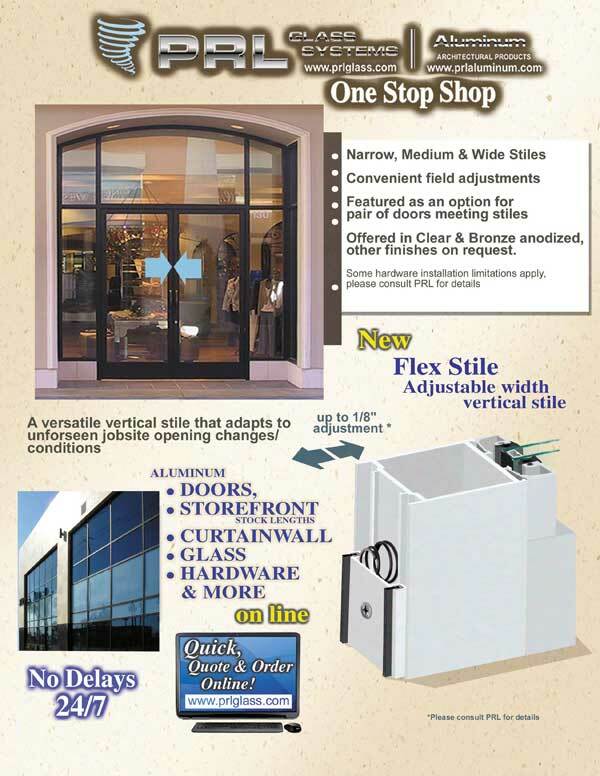 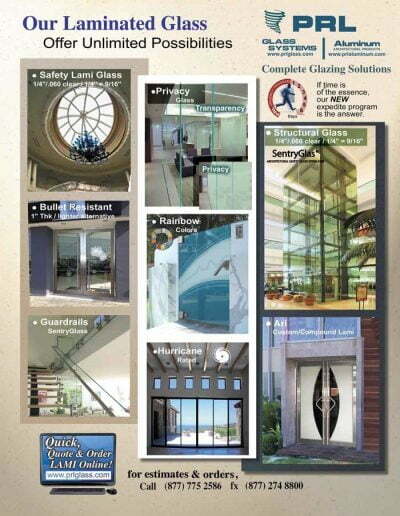 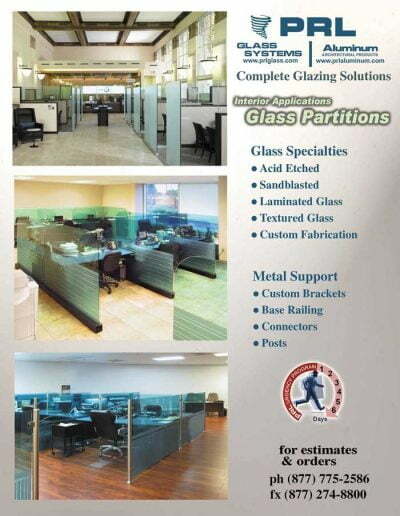 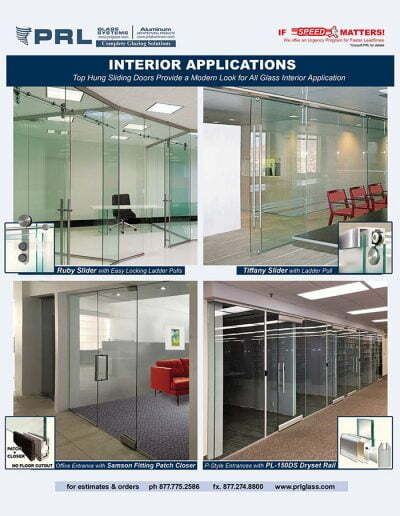 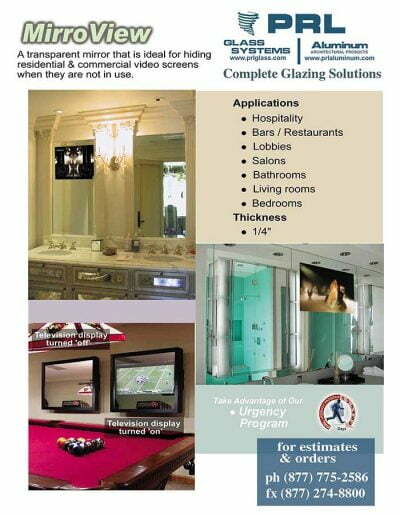 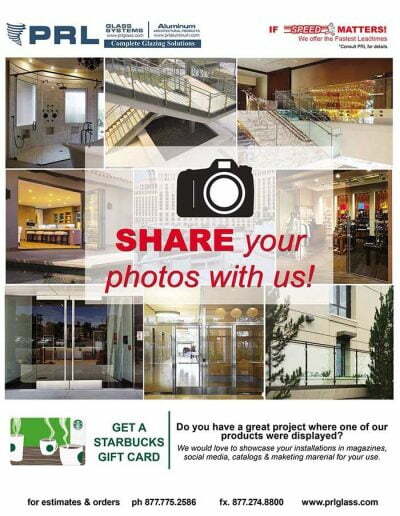 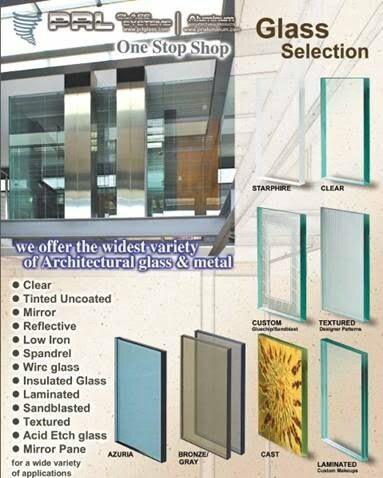 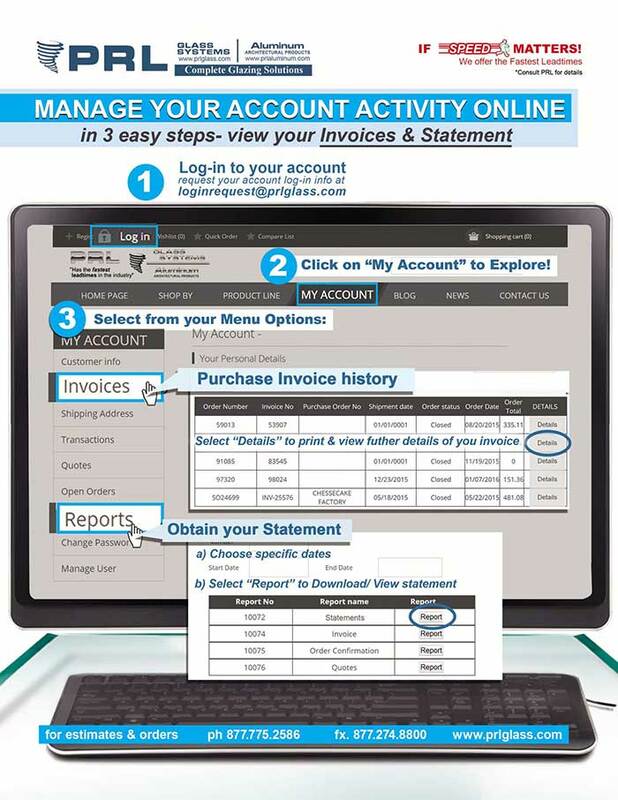 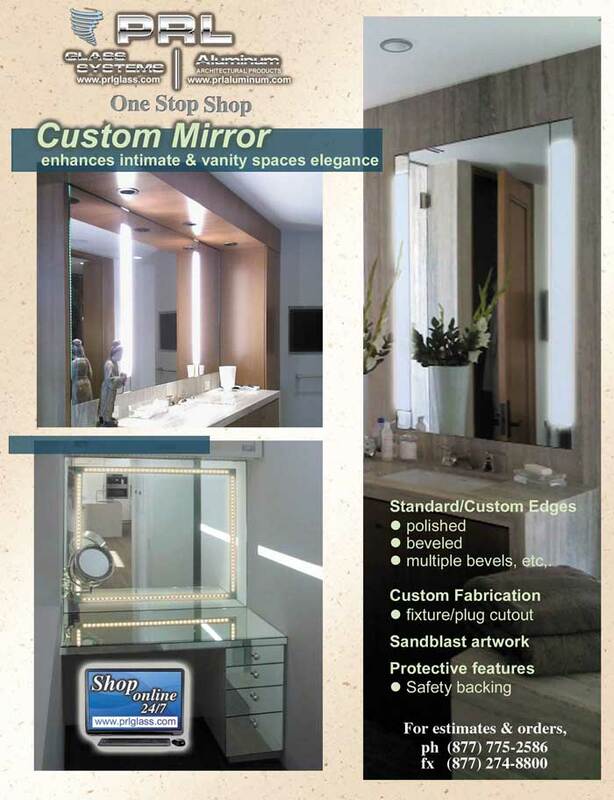 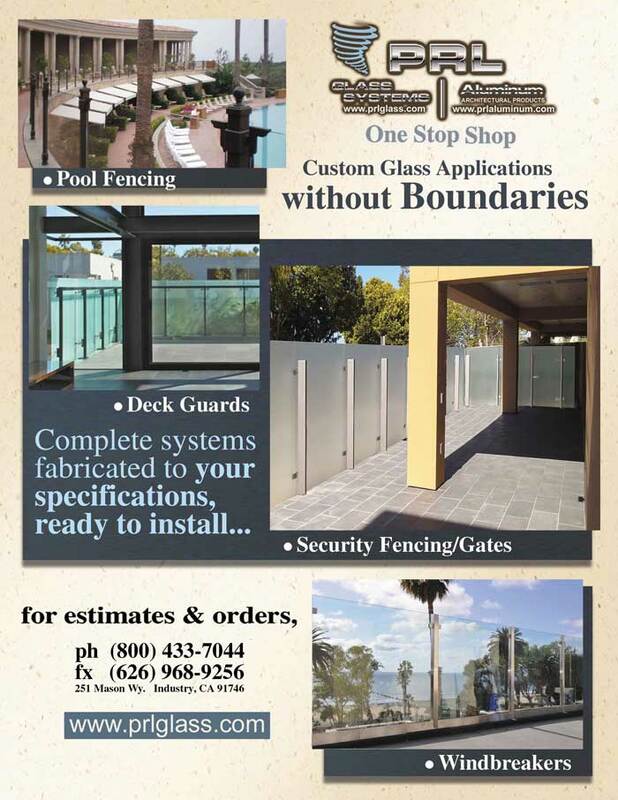 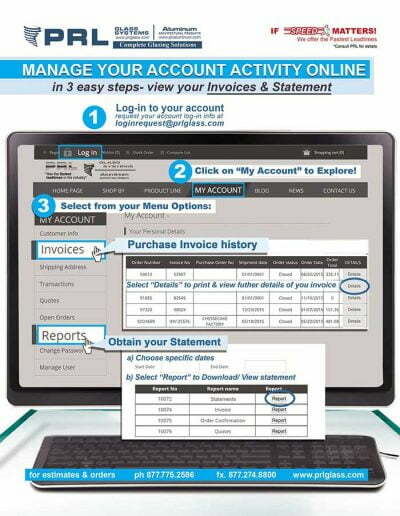 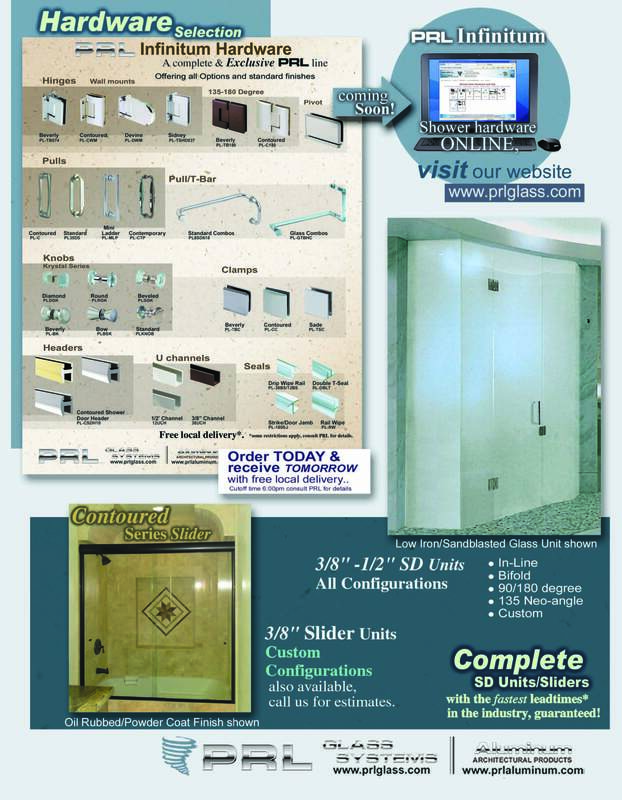 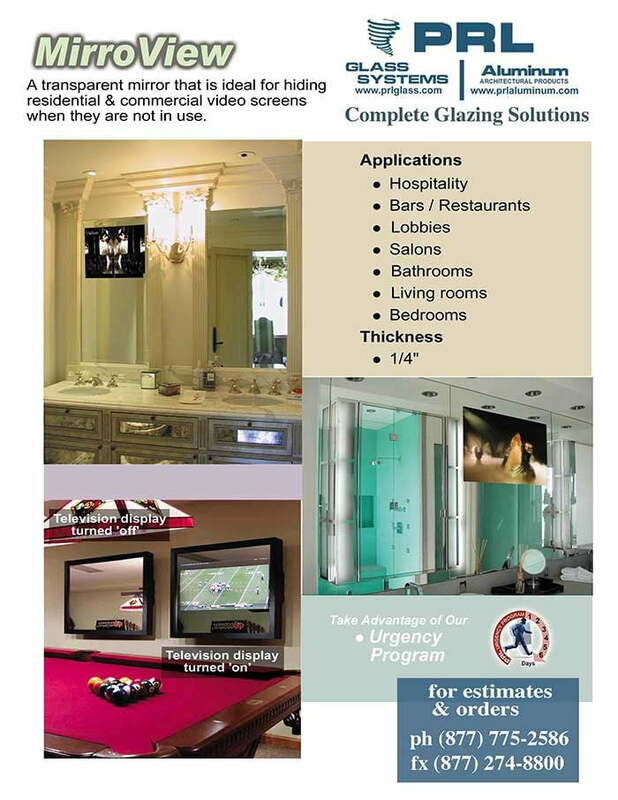 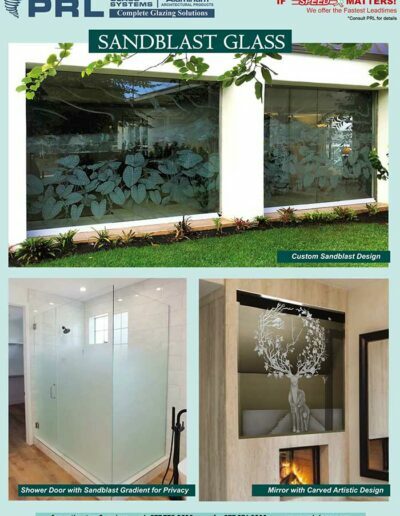 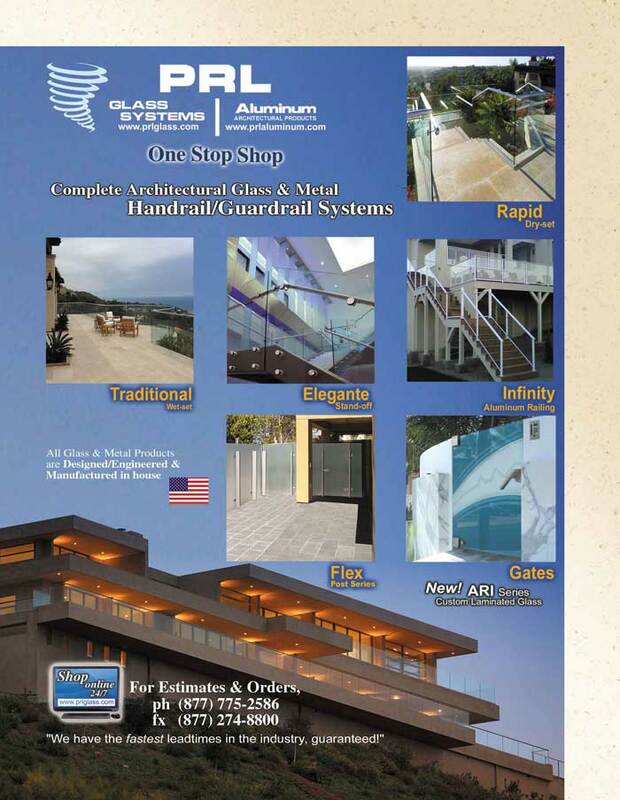 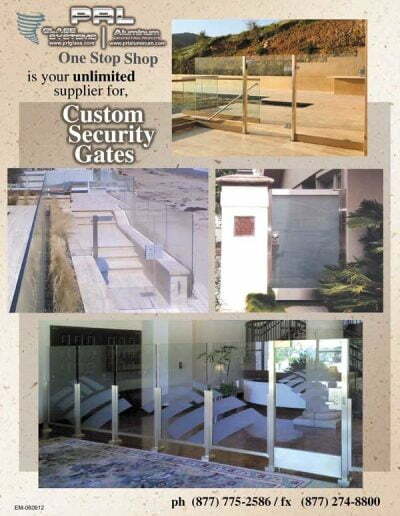 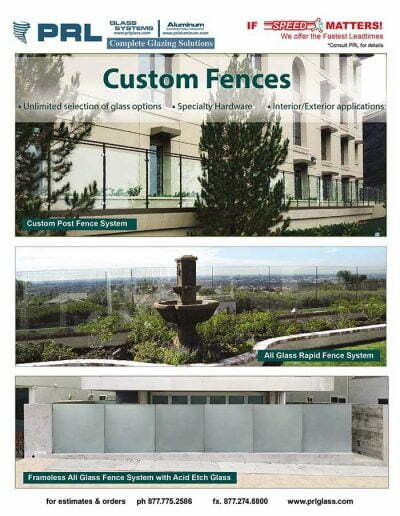 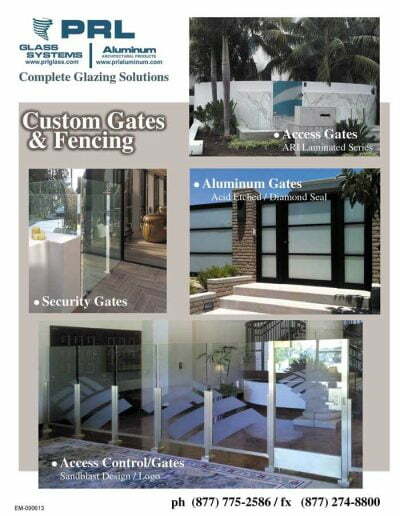 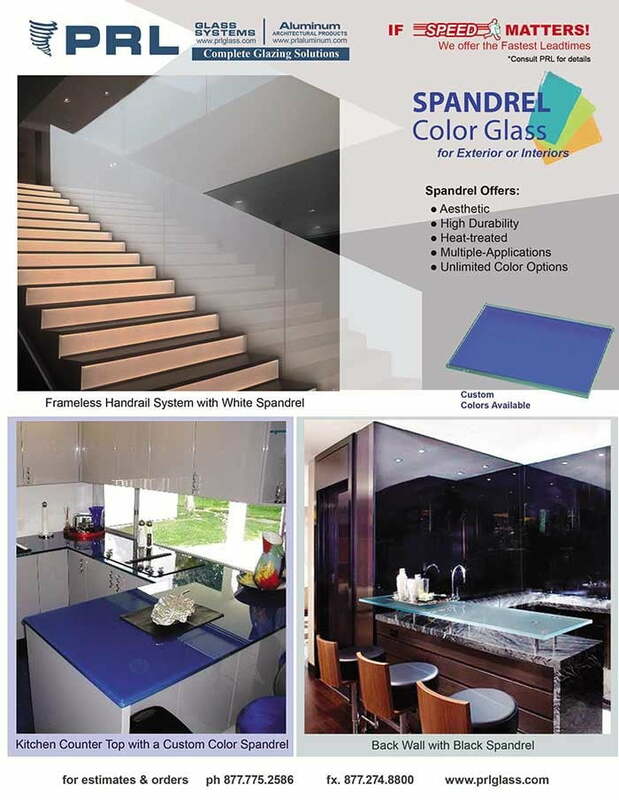 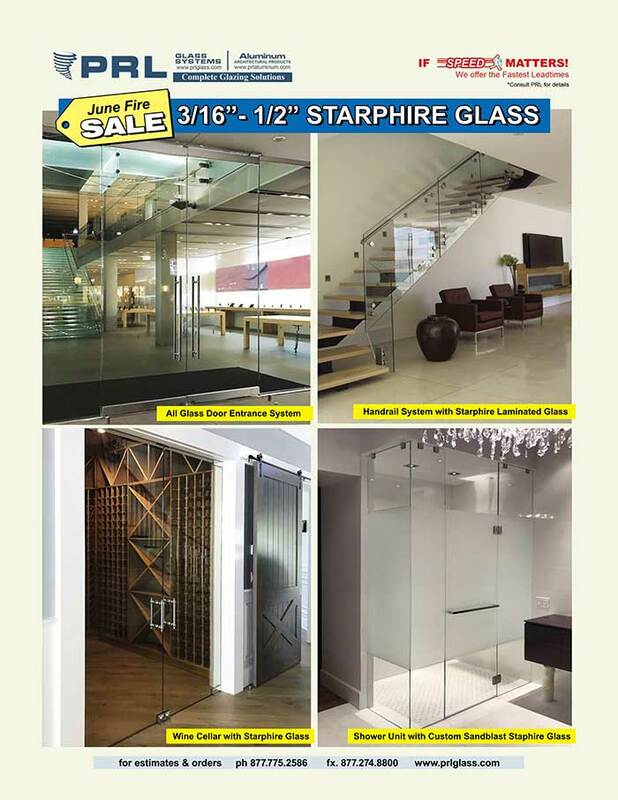 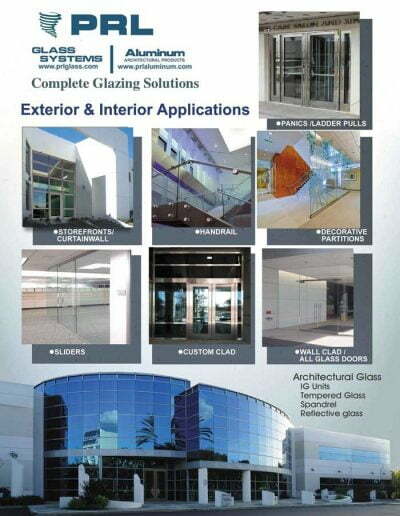 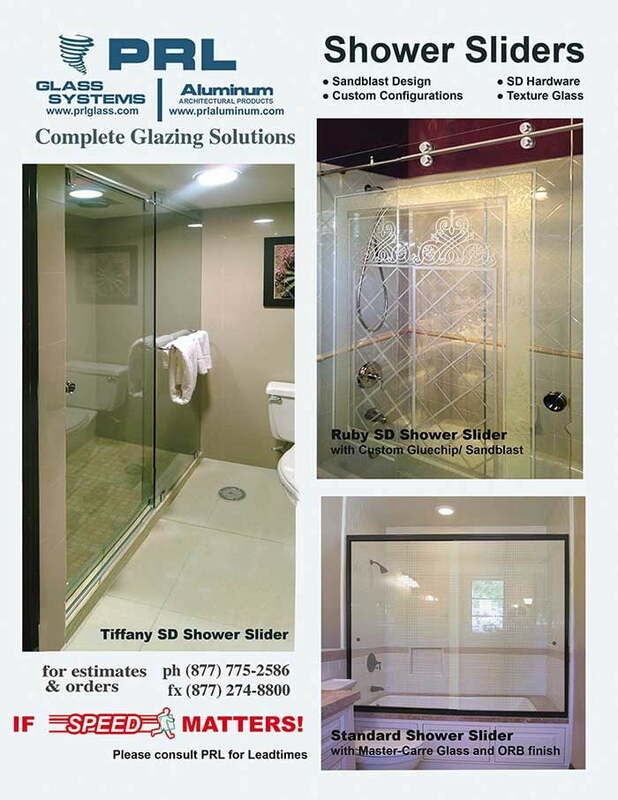 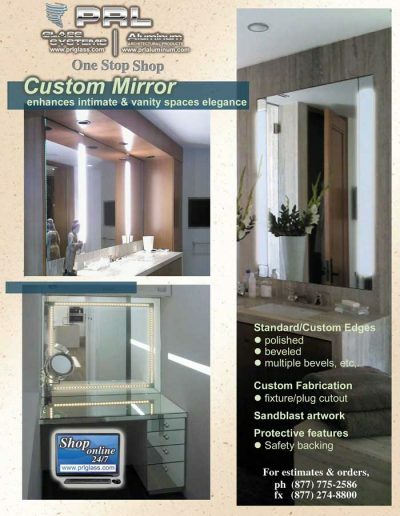 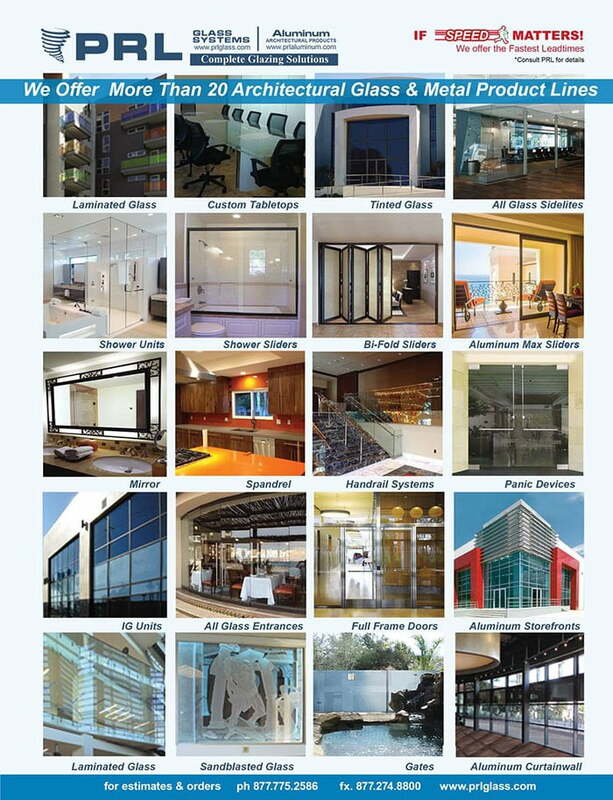 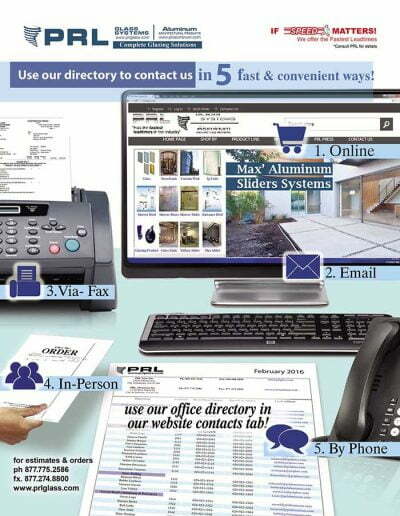 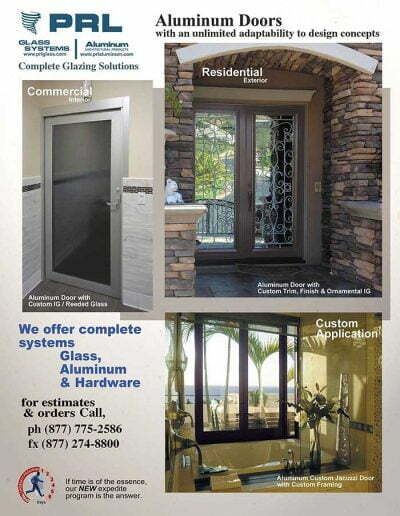 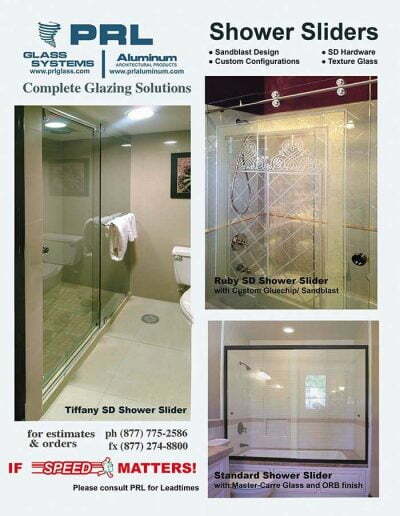 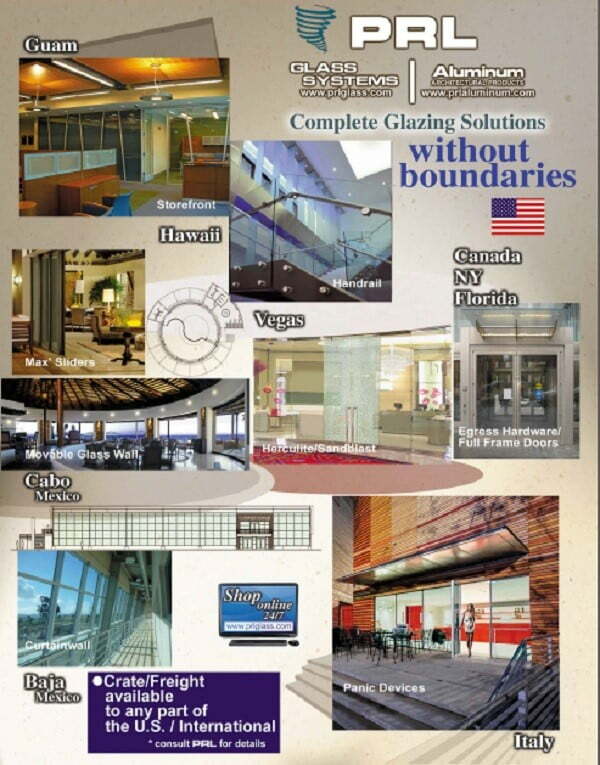 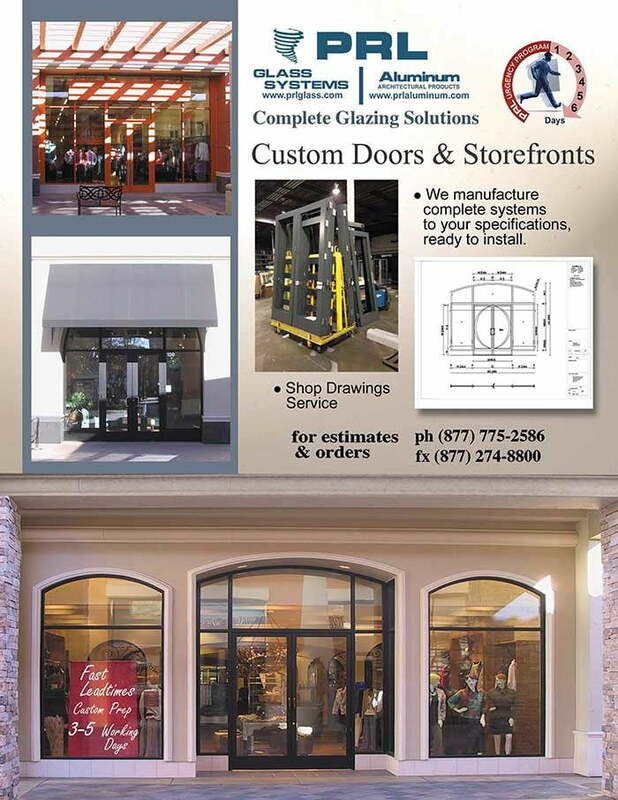 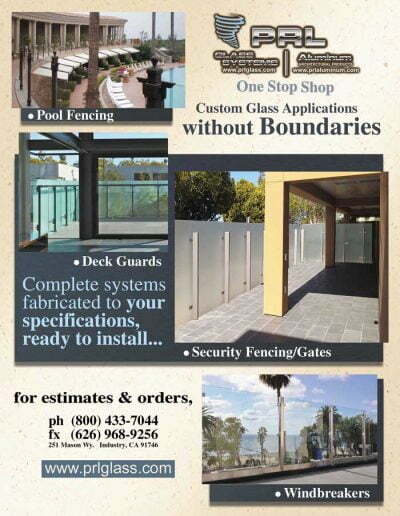 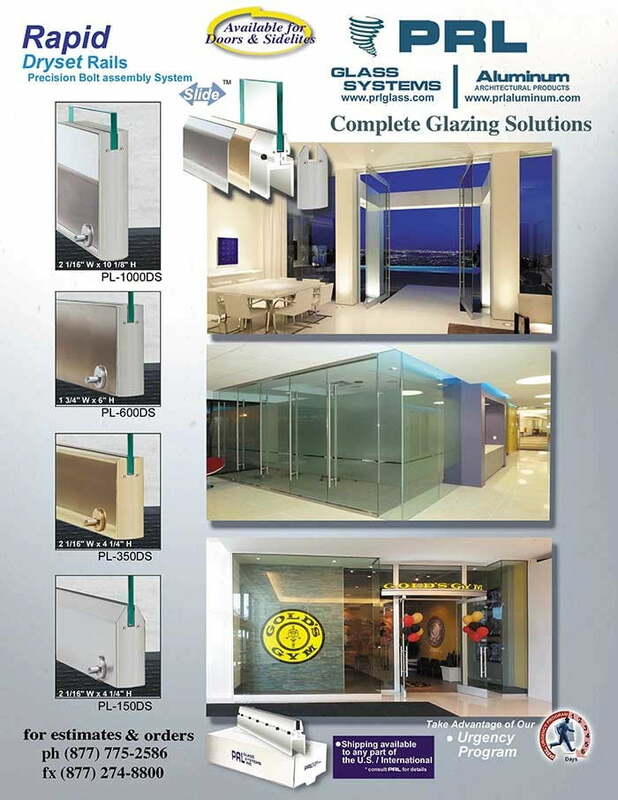 Our goal is to provide you with all of your glazing solutions all from one source (one stop shop). 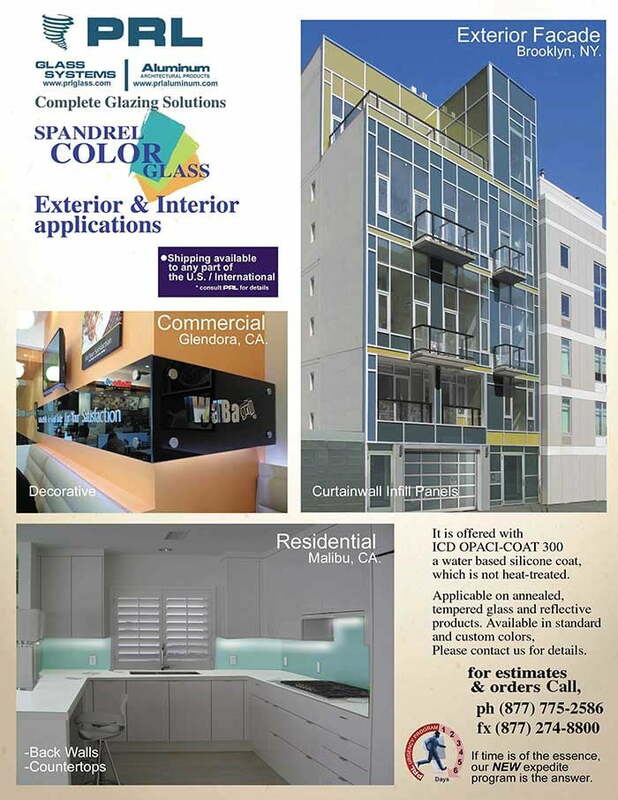 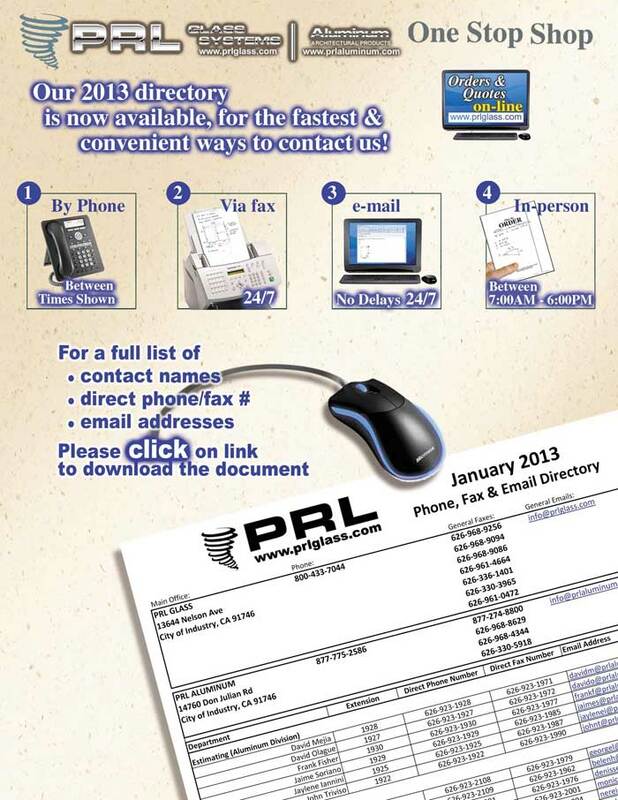 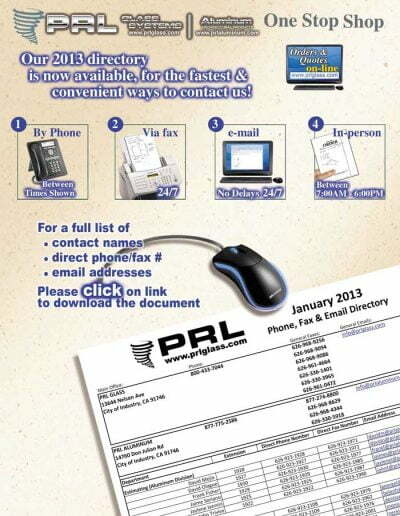 If you have any questions regarding IG unit limitations feel free to call us. 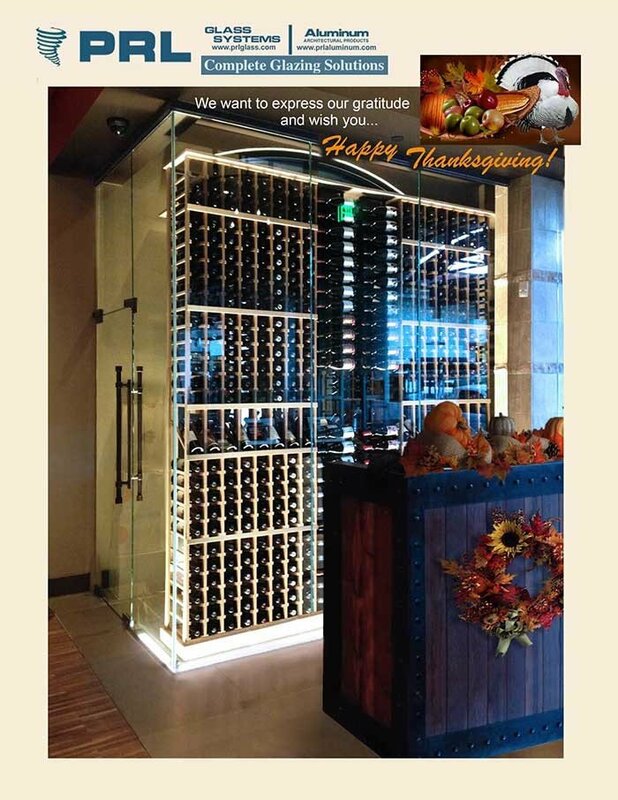 Our staff is ready to service you. 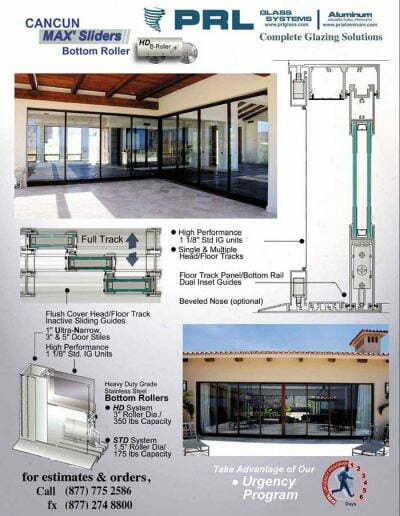 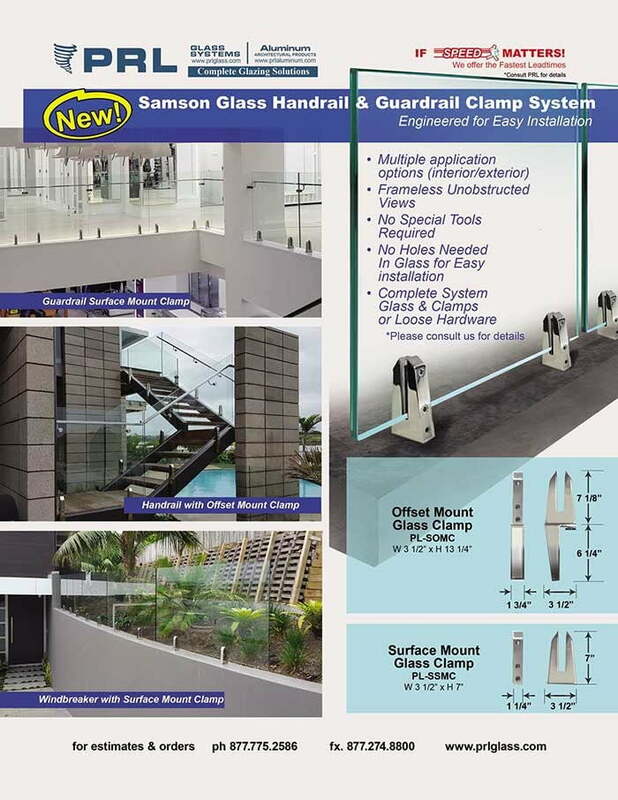 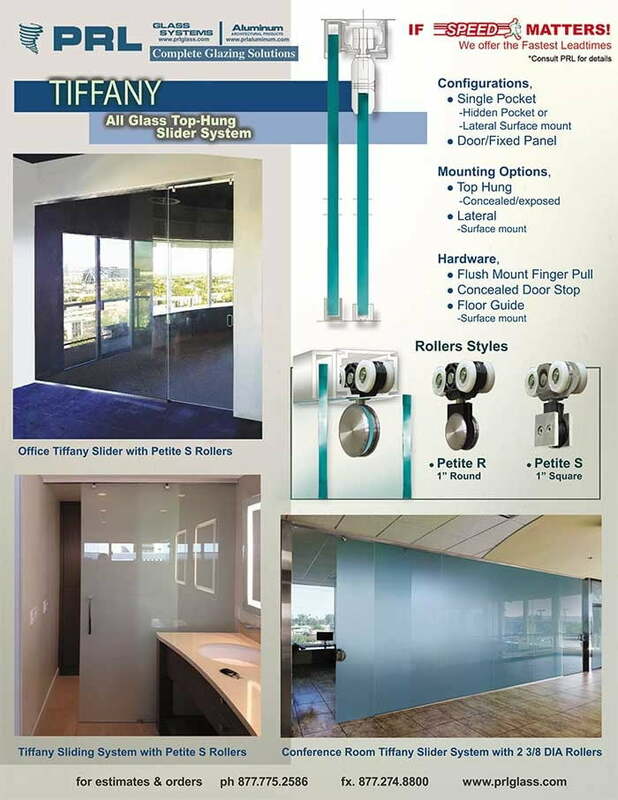 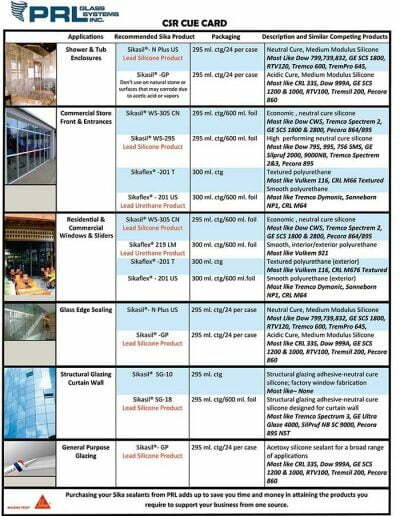 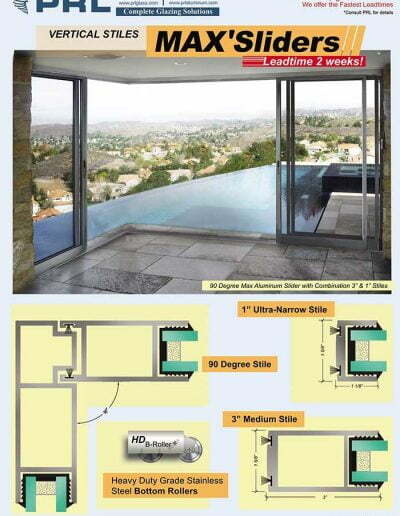 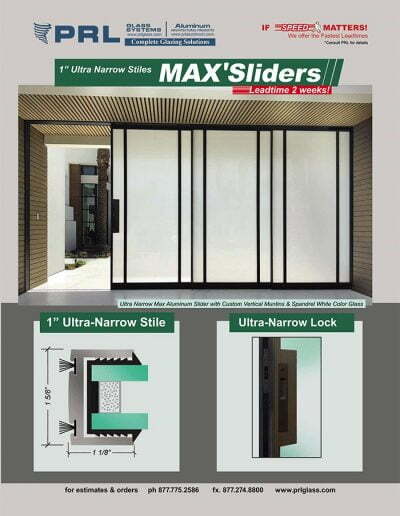 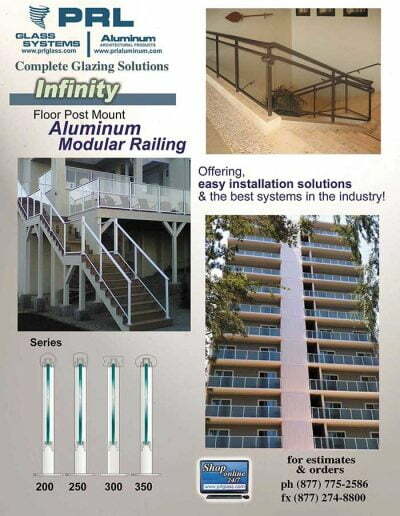 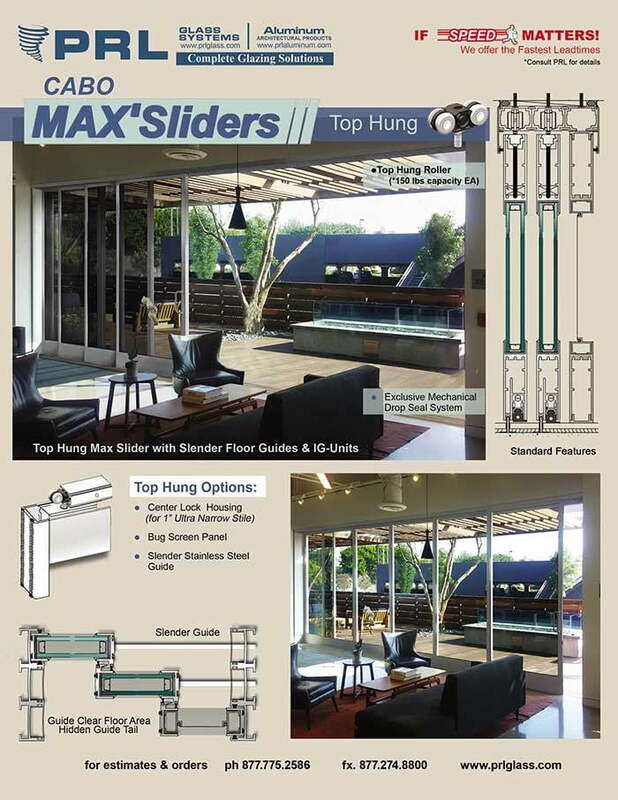 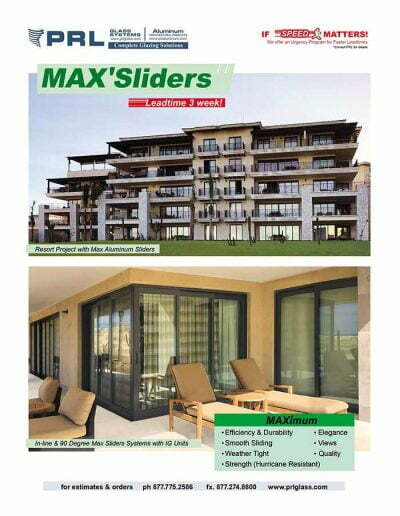 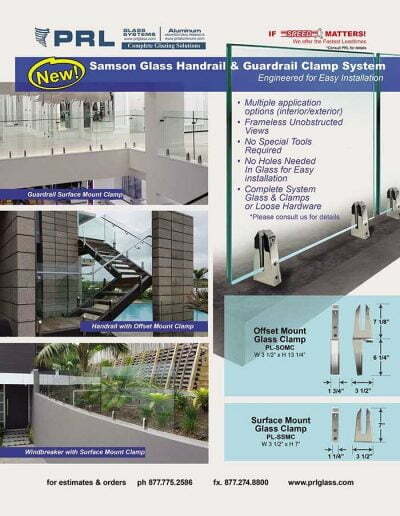 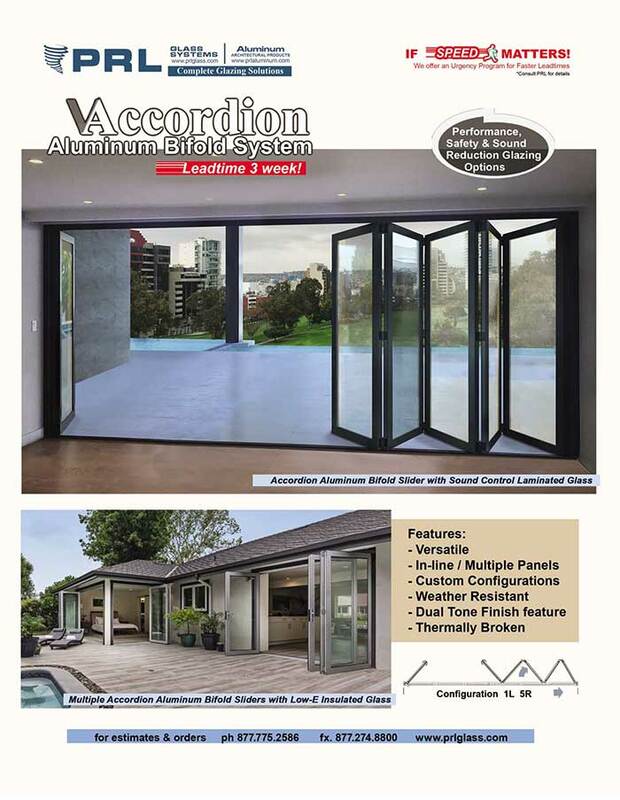 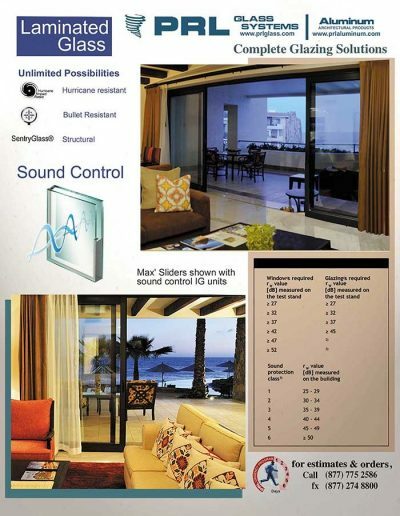 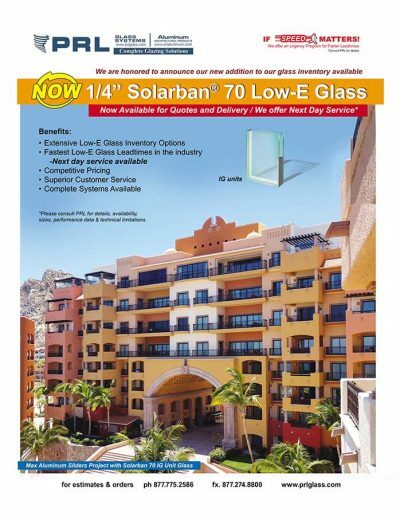 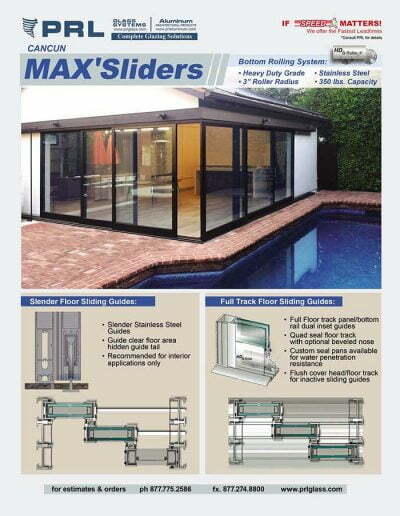 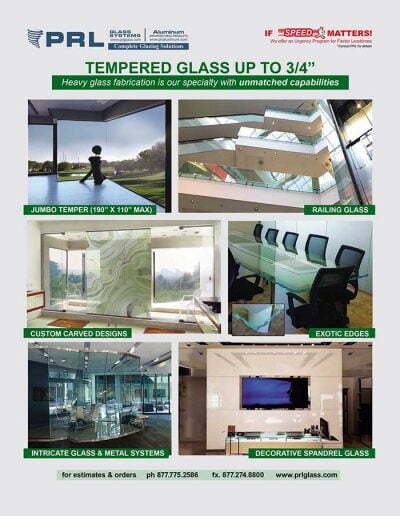 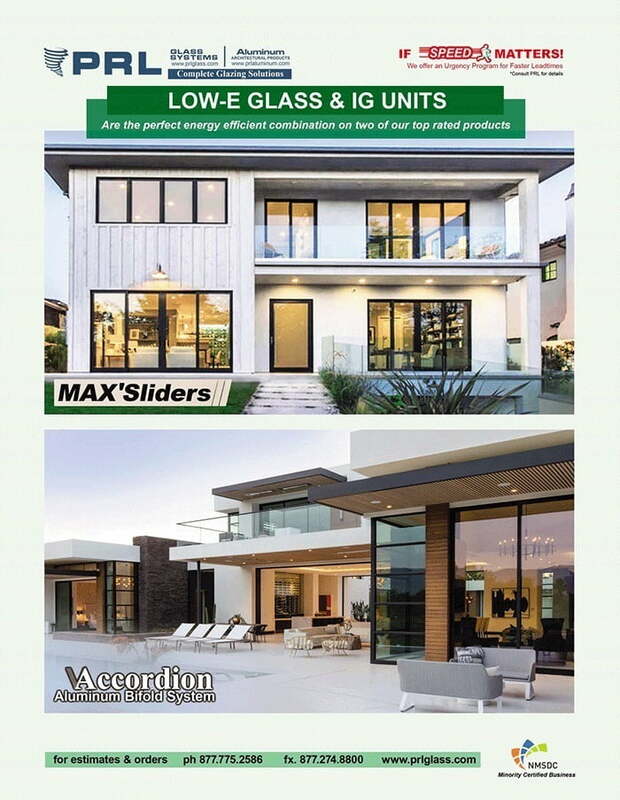 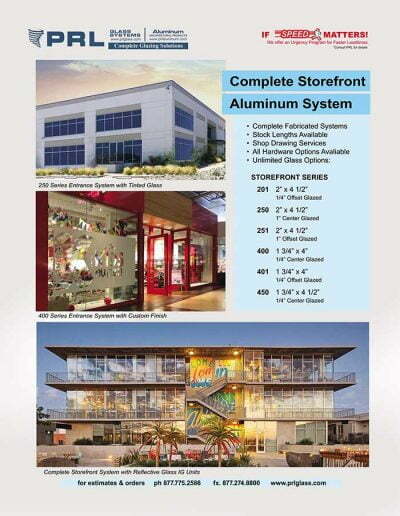 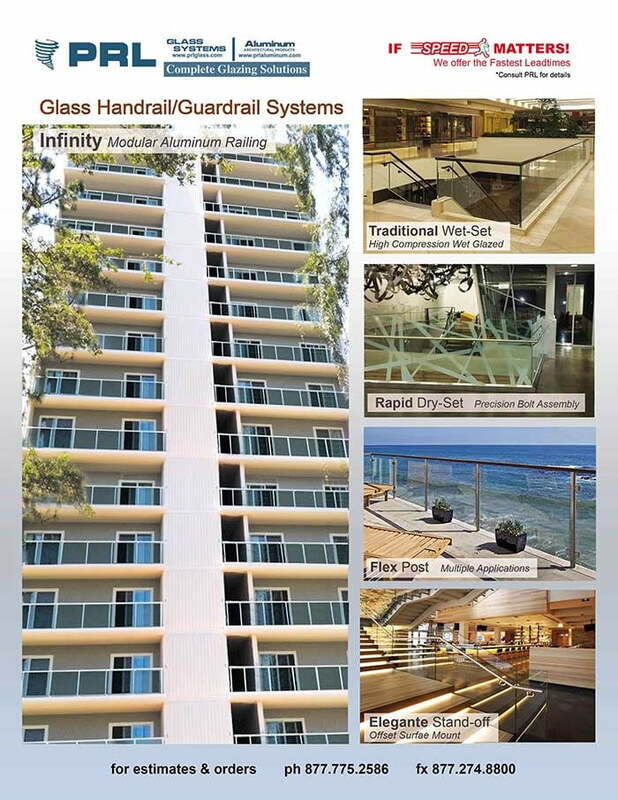 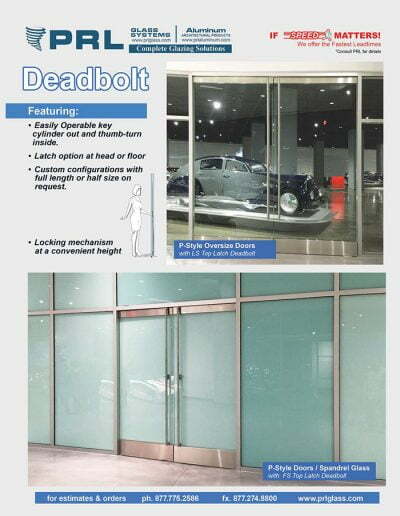 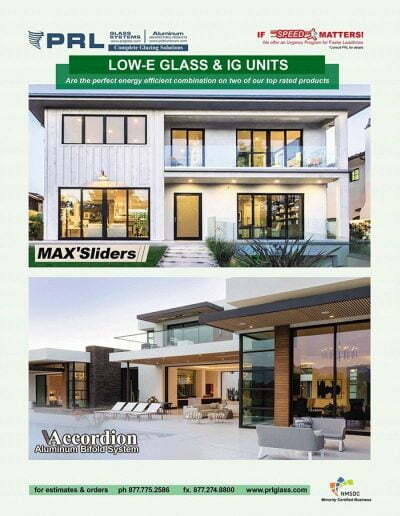 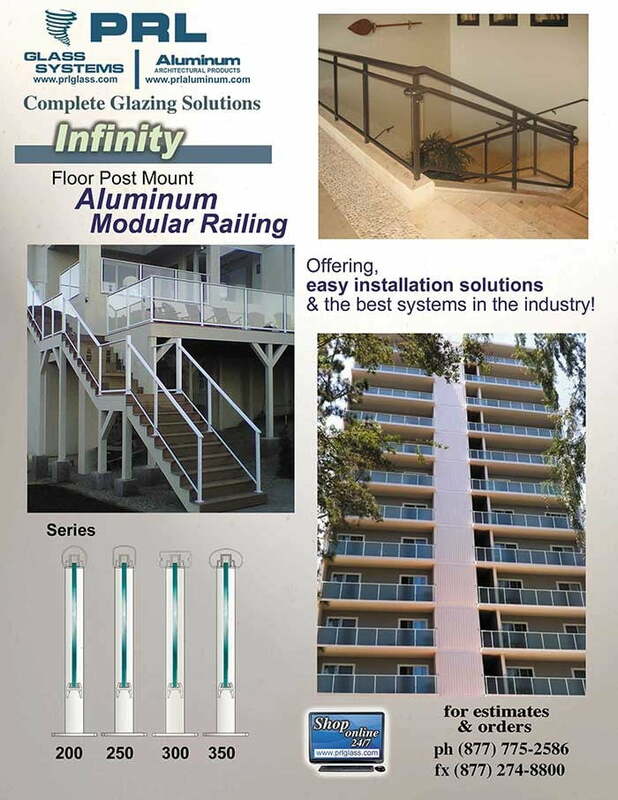 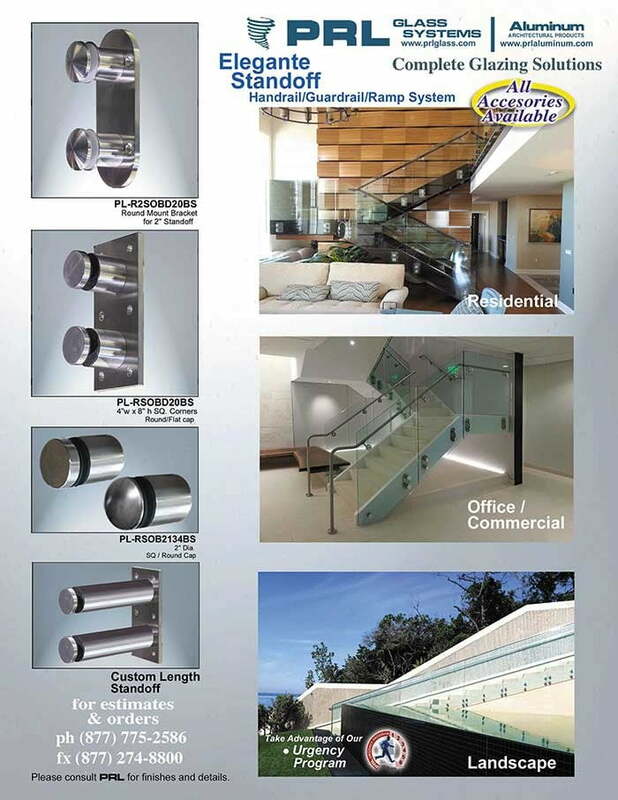 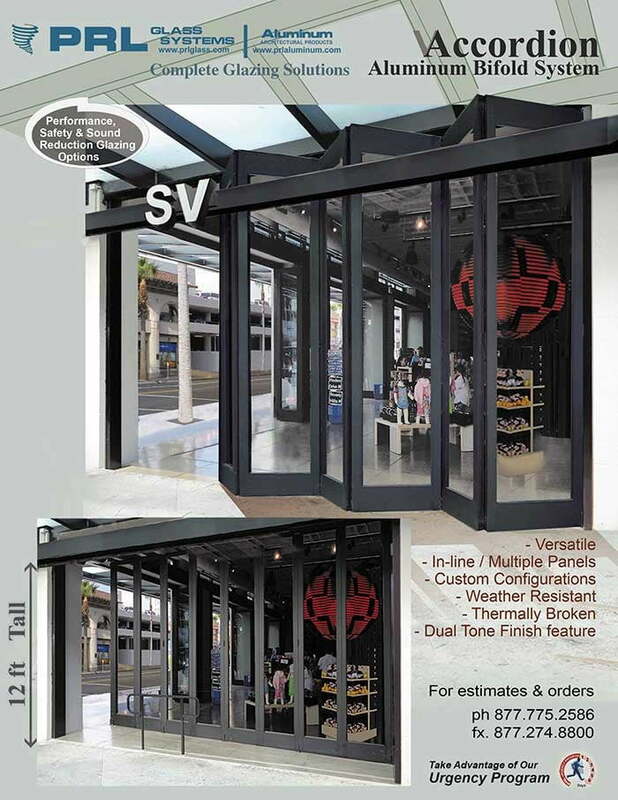 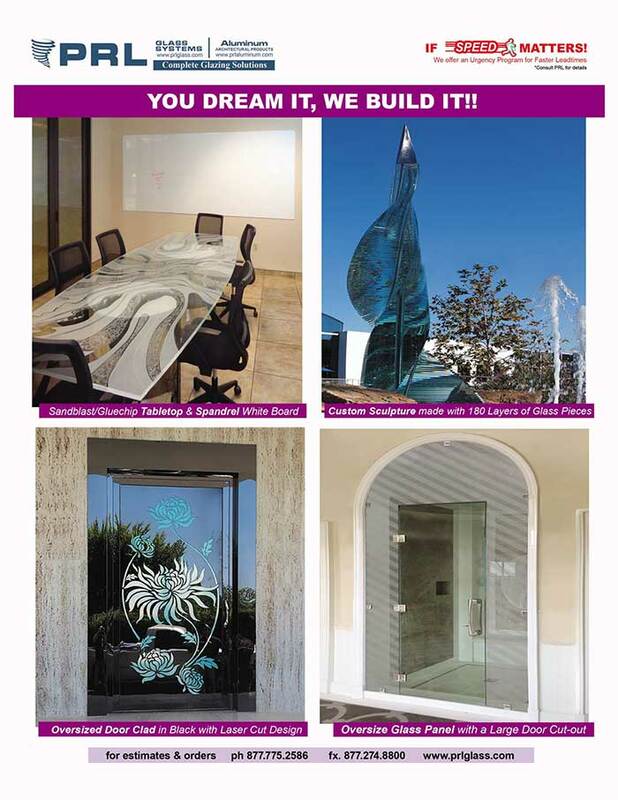 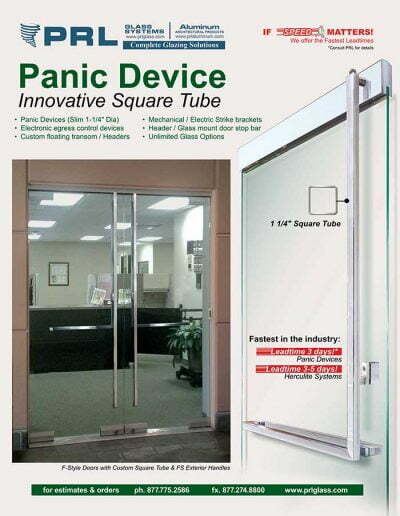 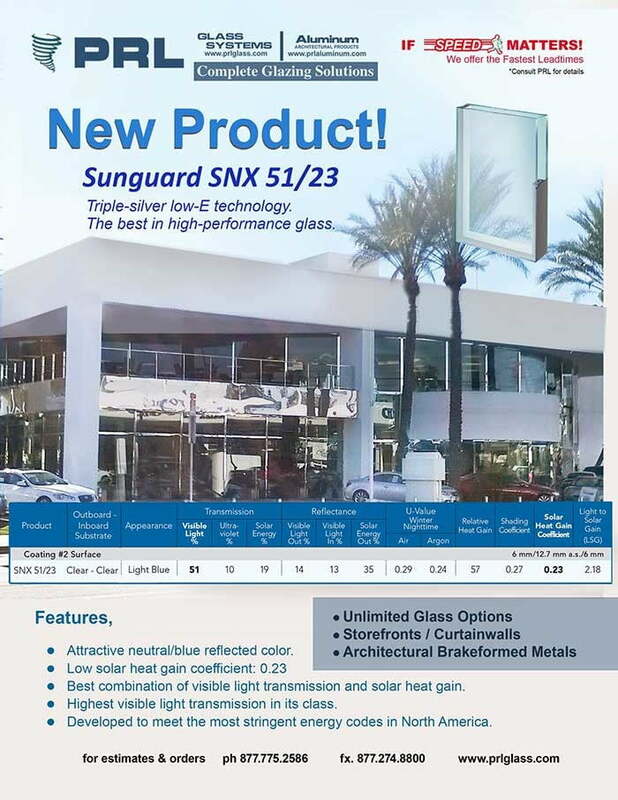 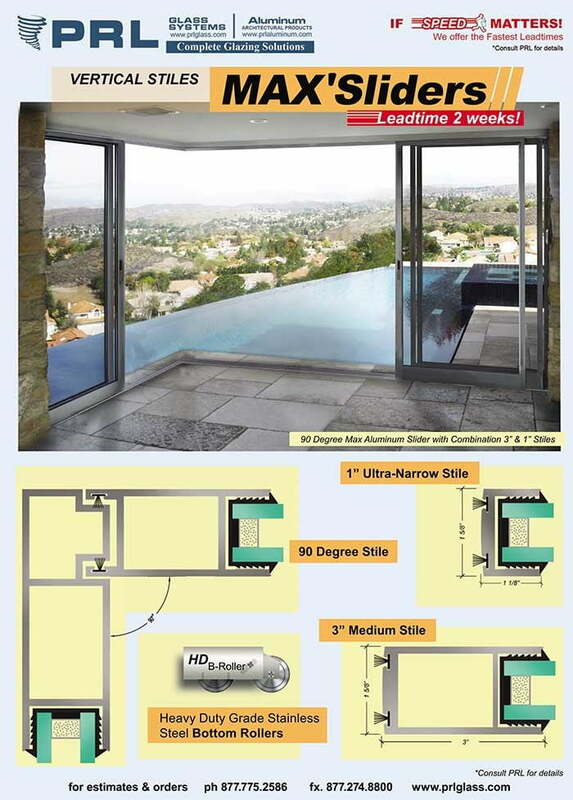 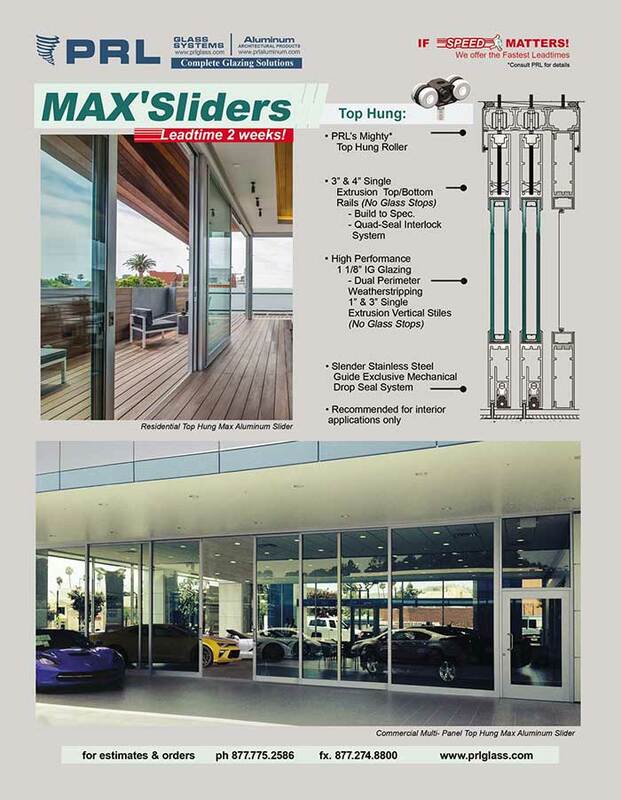 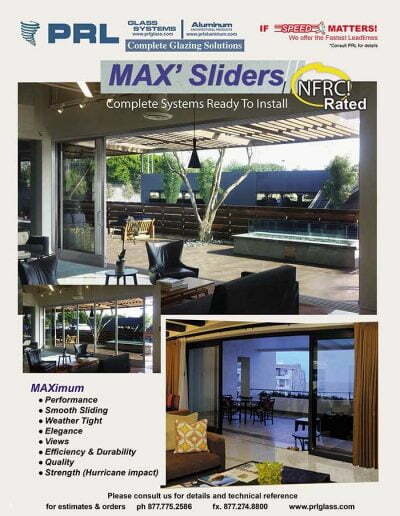 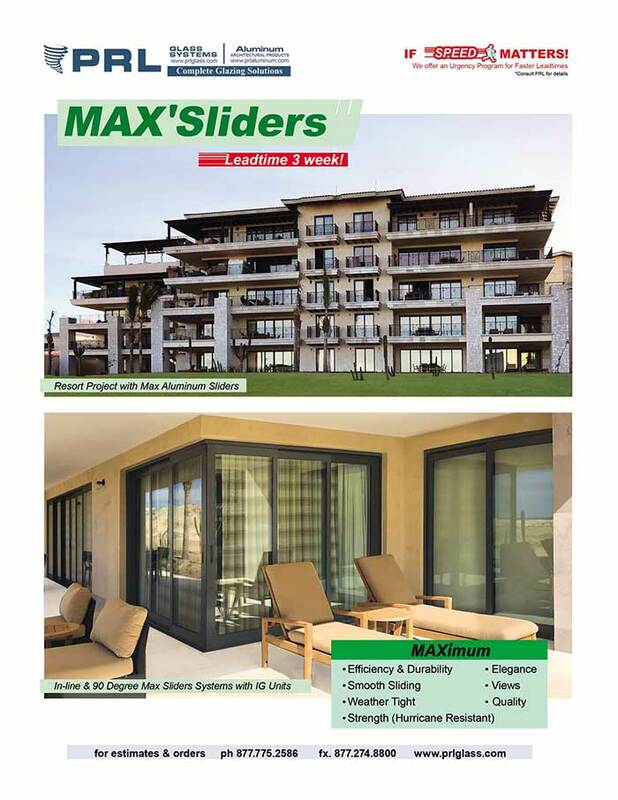 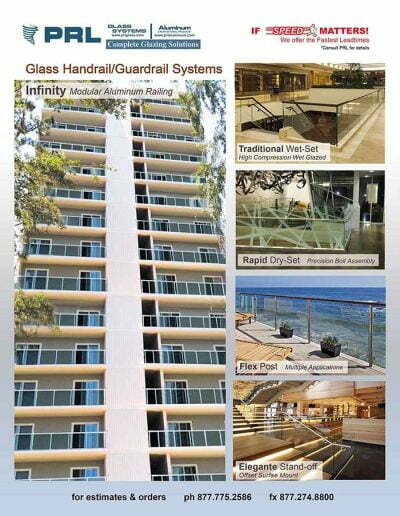 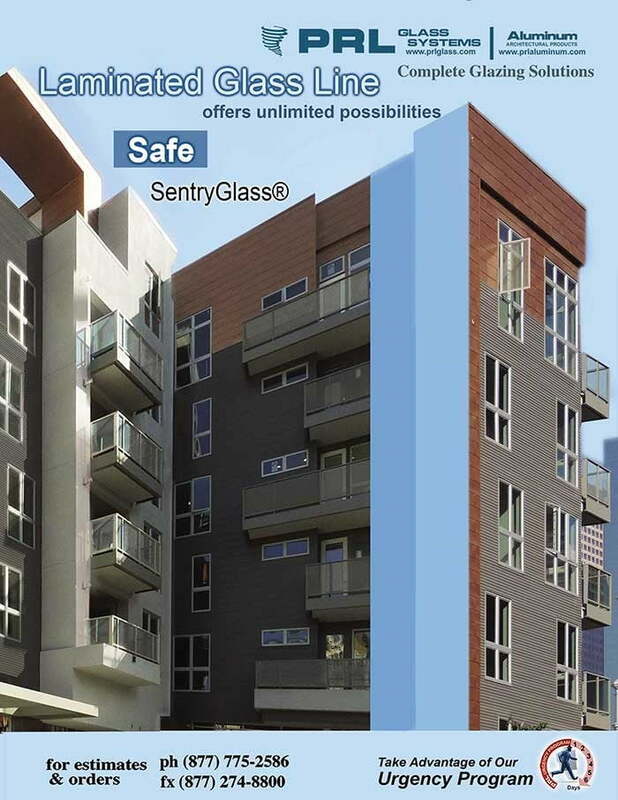 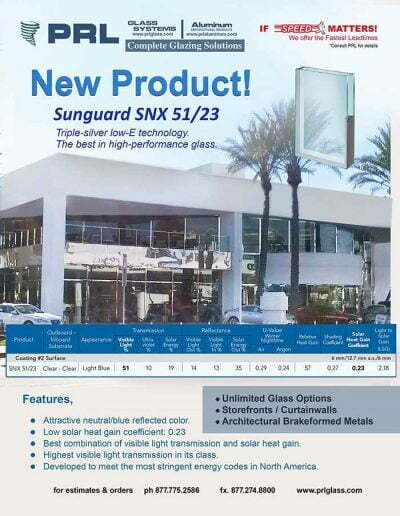 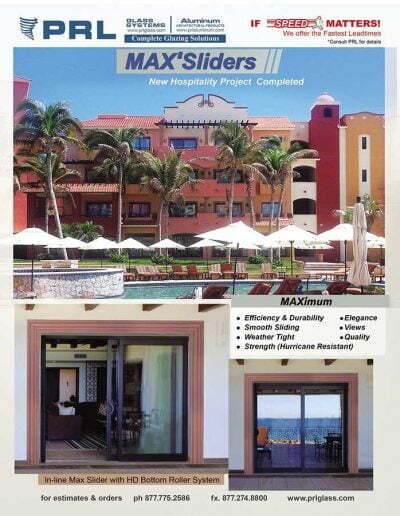 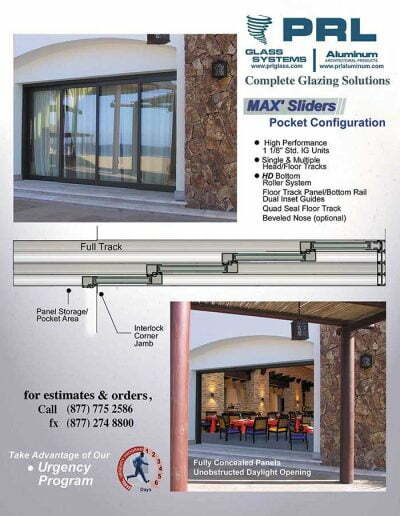 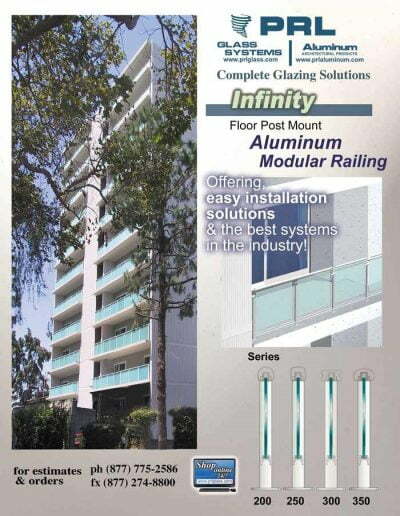 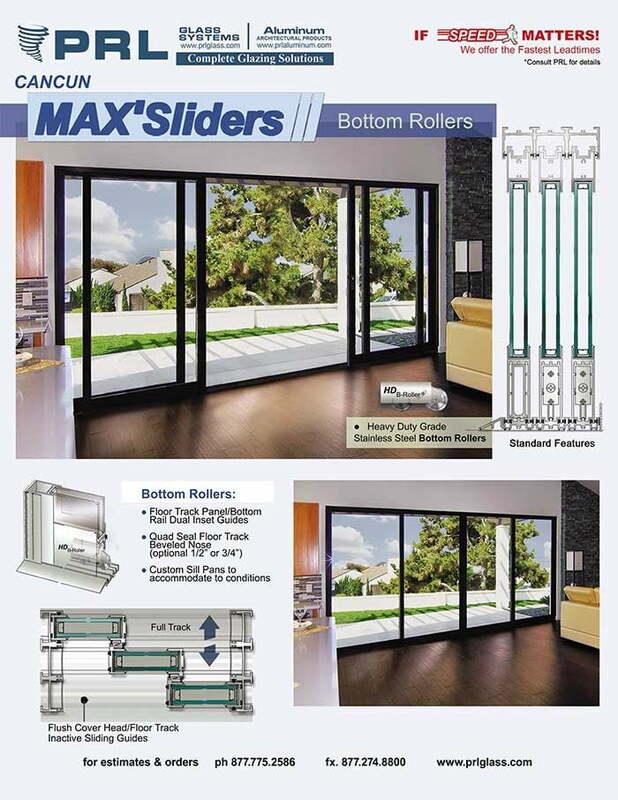 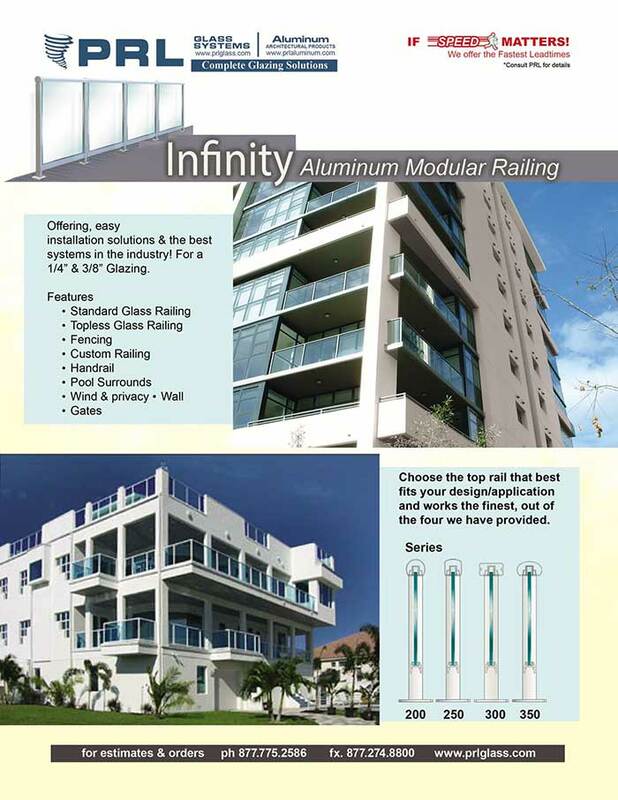 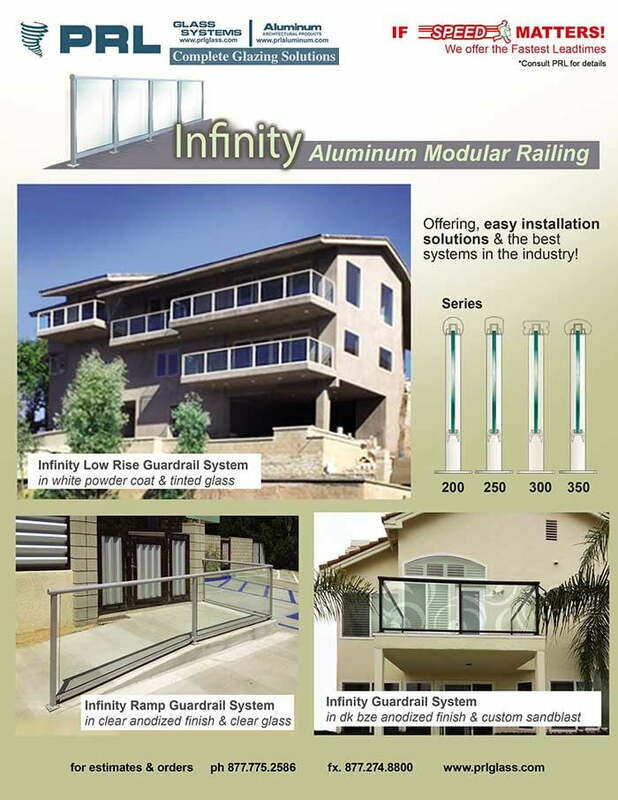 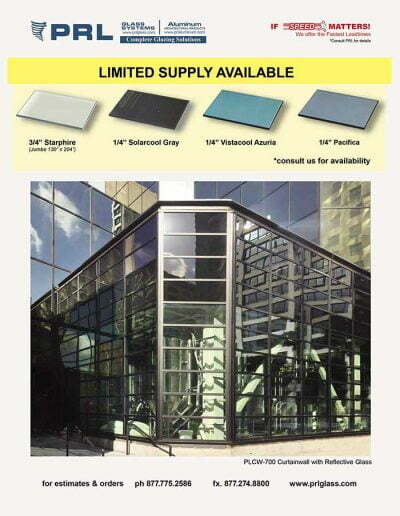 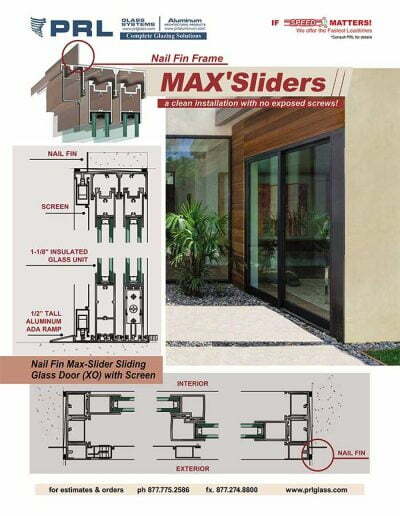 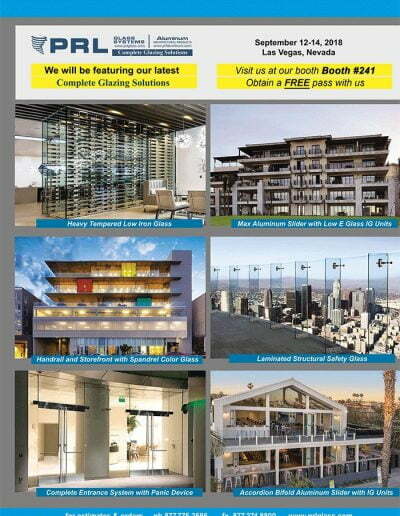 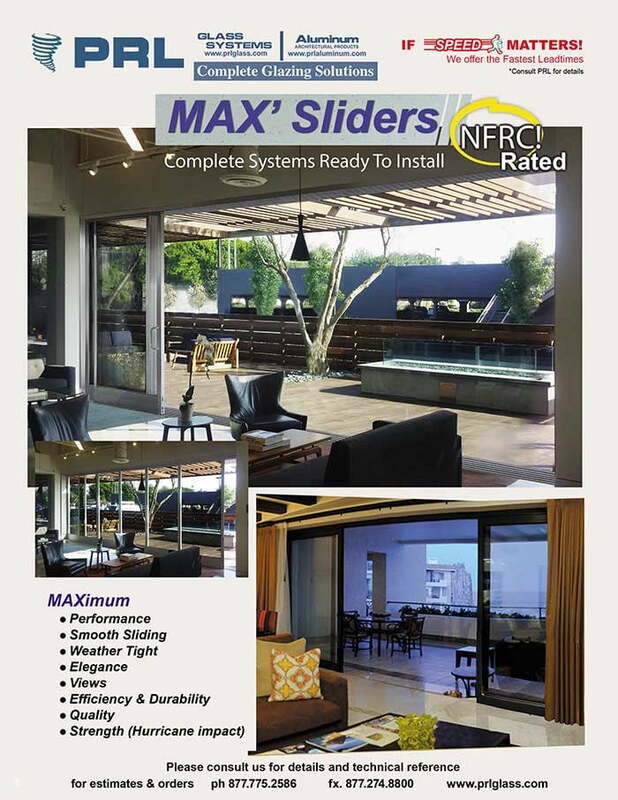 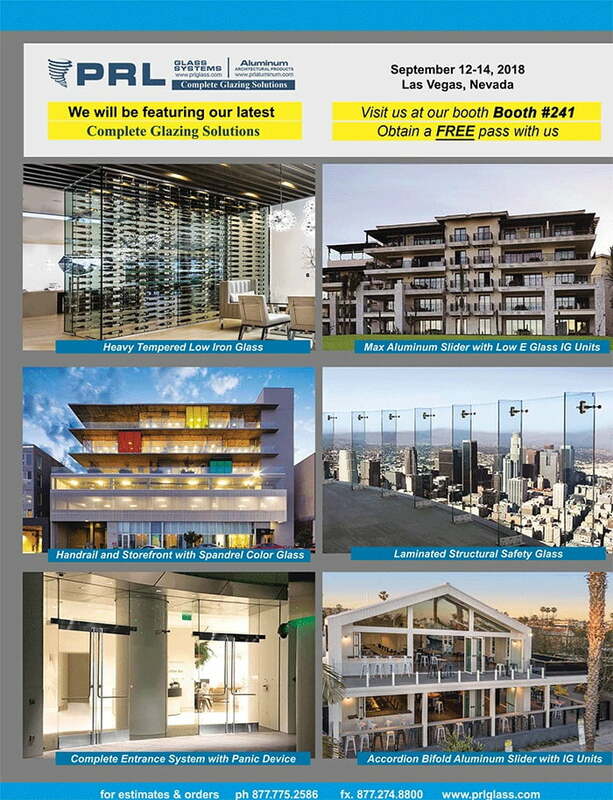 Simply supply us your insulated glass unit specifications and let us take care of the rest Toll Free 800-433-7044.